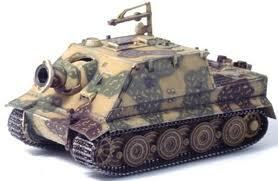 1/72 Panzer 1 decalsThis item is out of stock we will have more in stock soon. Please contact us if you want to pre order this item. 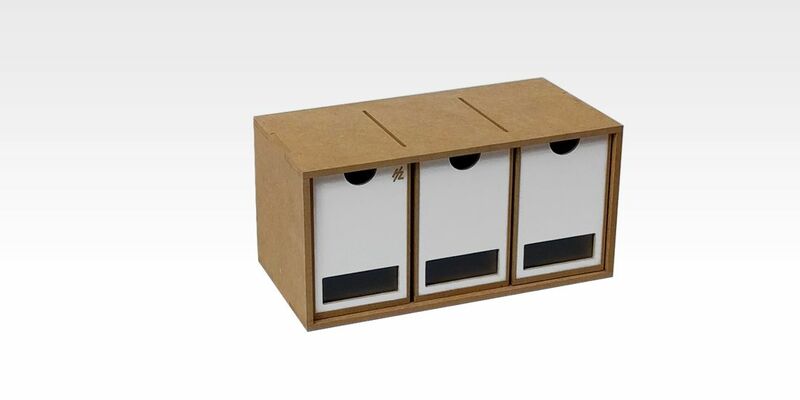 OM01b - Drawers Module x 3This item is out of stock we will have more in stock soon. Please contact us if you want to pre order this item. 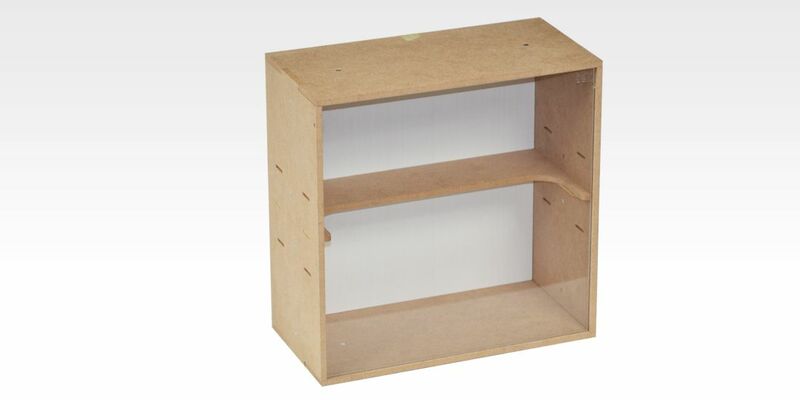 0M11 - Ending Corner Drawers ModuleThis item is out of stock we will have more in stock soon. Please contact us if you want to pre order this item. 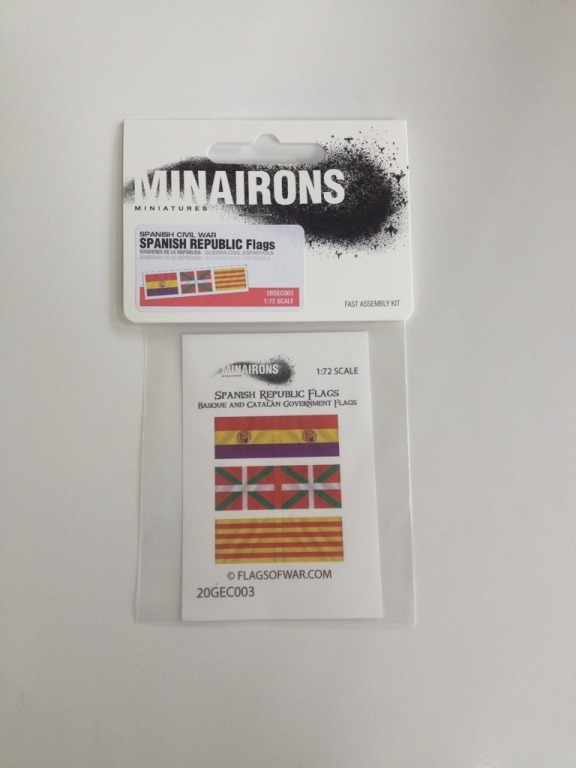 Paint Hanger - 26mmThis item is out of stock we will have more in stock soon. Please contact us if you want to pre order this item. 0M10 - Big Showcase WIP ModuleThis item is out of stock we will have more in stock soon. Please contact us if you want to pre order this item. 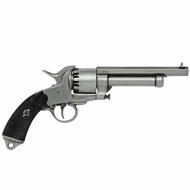 Le Mat Revolver American Civil War 1860This item is out of stock we will have more in stock soon. Please contact us if you want to pre order this item. 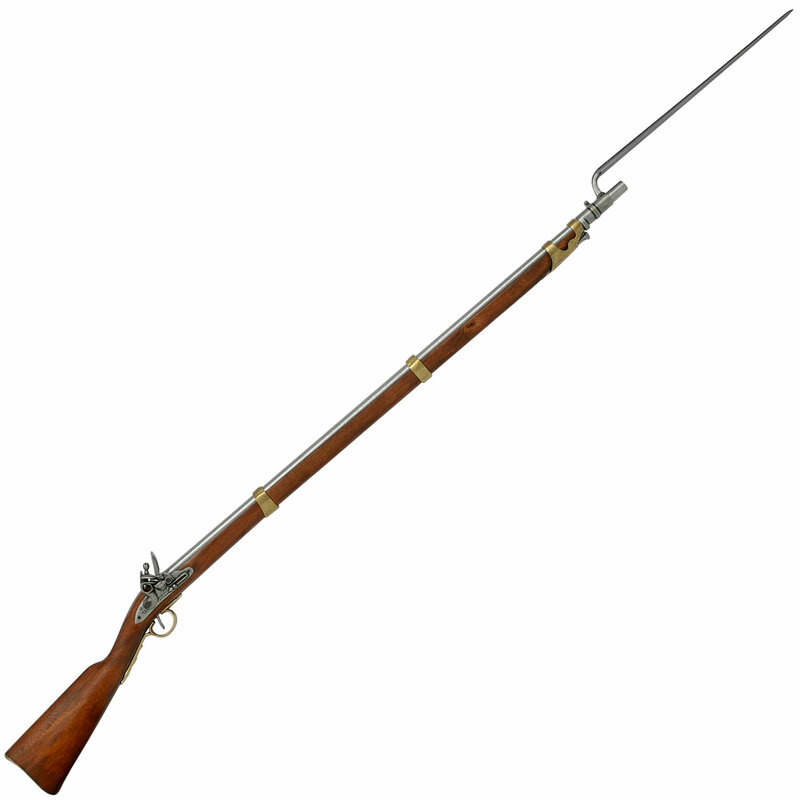 Enfield (SMLE) Rifle 1:1 scale replicaThis item is out of stock we will have more in stock soon. Please contact us if you want to pre order this item. 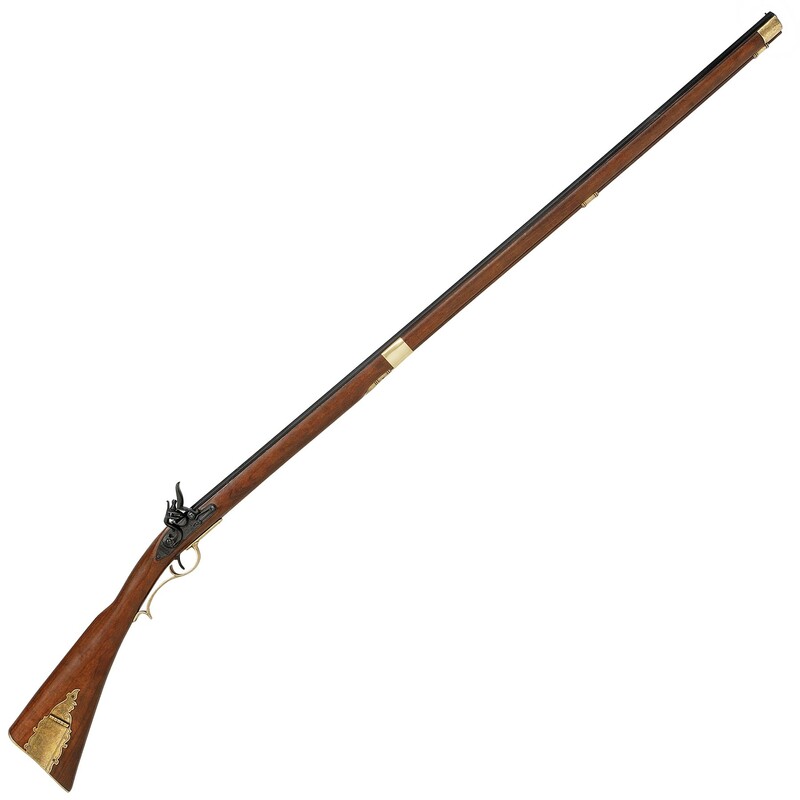 Napoleonic Rifle& BayonetThis item is out of stock we will have more in stock soon. Please contact us if you want to pre order this item. 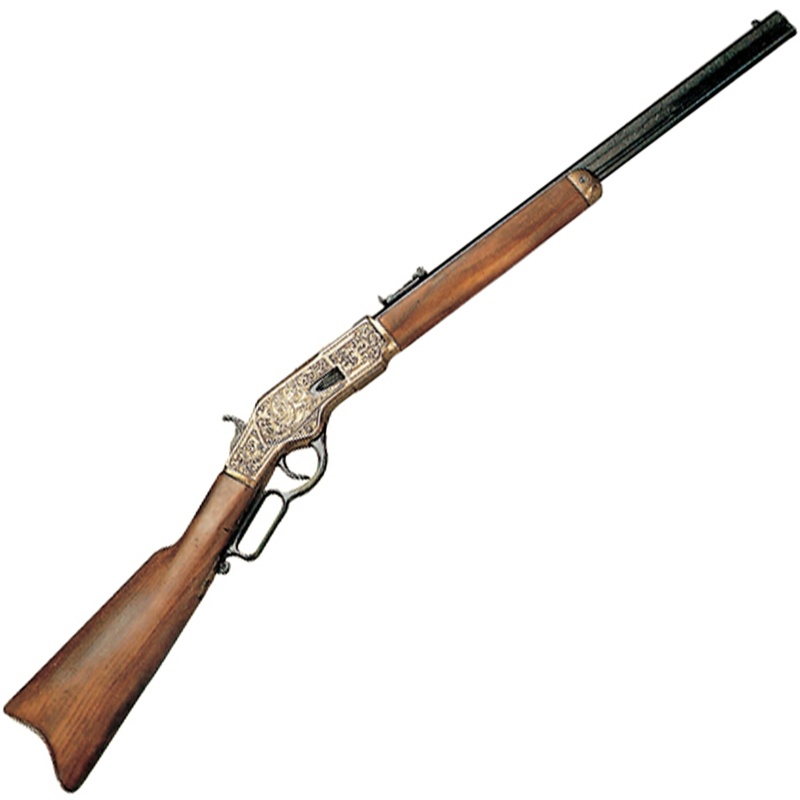 Colt Peacemaker With Wooden Handle Black Finish 1869This item is out of stock we will have more in stock soon. Please contact us if you want to pre order this item. 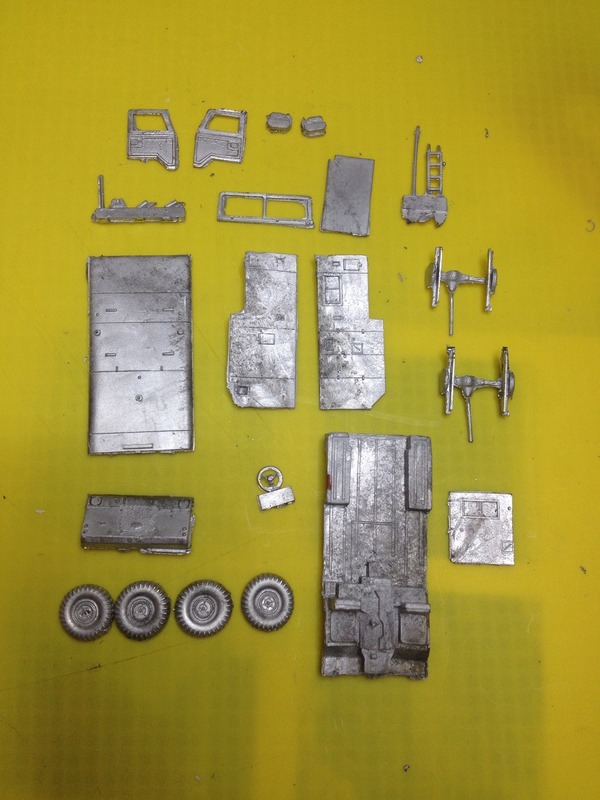 1/35 Sherman Engine Deck Set #9This item is out of stock we will have more in stock soon. Please contact us if you want to pre order this item. 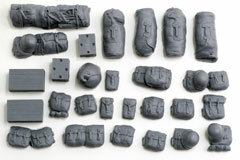 1/35 USA Packs & Bags Set #1This item is out of stock we will have more in stock soon. Please contact us if you want to pre order this item. 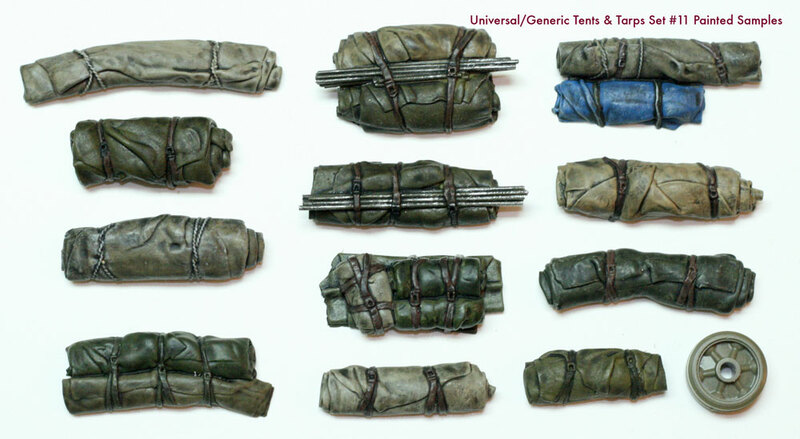 1/35 Tents & Tarps Set #8This item is out of stock we will have more in stock soon. Please contact us if you want to pre order this item. 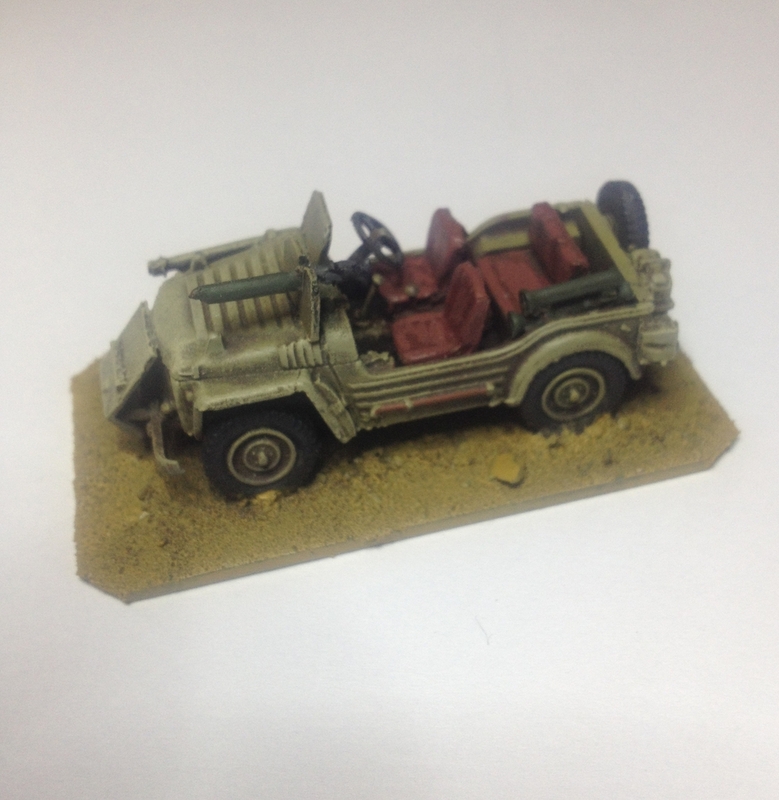 1/35 Willy's Jeep Set #1This item is out of stock we will have more in stock soon. Please contact us if you want to pre order this item. 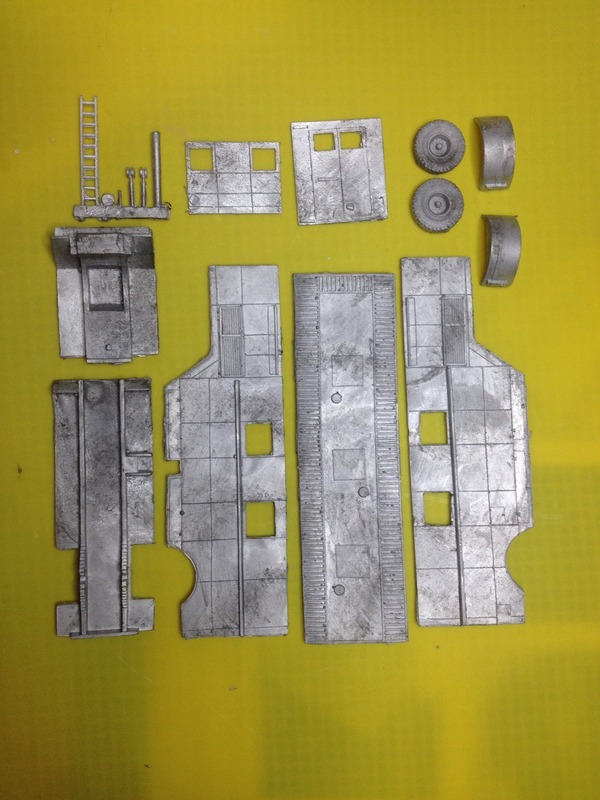 1/35 Sherman Engine Deck Set #11This item is out of stock we will have more in stock soon. Please contact us if you want to pre order this item. 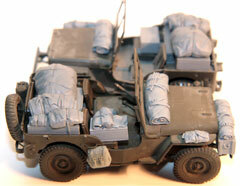 1/35 LRDG Truck Load Set #3This item is out of stock we will have more in stock soon. Please contact us if you want to pre order this item. 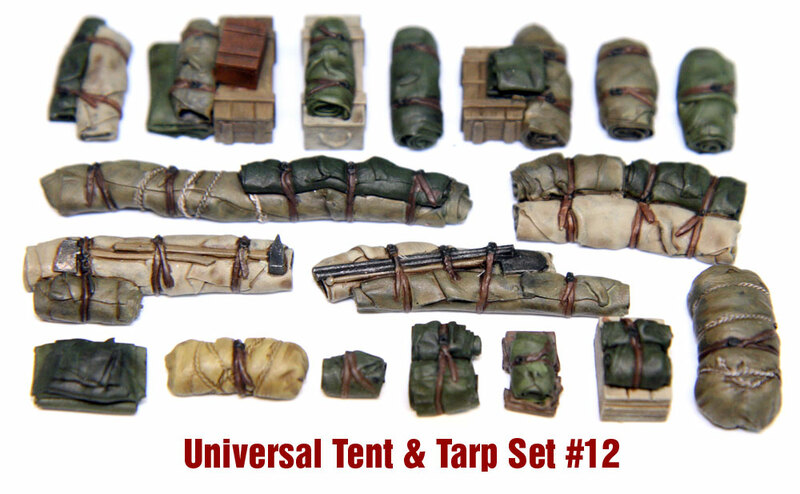 1/35 Tents & Tarps Set #12This item is out of stock we will have more in stock soon. Please contact us if you want to pre order this item. 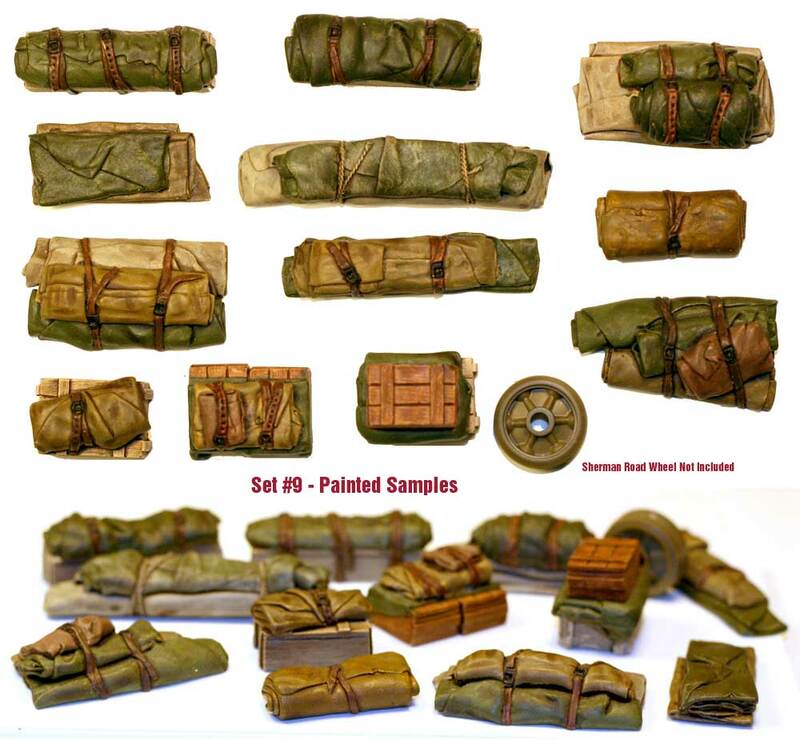 1/35 Tents & Tarps Set #10This item is out of stock we will have more in stock soon. Please contact us if you want to pre order this item. 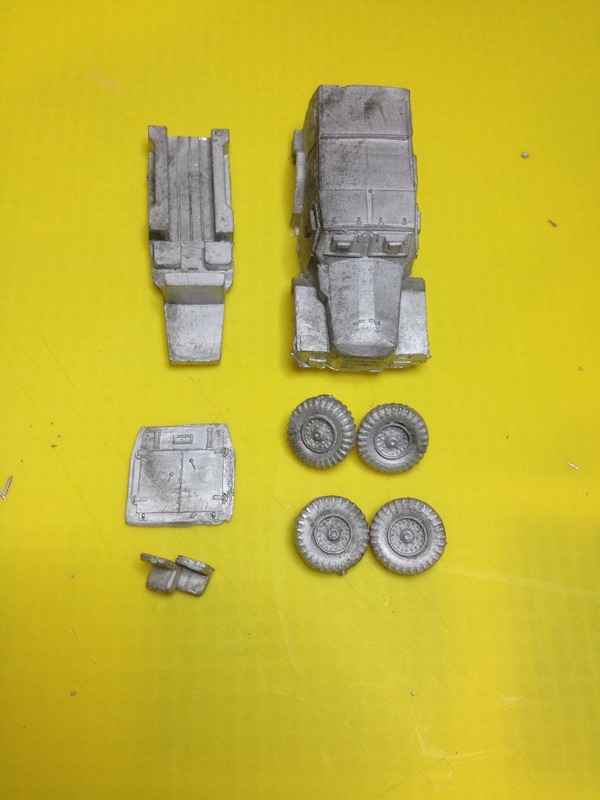 1/35 Sherman Engine Deck Set #7This item is out of stock we will have more in stock soon. Please contact us if you want to pre order this item. 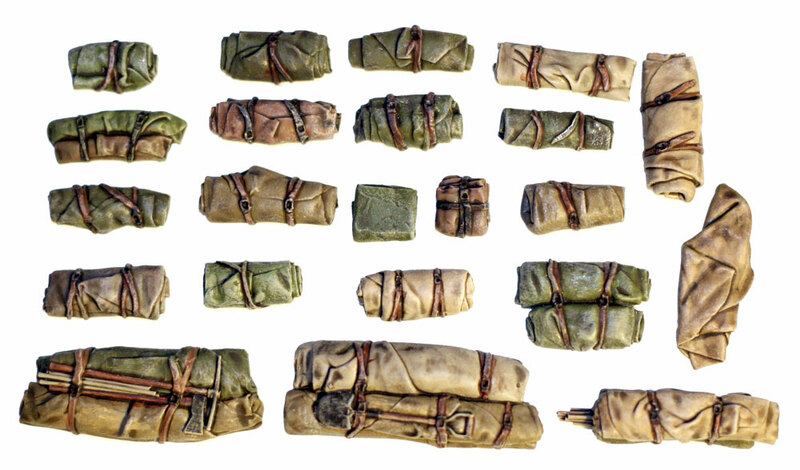 1/35 Tents & Tarps Set #11This item is out of stock we will have more in stock soon. Please contact us if you want to pre order this item. 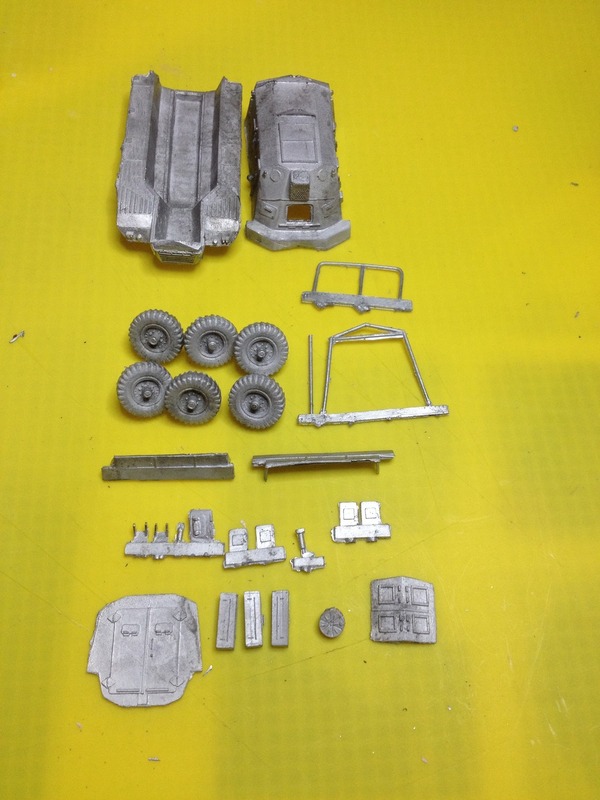 1/35 Sherman Engine Deck Set #13This item is out of stock we will have more in stock soon. Please contact us if you want to pre order this item. 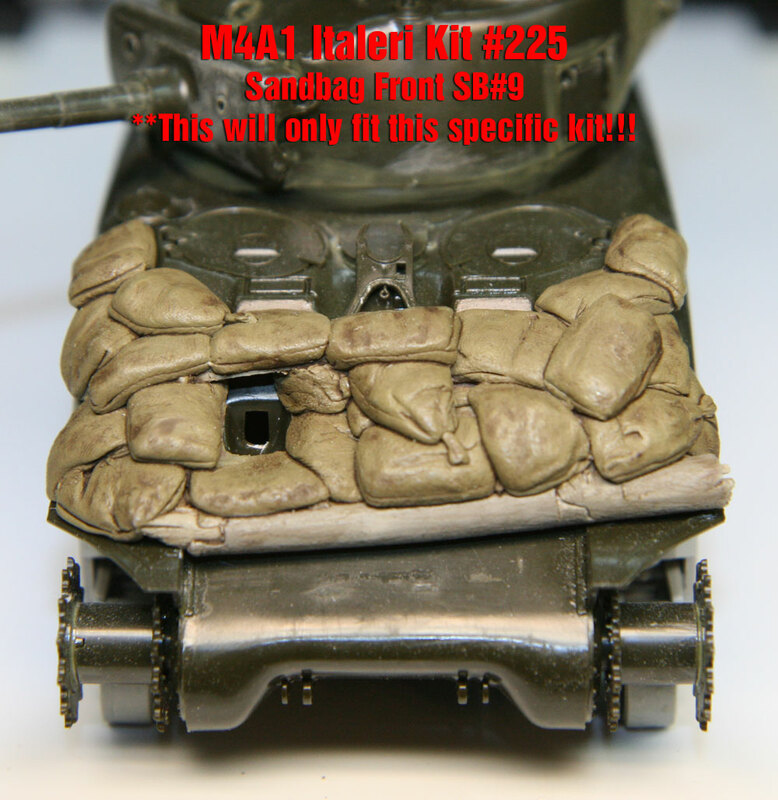 1/35 Sandbag FrontsThis item is out of stock we will have more in stock soon. Please contact us if you want to pre order this item. 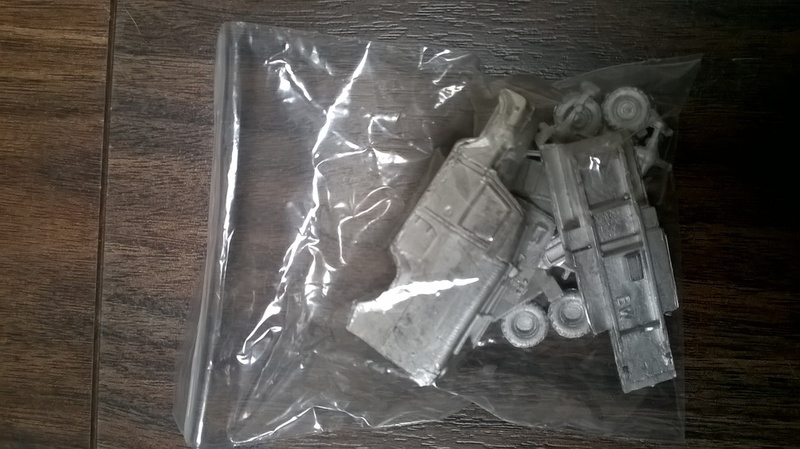 1/35 Opel Blitz Truck Load #3This item is out of stock we will have more in stock soon. Please contact us if you want to pre order this item. 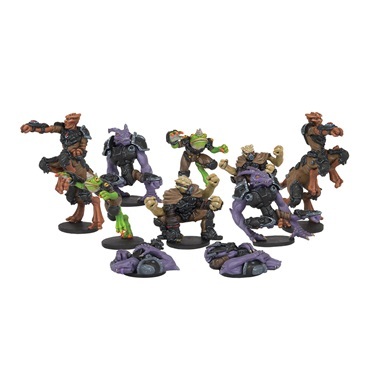 Greenmoon Smackers - Marauder Team (13 Figures)This item is out of stock we will have more in stock soon. Please contact us if you want to pre order this item. 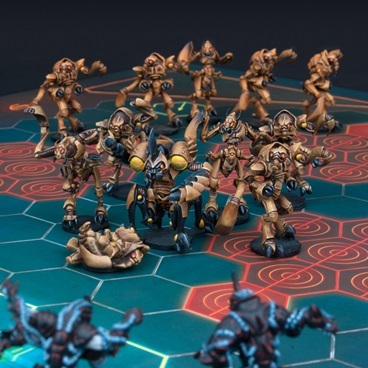 Nemion Oceanics - Sphyr TeamThis item is out of stock we will have more in stock soon. Please contact us if you want to pre order this item. 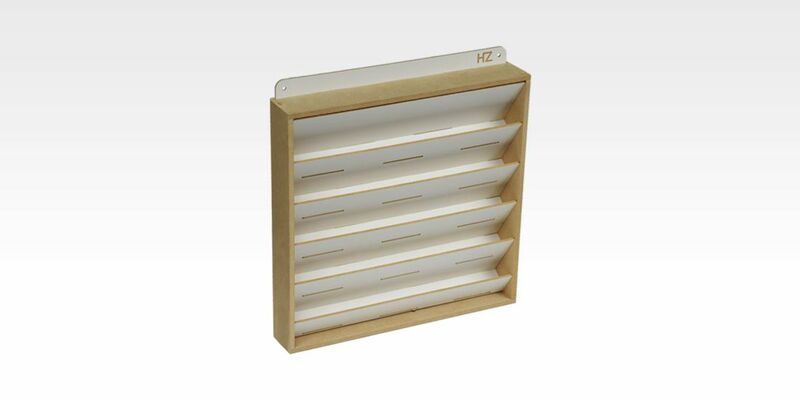 H20 Flat Clear FlatThis item is out of stock we will have more in stock soon. Please contact us if you want to pre order this item. 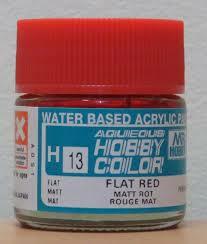 H13 Flat RedThis item is out of stock we will have more in stock soon. Please contact us if you want to pre order this item. 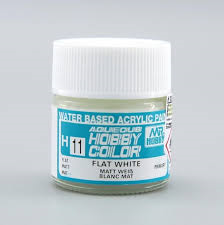 H11 Flat WhiteThis item is out of stock we will have more in stock soon. Please contact us if you want to pre order this item. H1 Gloss WhiteThis item is out of stock we will have more in stock soon. Please contact us if you want to pre order this item. 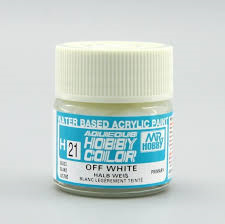 H21 Off WhiteThis item is out of stock we will have more in stock soon. Please contact us if you want to pre order this item. 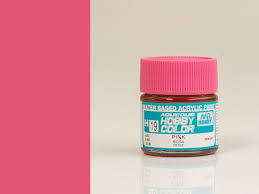 H19 PinkThis item is out of stock we will have more in stock soon. Please contact us if you want to pre order this item. 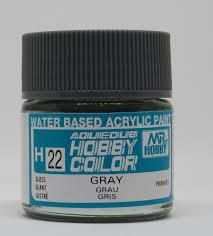 H22 Grey GlossThis item is out of stock we will have more in stock soon. Please contact us if you want to pre order this item. 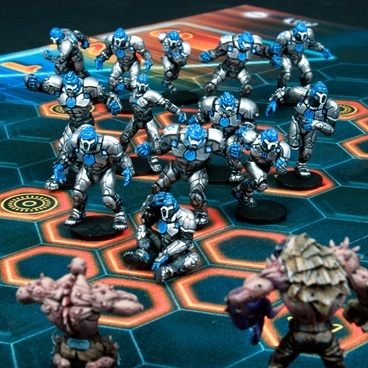 H15 Bright BlueThis item is out of stock we will have more in stock soon. Please contact us if you want to pre order this item. 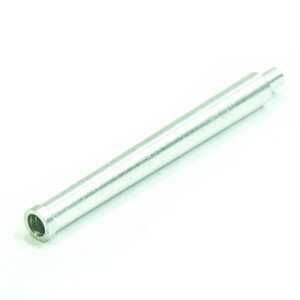 H18 Steel MetallicThis item is out of stock we will have more in stock soon. Please contact us if you want to pre order this item. 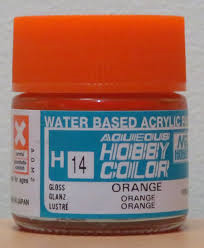 H14 OrangeThis item is out of stock we will have more in stock soon. Please contact us if you want to pre order this item. 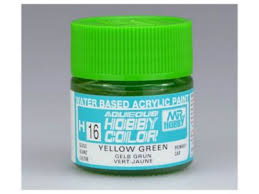 H16 Yellow GreenThis item is out of stock we will have more in stock soon. Please contact us if you want to pre order this item. 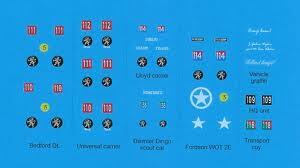 1/76 Land Rover 110XD WMIKThis item is out of stock we will have more in stock soon. Please contact us if you want to pre order this item. 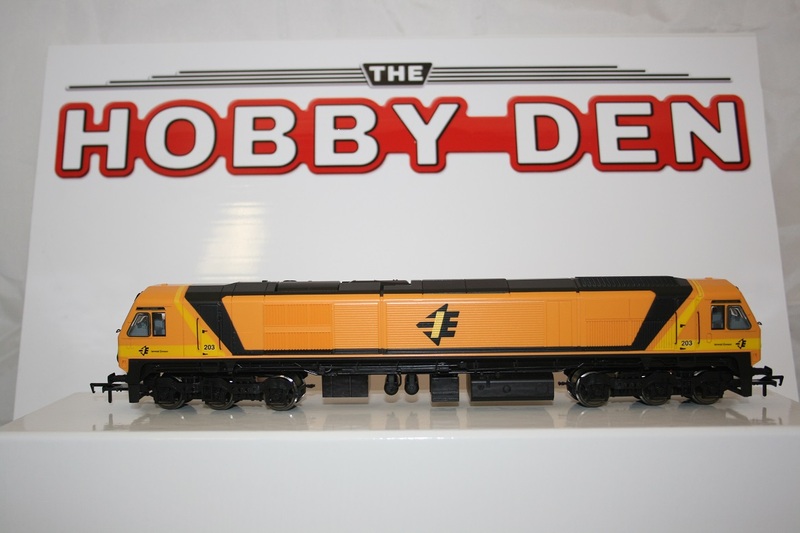 1/76 FV 2701 Semi TrailerThis item is out of stock we will have more in stock soon. Please contact us if you want to pre order this item. 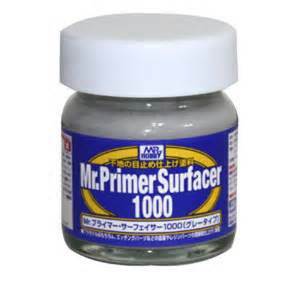 Mr. Primer Surfacer 1000 40mLThis item is out of stock we will have more in stock soon. Please contact us if you want to pre order this item. 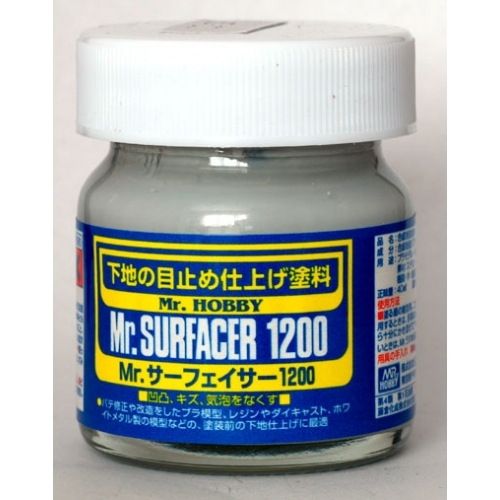 Mr Surfacer 1200This item is out of stock we will have more in stock soon. Please contact us if you want to pre order this item. 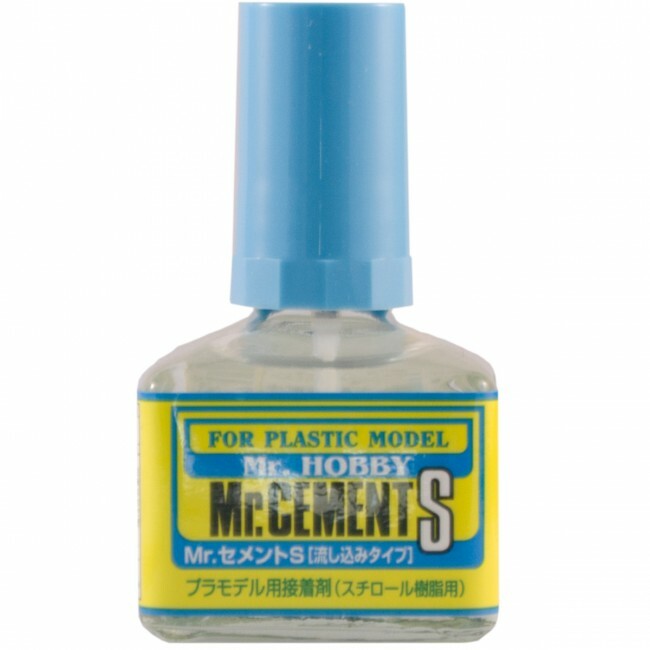 Mr Hobby 40ml Mr Cement SThis item is out of stock we will have more in stock soon. Please contact us if you want to pre order this item. 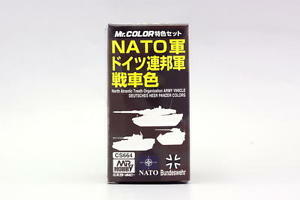 NATO Army Vehicle (3) Colors Set - Gunze / Mr. Color 10ml BottleThis item is out of stock we will have more in stock soon. Please contact us if you want to pre order this item. Mr. Mark Setter neo / 40mlThis item is out of stock we will have more in stock soon. Please contact us if you want to pre order this item. Mr Color RAF Middle to Late Period SetThis item is out of stock we will have more in stock soon. Please contact us if you want to pre order this item. 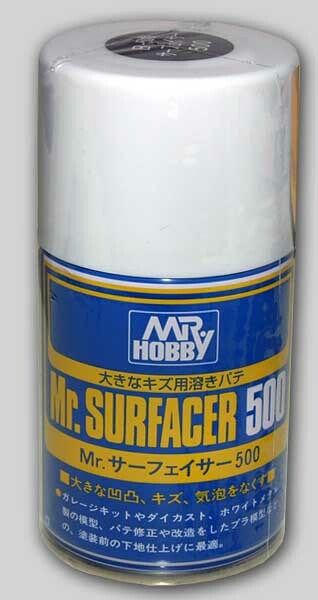 Mr Surfacer Spray 500This item is out of stock we will have more in stock soon. Please contact us if you want to pre order this item. 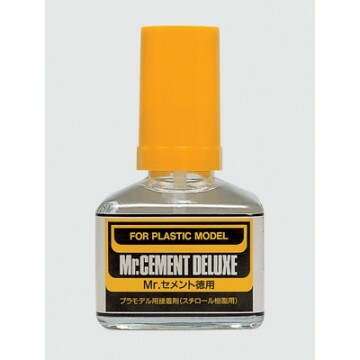 Mr. Cement Deluxe 40mlThis item is out of stock we will have more in stock soon. Please contact us if you want to pre order this item. 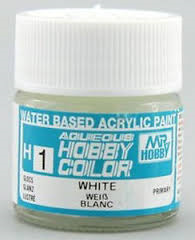 Mr Hobby CS682 WWII U.S. 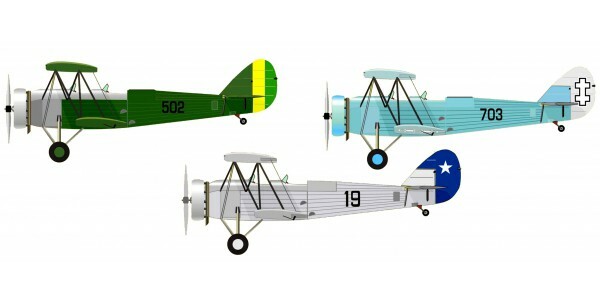 Naval Aircraft Standard Color SetThis item is out of stock we will have more in stock soon. Please contact us if you want to pre order this item. 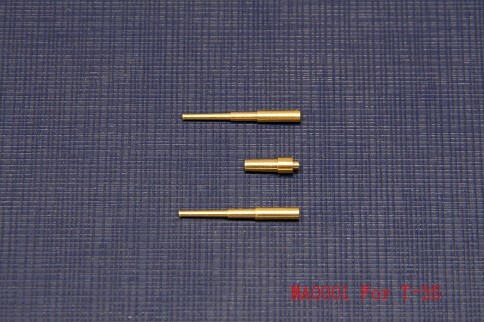 1/72 Ordnance QF 17 pounderThis item is out of stock we will have more in stock soon. Please contact us if you want to pre order this item. 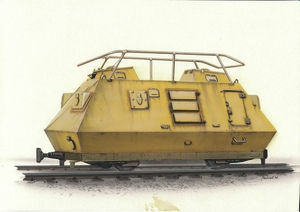 1/72 7,5cm KwK40L/48This item is out of stock we will have more in stock soon. Please contact us if you want to pre order this item. 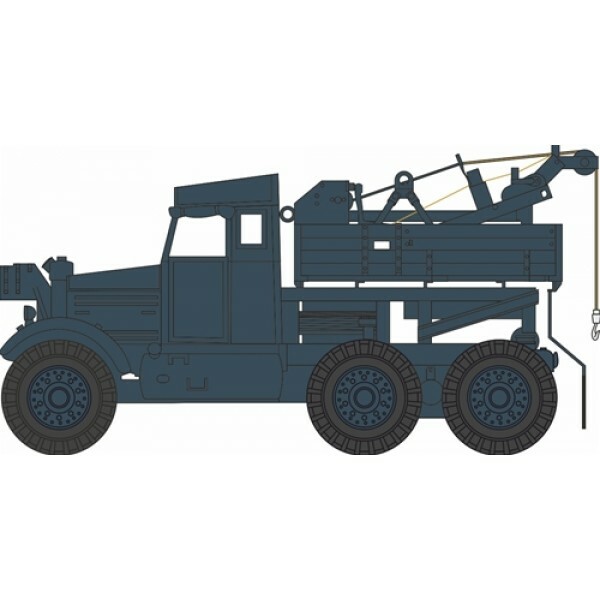 1/72 152.4 mm ML-20S gun-howitzerThis item is out of stock we will have more in stock soon. Please contact us if you want to pre order this item. 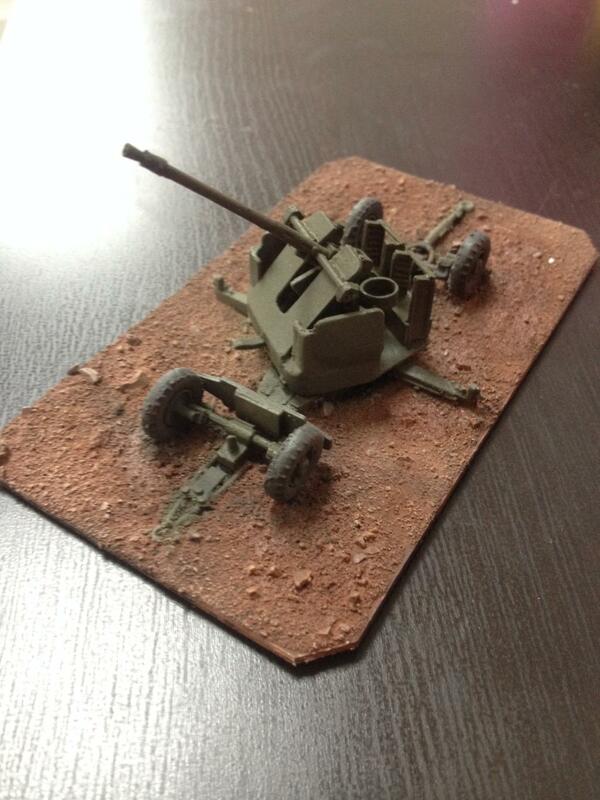 1/72 7.5cm Pak 39 L/48This item is out of stock we will have more in stock soon. Please contact us if you want to pre order this item. 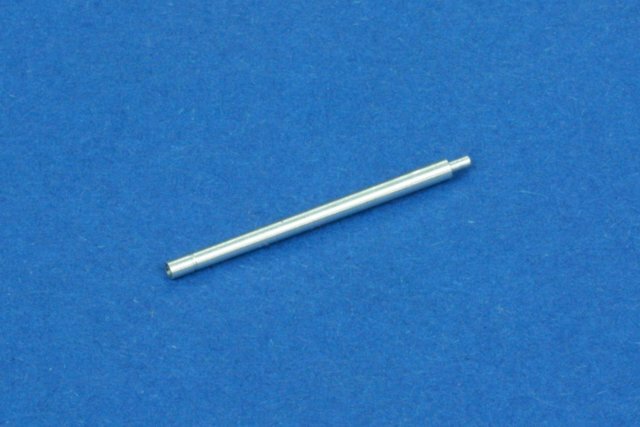 1/72 S-Model T-35 Metal BarrelsThis item is out of stock we will have more in stock soon. Please contact us if you want to pre order this item. 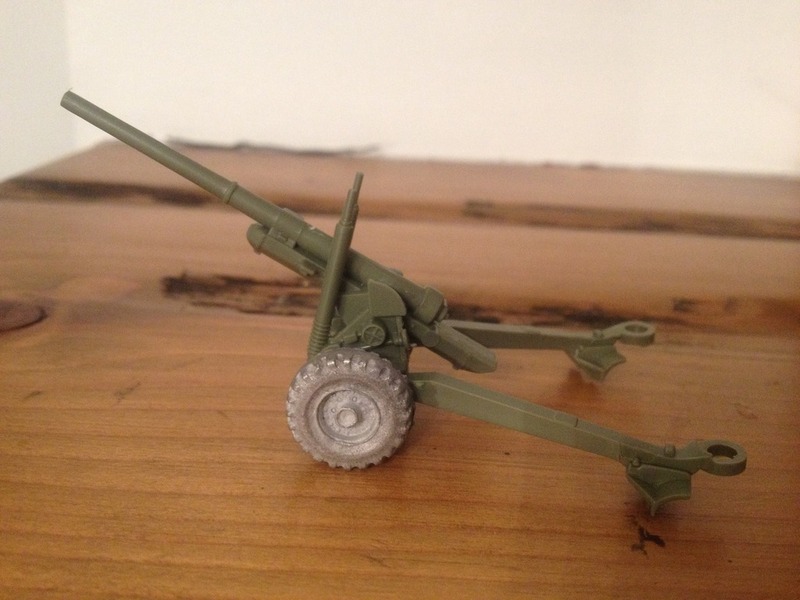 1/72 Soviet 76,2mm L-11This item is out of stock we will have more in stock soon. Please contact us if you want to pre order this item. 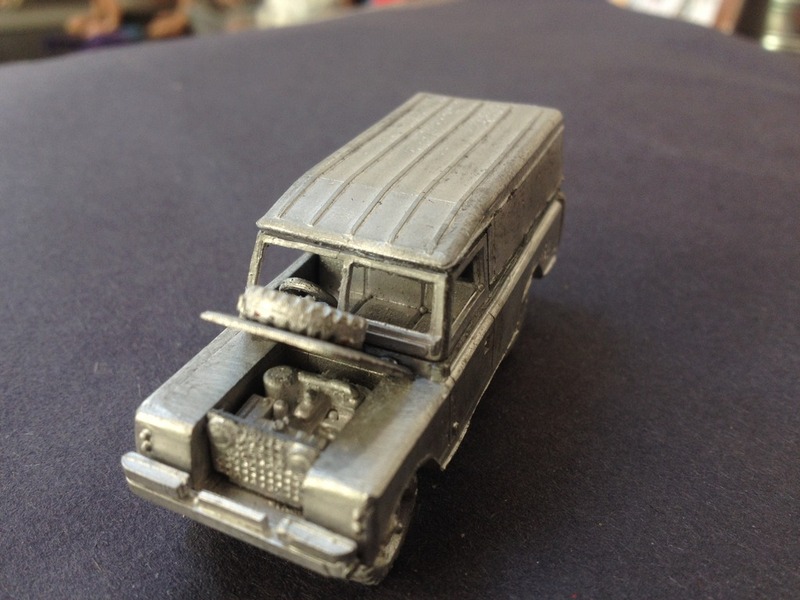 1/76 Land Rover Series 1This item is out of stock we will have more in stock soon. Please contact us if you want to pre order this item. 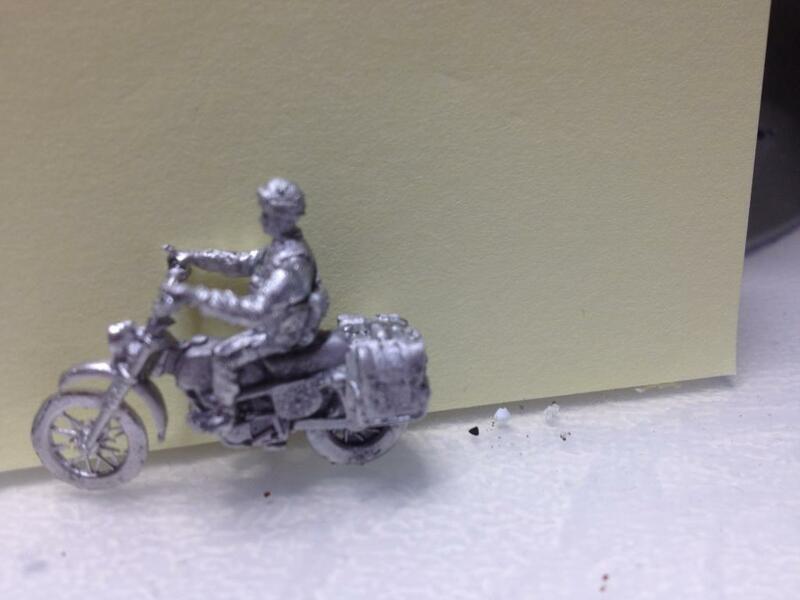 1/72 BSA MORORCYCLEThis item is out of stock we will have more in stock soon. Please contact us if you want to pre order this item. 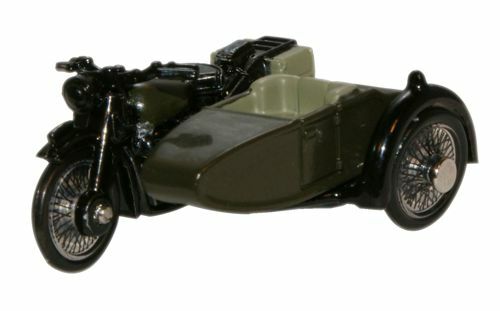 1/76 David Brown TractorThis item is out of stock we will have more in stock soon. Please contact us if you want to pre order this item. 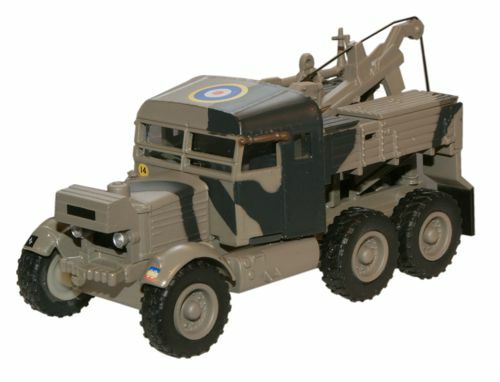 1/76 RAF Blue Scammell Pioneer RecoveryThis item is out of stock we will have more in stock soon. Please contact us if you want to pre order this item. 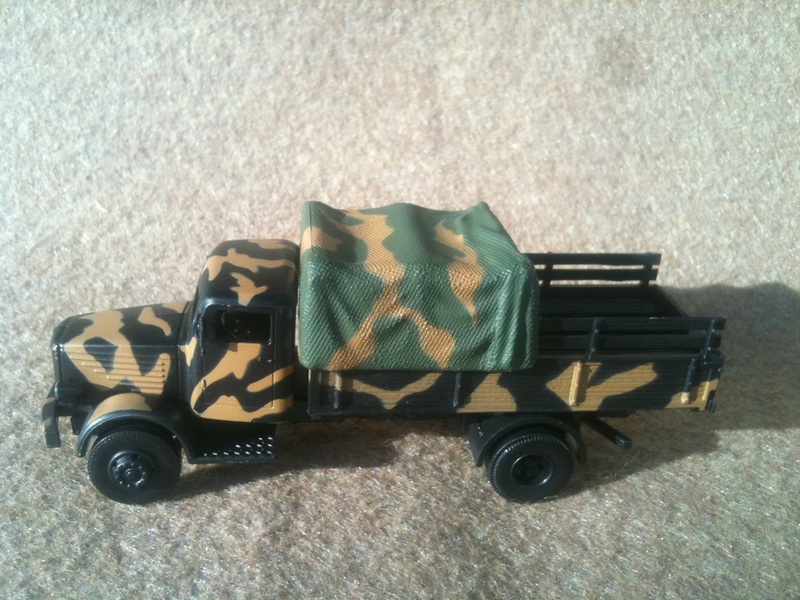 1/76 6TH DIV SCAMMEL RECOVERY TRACTORThis item is out of stock we will have more in stock soon. Please contact us if you want to pre order this item. 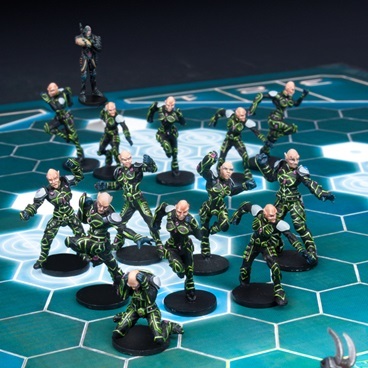 Aztek 9-Piece Resin Airbrush SetThis item is out of stock we will have more in stock soon. Please contact us if you want to pre order this item. 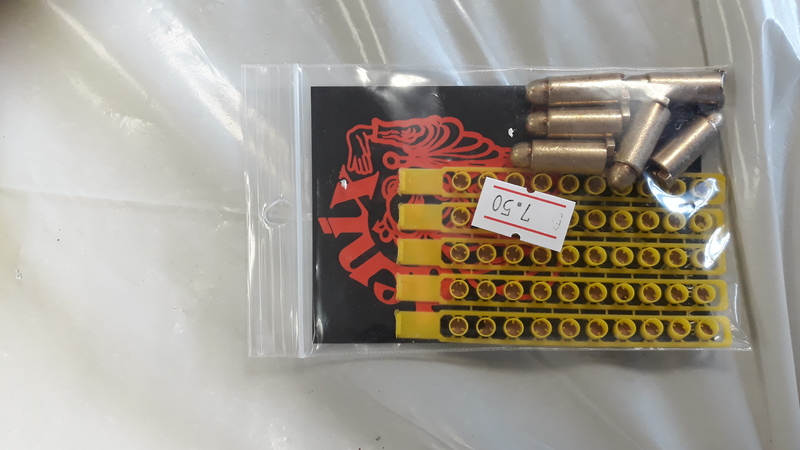 Hobby KnifeThis item is out of stock we will have more in stock soon. Please contact us if you want to pre order this item. 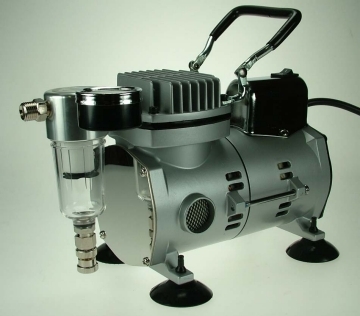 BADGER GENERAL PURPOSE COMPRESSORThis item is out of stock we will have more in stock soon. Please contact us if you want to pre order this item. 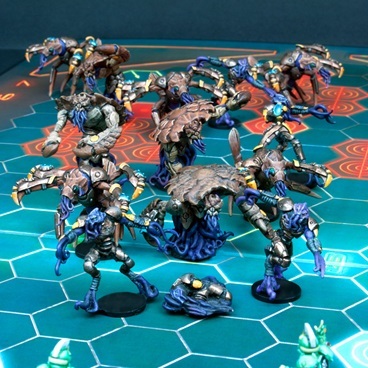 Aztek 7-Piece Resin Airbrush SetThis item is out of stock we will have more in stock soon. Please contact us if you want to pre order this item. 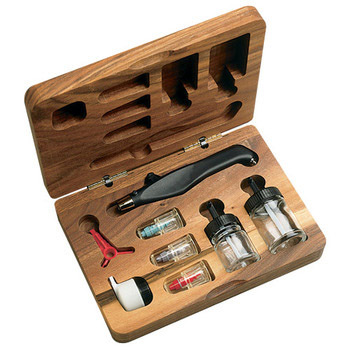 Pipette X5This item is out of stock we will have more in stock soon. Please contact us if you want to pre order this item. 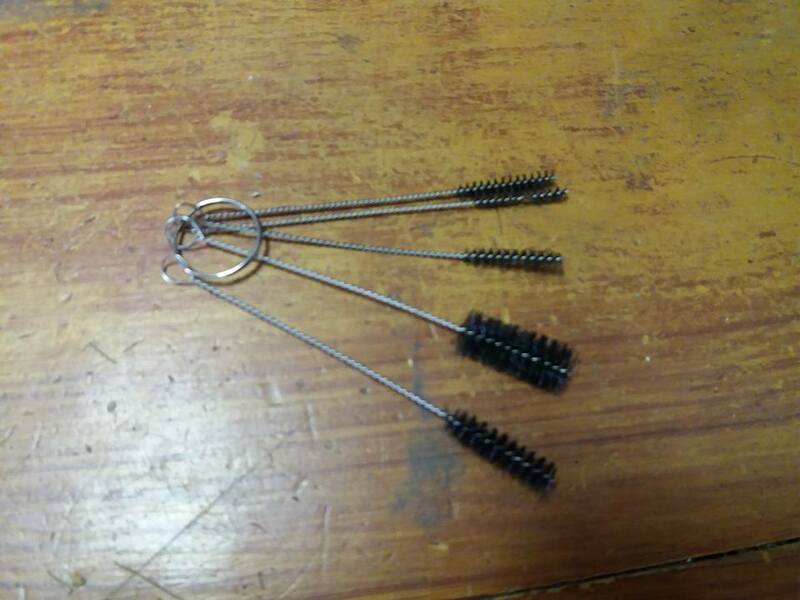 Anti Static Tweezers pointedThis item is out of stock we will have more in stock soon. Please contact us if you want to pre order this item. 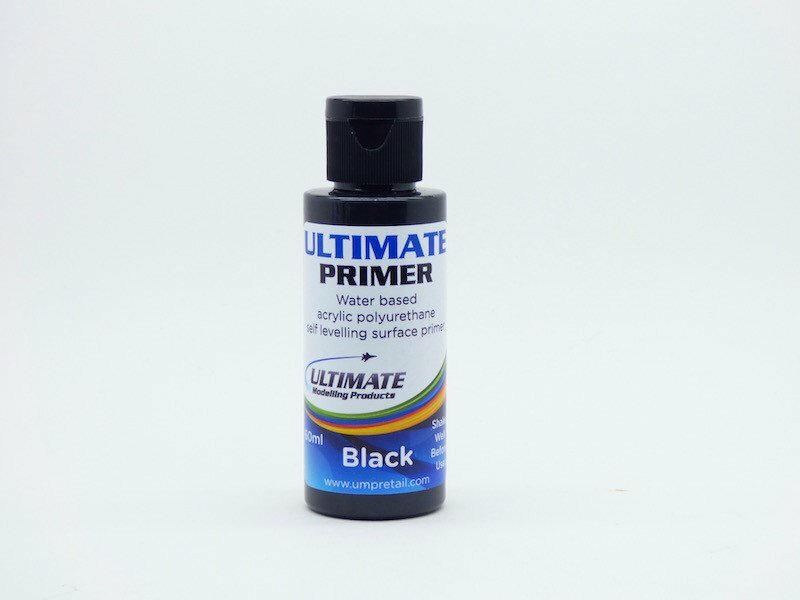 Ultimate Primer - 60ml BlackThis item is out of stock we will have more in stock soon. Please contact us if you want to pre order this item. 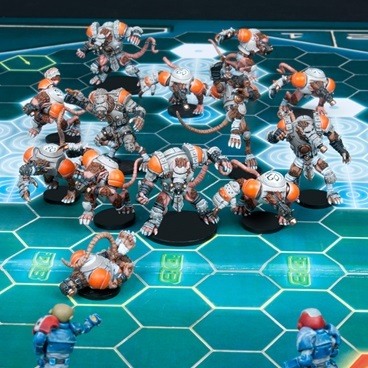 BADGER 100-3 AIRBRUSHThis item is out of stock we will have more in stock soon. Please contact us if you want to pre order this item. 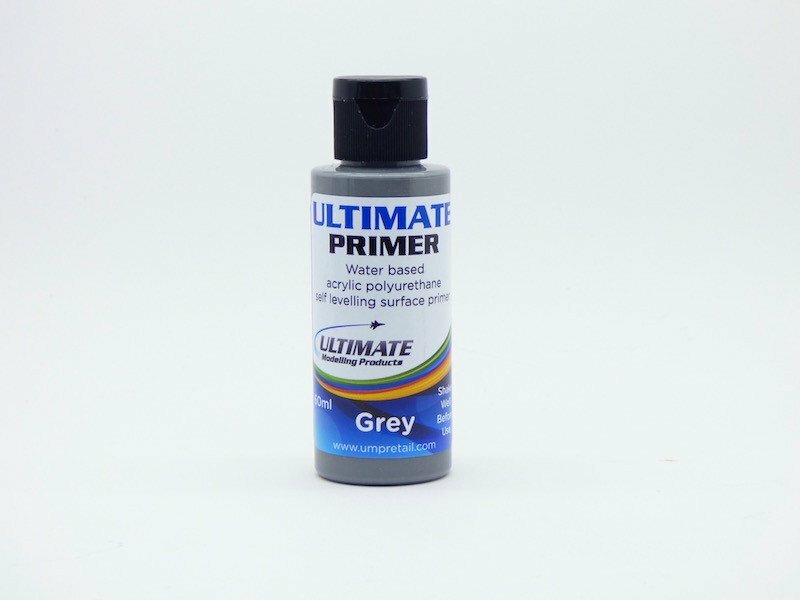 Ultimate Primer - 60ml GreyThis item is out of stock we will have more in stock soon. Please contact us if you want to pre order this item. 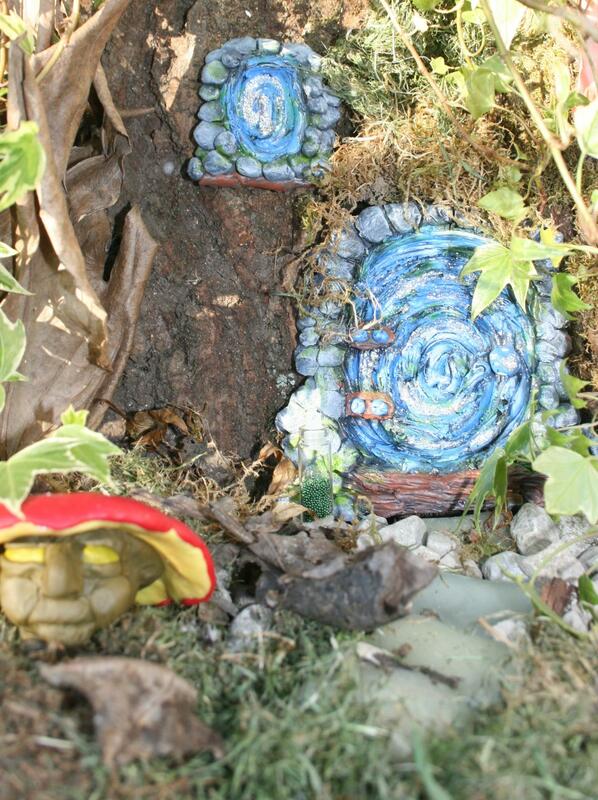 '9 inch strip of Green Stuff-KneadatiteThis item is out of stock we will have more in stock soon. Please contact us if you want to pre order this item. 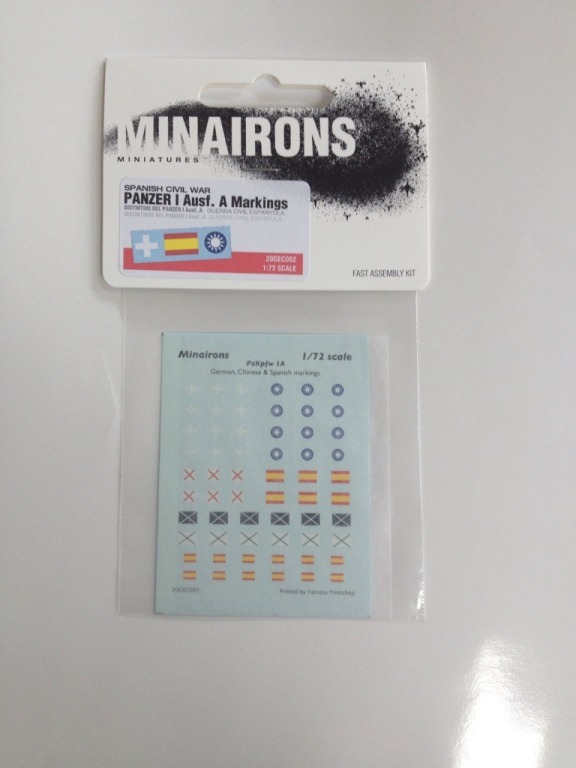 Anti static Tweezers FlatThis item is out of stock we will have more in stock soon. Please contact us if you want to pre order this item. 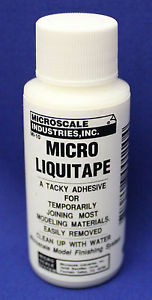 Micro LiquitapeThis item is out of stock we will have more in stock soon. Please contact us if you want to pre order this item. 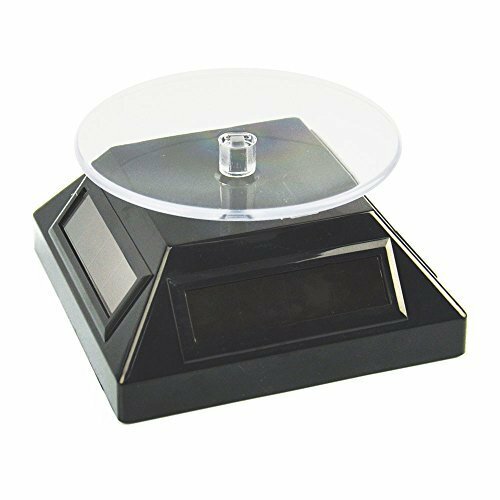 Solar powered rotating display baseThis item is out of stock we will have more in stock soon. Please contact us if you want to pre order this item. 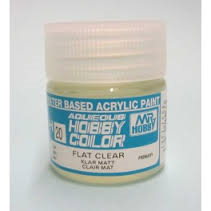 Airbrush cleaning brushesThis item is out of stock we will have more in stock soon. Please contact us if you want to pre order this item. PORTABLE SPRAY BOOTHThis item is out of stock we will have more in stock soon. Please contact us if you want to pre order this item. 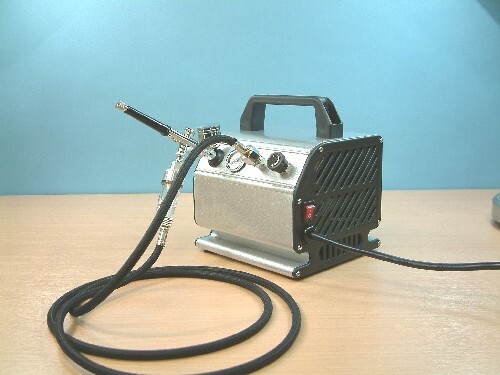 Airbrush and Compressor DealThis item is out of stock we will have more in stock soon. Please contact us if you want to pre order this item. 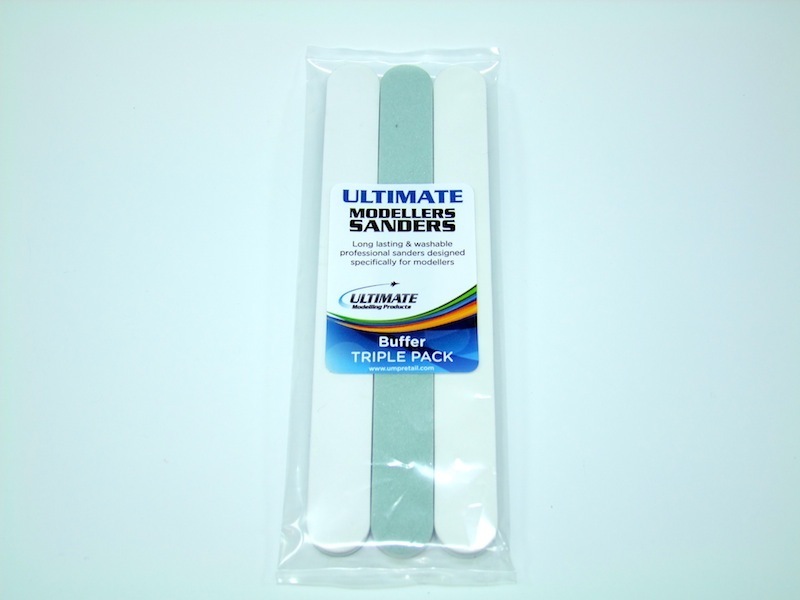 Ultimate Modelling Products Sanders - Buffer Triple PackThis item is out of stock we will have more in stock soon. Please contact us if you want to pre order this item. 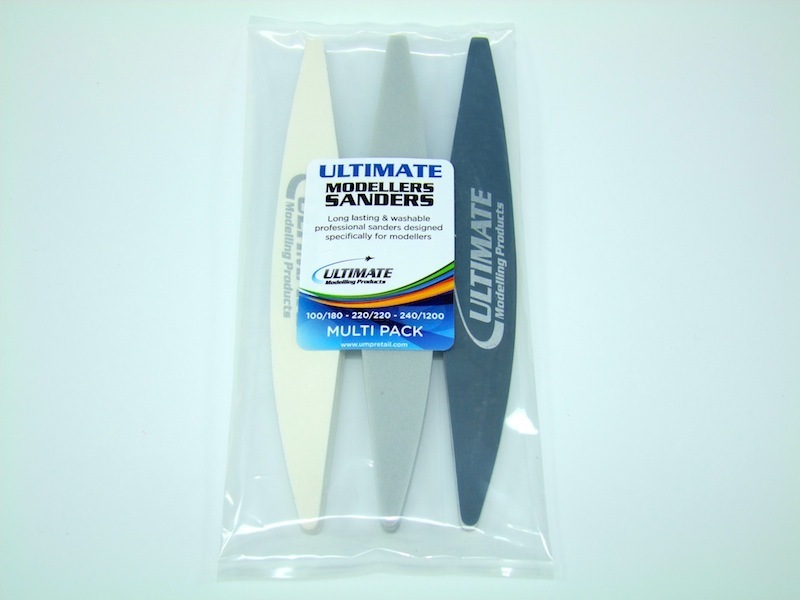 Ultimate Modelling Products Sanders - Assorted Multi PackThis item is out of stock we will have more in stock soon. Please contact us if you want to pre order this item. 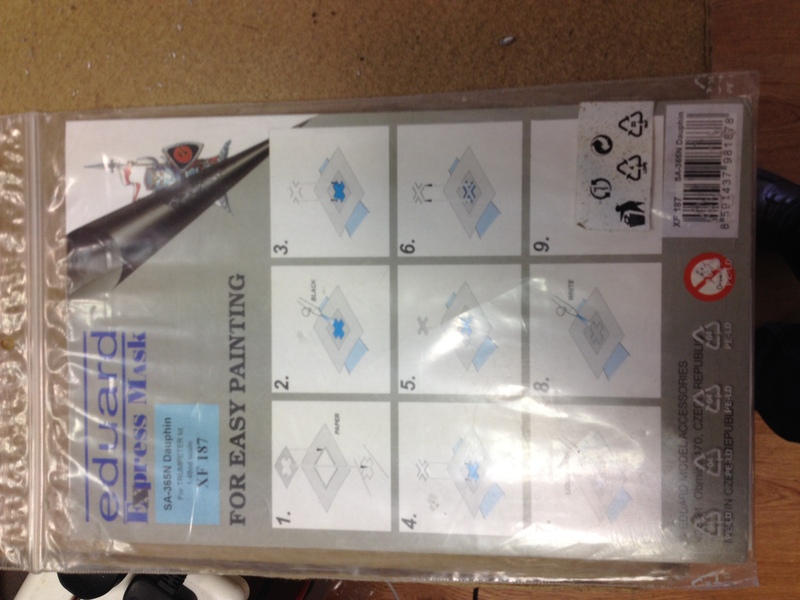 Sprue CutterThis item is out of stock we will have more in stock soon. Please contact us if you want to pre order this item. 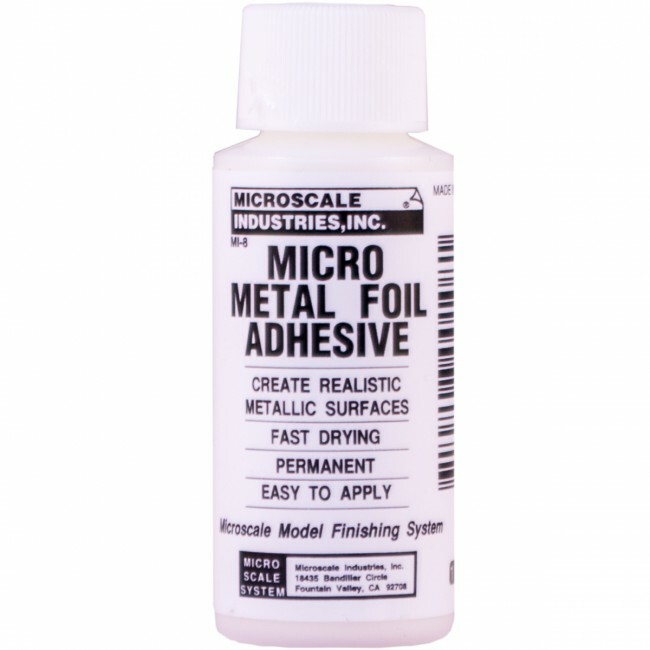 Micro Metal Foil AdhesivThis item is out of stock we will have more in stock soon. Please contact us if you want to pre order this item. 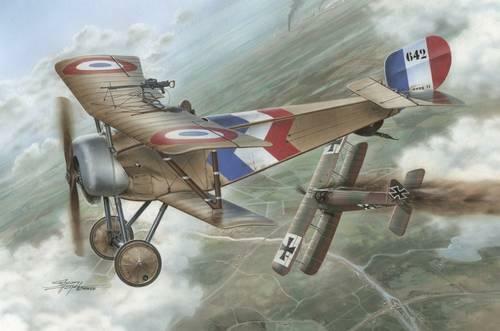 1/32 Nieuport Nie-11 BebeThis item is out of stock we will have more in stock soon. Please contact us if you want to pre order this item. 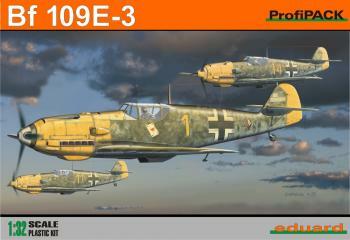 Eduard Profipack 1:32 - Bf 109E-3This item is out of stock we will have more in stock soon. Please contact us if you want to pre order this item. 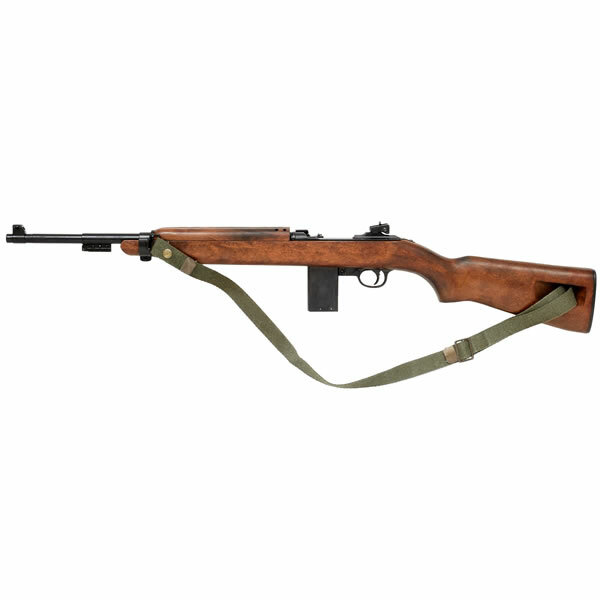 SMG infantry PPSH41 RAL 02This item is out of stock we will have more in stock soon. Please contact us if you want to pre order this item. 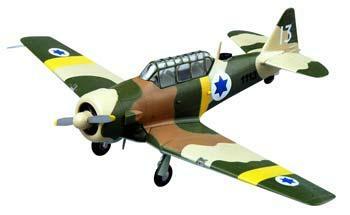 1/72 T-6 Israeli Air ForceThis item is out of stock we will have more in stock soon. Please contact us if you want to pre order this item. 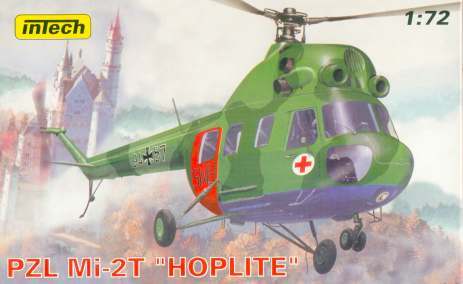 1/72 Diecast Mi 24This item is out of stock we will have more in stock soon. Please contact us if you want to pre order this item. 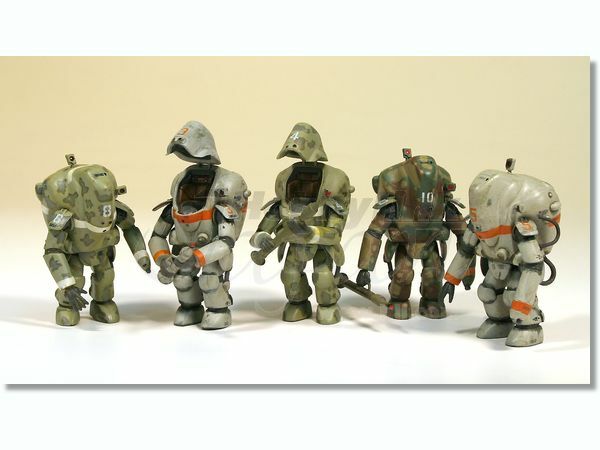 1/35 Ma.k FigureThis item is out of stock we will have more in stock soon. Please contact us if you want to pre order this item. 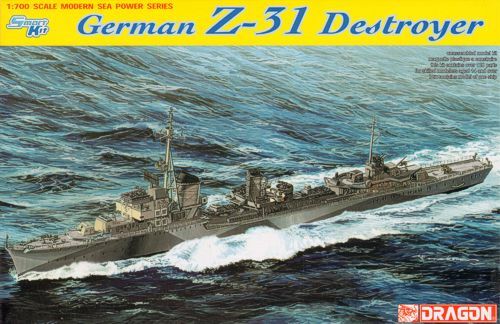 1/700 German Z39 DestroyerThis item is out of stock we will have more in stock soon. Please contact us if you want to pre order this item. 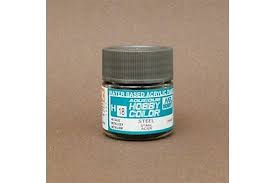 1/700 Yorktown Aircraft CarrierThis item is out of stock we will have more in stock soon. Please contact us if you want to pre order this item. 1/700 Prinz EugenThis item is out of stock we will have more in stock soon. Please contact us if you want to pre order this item. 1/350 USS INDIANAPOLISThis item is out of stock we will have more in stock soon. Please contact us if you want to pre order this item. 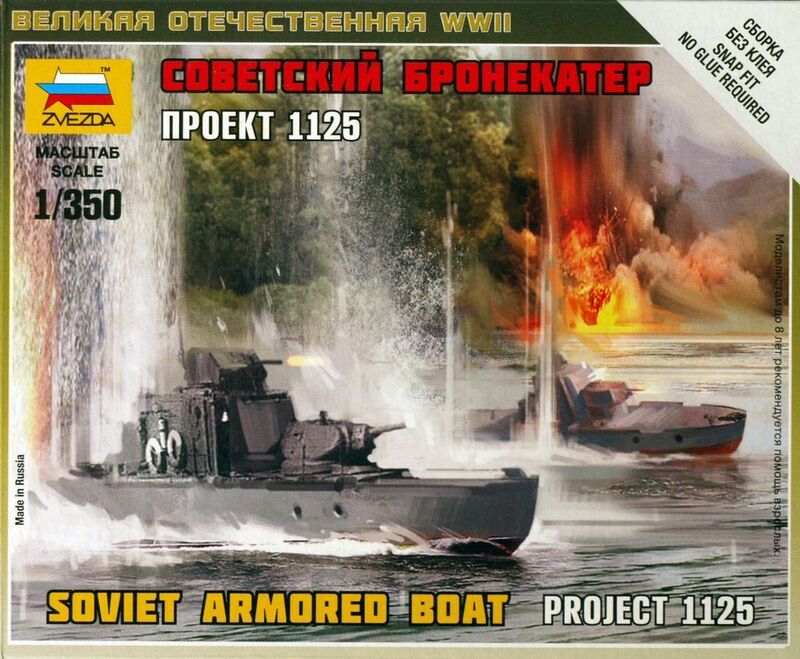 1/350 SOVIET ARMORED BOAT PROJECTThis item is out of stock we will have more in stock soon. Please contact us if you want to pre order this item. 1/700 Scharnhorst Battle CruiserThis item is out of stock we will have more in stock soon. Please contact us if you want to pre order this item. 1/700 German Z31 destroyerThis item is out of stock we will have more in stock soon. Please contact us if you want to pre order this item. 1/350 DKM Navy Type VII-C U-Boat 83505This item is out of stock we will have more in stock soon. Please contact us if you want to pre order this item. 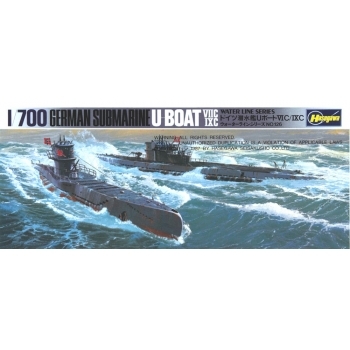 1/700 German Submarines U-Boats 7C and 9CThis item is out of stock we will have more in stock soon. Please contact us if you want to pre order this item. 1/350 DKM Navy Type VII-A U-Boat83503This item is out of stock we will have more in stock soon. Please contact us if you want to pre order this item. AOSHIMA 1/350 Kaiwo Maru Sailing ShipThis item is out of stock we will have more in stock soon. Please contact us if you want to pre order this item. 1/700 HMS King George VThis item is out of stock we will have more in stock soon. Please contact us if you want to pre order this item. 1/350 DKM Navy Type VII-B U-Boat 83504This item is out of stock we will have more in stock soon. Please contact us if you want to pre order this item. 1/700 USS Yorktown CV5This item is out of stock we will have more in stock soon. Please contact us if you want to pre order this item. 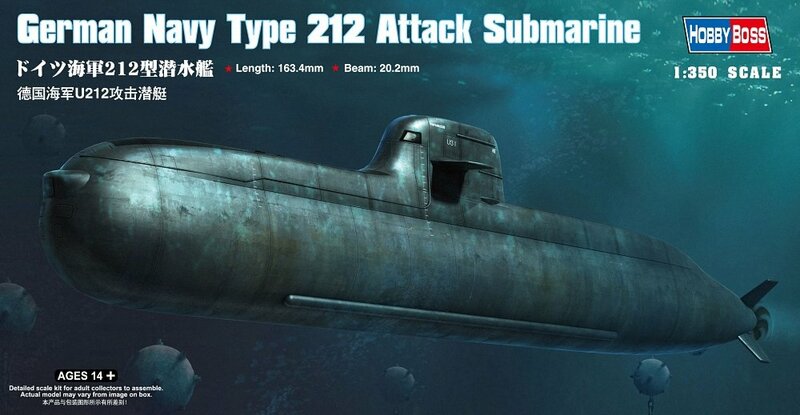 1/350 German Navy Type 212 Attack SubmarineThis item is out of stock we will have more in stock soon. Please contact us if you want to pre order this item. 1/700 BB-62 New JerseyThis item is out of stock we will have more in stock soon. Please contact us if you want to pre order this item. 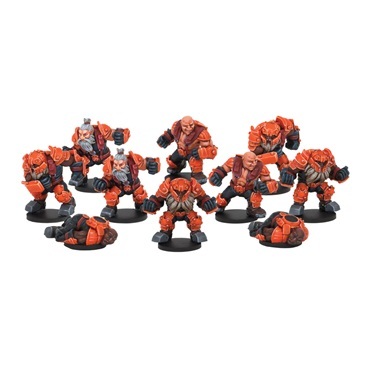 Midgard Delvers - Forge Father Team (13 Figures)This item is out of stock we will have more in stock soon. Please contact us if you want to pre order this item. 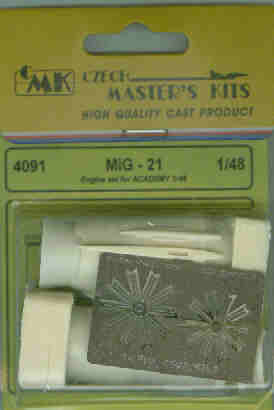 1/48 Mig 21 Engine kit for the Academy KitThis item is out of stock we will have more in stock soon. Please contact us if you want to pre order this item. 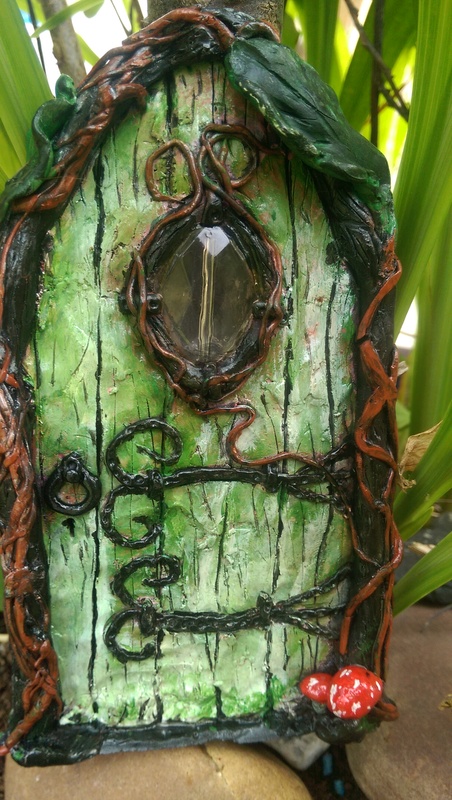 Fantasy 28M DoorsThis item is out of stock we will have more in stock soon. Please contact us if you want to pre order this item. 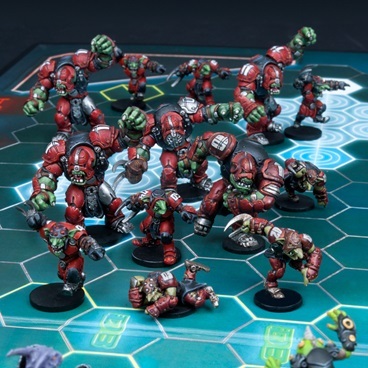 Polycraft ZA 22 Thixo Body RTV Skin Safe Addition Cure Mould MakThis item is out of stock we will have more in stock soon. Please contact us if you want to pre order this item. 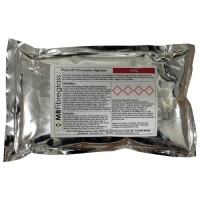 Polycraft Chromatic Alginate 450GThis item is out of stock we will have more in stock soon. Please contact us if you want to pre order this item. 2m X 2.5M Desert MatThis item is out of stock we will have more in stock soon. Please contact us if you want to pre order this item. 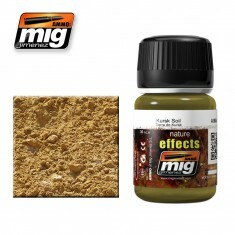 2m x 1.25m Desert Beige MatThis item is out of stock we will have more in stock soon. Please contact us if you want to pre order this item. 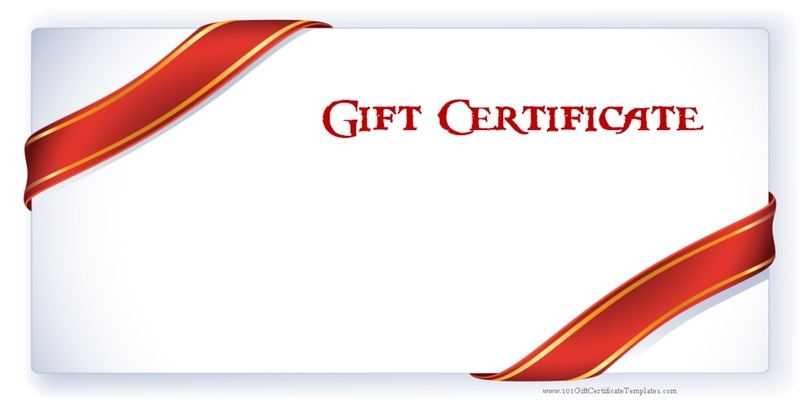 10 Euro Gift CertificateThis item is out of stock we will have more in stock soon. Please contact us if you want to pre order this item. Emerald FairyThis item is out of stock we will have more in stock soon. Please contact us if you want to pre order this item. 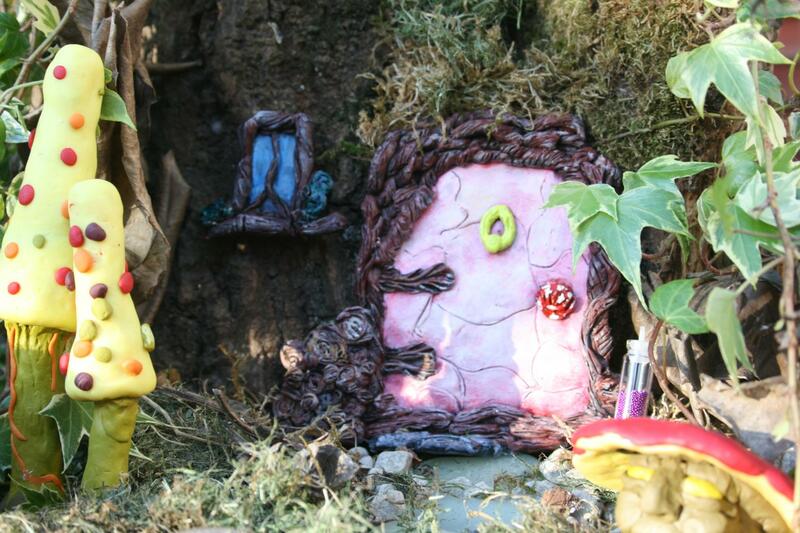 Dee's Fairy doorThis item is out of stock we will have more in stock soon. Please contact us if you want to pre order this item. 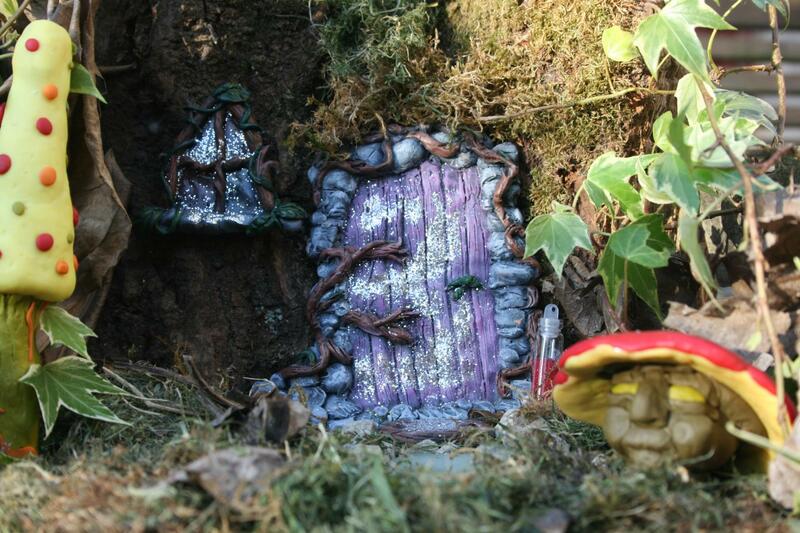 Doo's Fairy DoorThis item is out of stock we will have more in stock soon. Please contact us if you want to pre order this item. 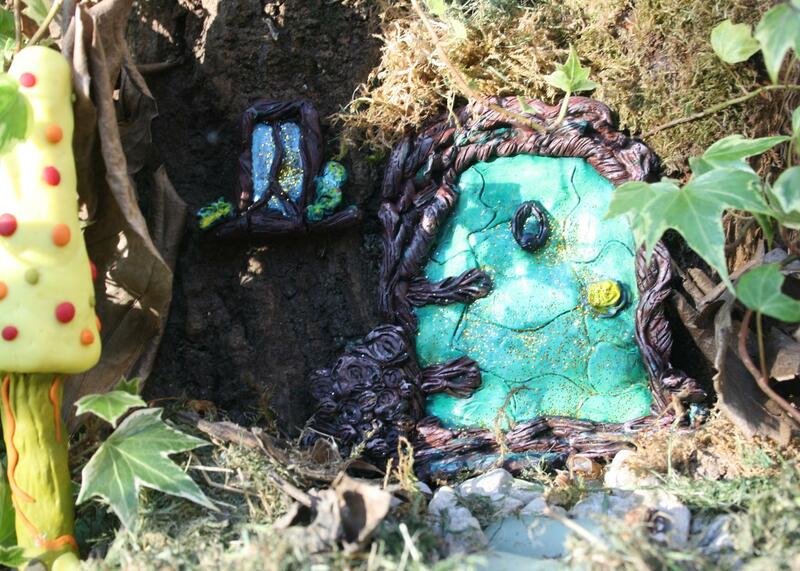 Emerald Fairy DoorThis item is out of stock we will have more in stock soon. Please contact us if you want to pre order this item. 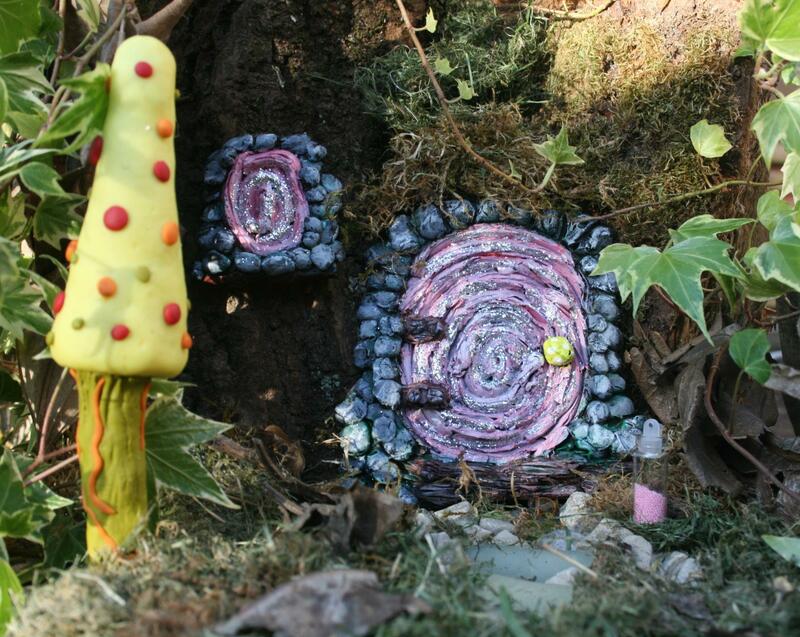 Ditti Fairy DoorThis item is out of stock we will have more in stock soon. Please contact us if you want to pre order this item. 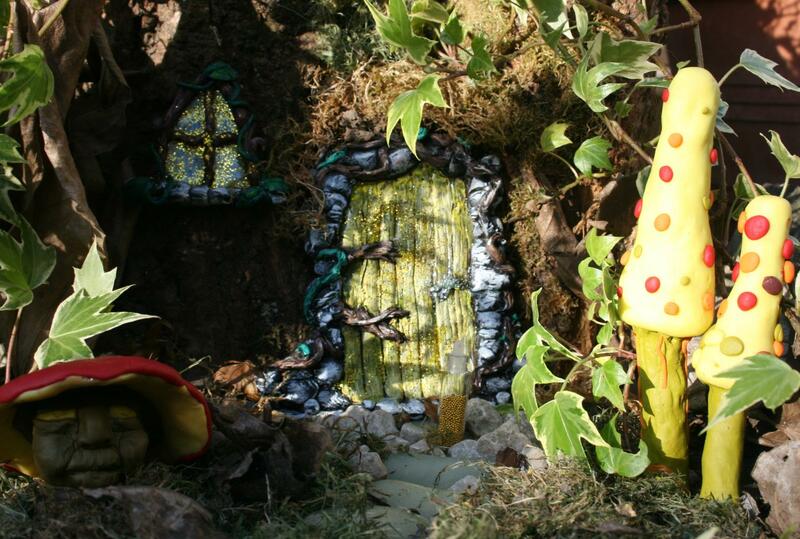 Fairy DoorThis item is out of stock we will have more in stock soon. Please contact us if you want to pre order this item. 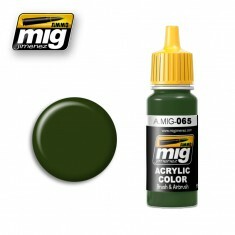 A.MIG-065 FOREST GREENThis item is out of stock we will have more in stock soon. Please contact us if you want to pre order this item. 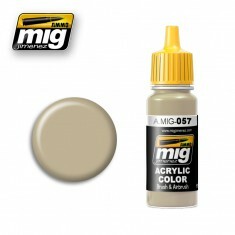 A.MIG-057 YELLOW GREYThis item is out of stock we will have more in stock soon. Please contact us if you want to pre order this item. A.MIG-014 RAL 8012 ROTBRAUNThis item is out of stock we will have more in stock soon. Please contact us if you want to pre order this item. 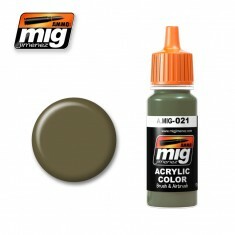 A.MIG-011 RAL 7028 DUNKELGELB AUS ’44 DG IThis item is out of stock we will have more in stock soon. Please contact us if you want to pre order this item. 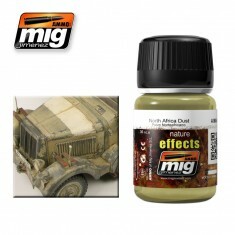 A.MIG-012 RAL 7028 DUNKELGELB AUS ’44 DG IIIThis item is out of stock we will have more in stock soon. Please contact us if you want to pre order this item. 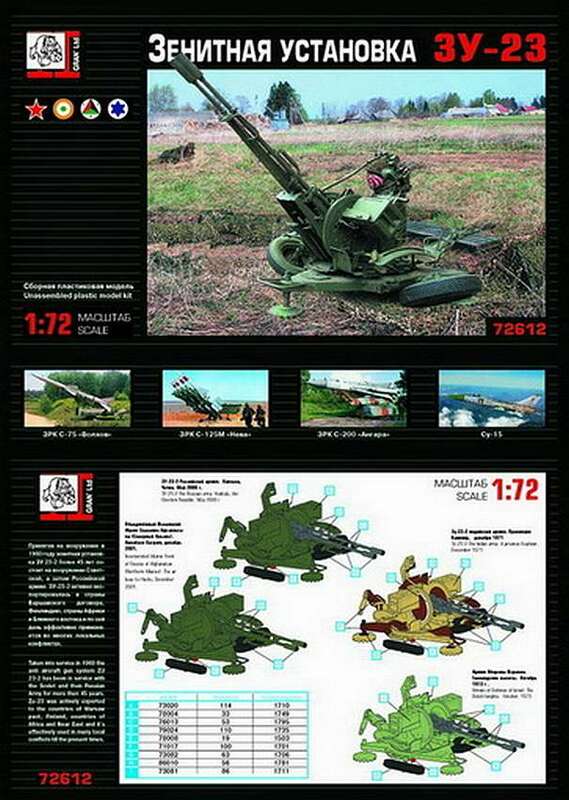 A.MIG-021 7K RUSSIAN TANThis item is out of stock we will have more in stock soon. Please contact us if you want to pre order this item. A.MIG-007 RAL 7017 DUNKELBRAUNThis item is out of stock we will have more in stock soon. Please contact us if you want to pre order this item. A.MIG-023 PROTECTIVE GREENThis item is out of stock we will have more in stock soon. Please contact us if you want to pre order this item. 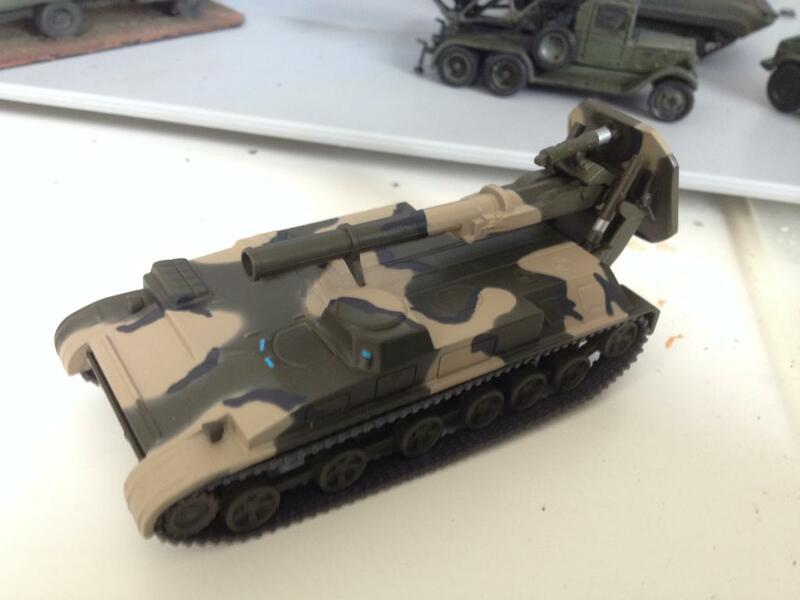 A.MIG-013 RAL 8000 GELBBRAUNThis item is out of stock we will have more in stock soon. Please contact us if you want to pre order this item. 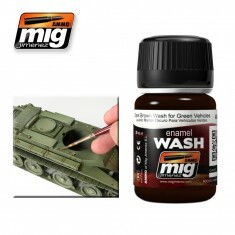 A.MIG-001 RAL 6003 OLIVGRÜN OPT.1This item is out of stock we will have more in stock soon. Please contact us if you want to pre order this item. A.MIG-036 Old WoodThis item is out of stock we will have more in stock soon. Please contact us if you want to pre order this item. 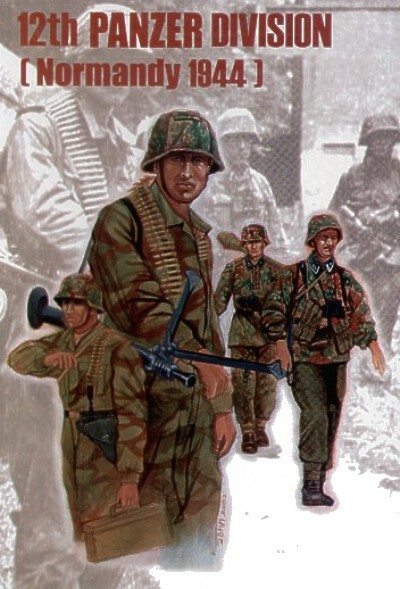 A.MIG-018 WAFFEN SS - POLIZEI GRÜNThis item is out of stock we will have more in stock soon. Please contact us if you want to pre order this item. 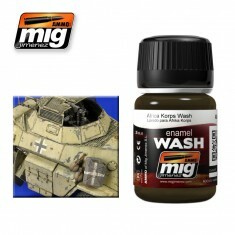 A.MIG-005 RAL 7008 GRAUGRÜNThis item is out of stock we will have more in stock soon. Please contact us if you want to pre order this item. 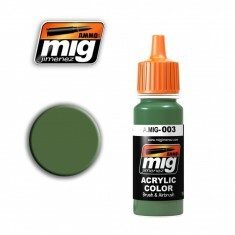 A.MIG-006 RAL 7008 GRAUGRÜN OPT.2This item is out of stock we will have more in stock soon. Please contact us if you want to pre order this item. A.MIG-015 RAL 8017 SCHOKOBRAUNThis item is out of stock we will have more in stock soon. Please contact us if you want to pre order this item. 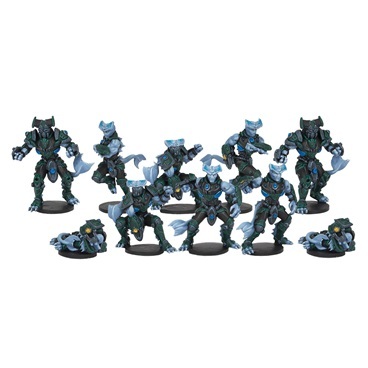 A.MIG-022 3B AU BASIC PROTECTOR ALKIDNO-URETANOVAYAThis item is out of stock we will have more in stock soon. Please contact us if you want to pre order this item. A.MIG-049 REDThis item is out of stock we will have more in stock soon. Please contact us if you want to pre order this item. 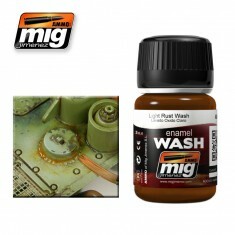 A.MIG-003 RAL 6011 RESEDAGRÜNThis item is out of stock we will have more in stock soon. Please contact us if you want to pre order this item. 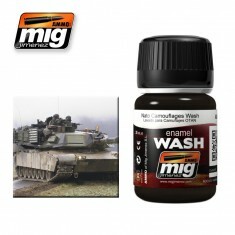 A.MIG-016 RAL 8020 GELBBRAUNThis item is out of stock we will have more in stock soon. Please contact us if you want to pre order this item. 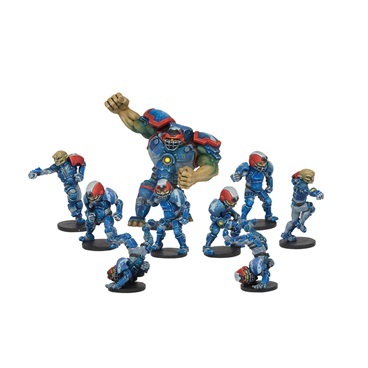 A.MIG-071 KHAKIThis item is out of stock we will have more in stock soon. Please contact us if you want to pre order this item. A.MIG-1008 DARK WASH NATO CAMOUFLAGEThis item is out of stock we will have more in stock soon. Please contact us if you want to pre order this item. A.MIG-1406 DAMP EARTHThis item is out of stock we will have more in stock soon. Please contact us if you want to pre order this item. 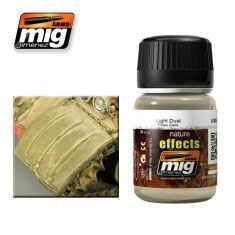 A.MIG-1401 LIGHT DUSTThis item is out of stock we will have more in stock soon. Please contact us if you want to pre order this item. A.MIG-1500 BROWN FOR WHITEThis item is out of stock we will have more in stock soon. Please contact us if you want to pre order this item. 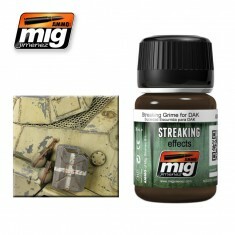 A.MIG-1201 STREAKING GRIME FOR DAKThis item is out of stock we will have more in stock soon. Please contact us if you want to pre order this item. A.MIG-1005 DARK BROWN WASH FOR GREEN VEHICLESThis item is out of stock we will have more in stock soon. Please contact us if you want to pre order this item. A.MIG-1403 EARTHThis item is out of stock we will have more in stock soon. Please contact us if you want to pre order this item. A.MIG-1205 STREAKING GRIME FOR WINTER VEHICLESThis item is out of stock we will have more in stock soon. Please contact us if you want to pre order this item. A.MIG-1405 DARK MUDThis item is out of stock we will have more in stock soon. Please contact us if you want to pre order this item. 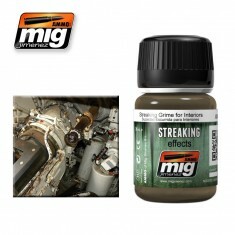 A.MIG-1200 STREAKING GRIME FOR INTERIORSThis item is out of stock we will have more in stock soon. Please contact us if you want to pre order this item. A.MIG-1400 KURSK SOILThis item is out of stock we will have more in stock soon. Please contact us if you want to pre order this item. 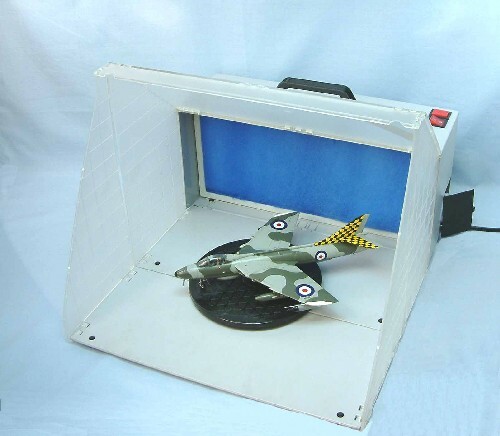 A.MIG-1003 INTERIORS WASHThis item is out of stock we will have more in stock soon. Please contact us if you want to pre order this item. A.MIG-1007 US MODERN VEHICLES WASHThis item is out of stock we will have more in stock soon. Please contact us if you want to pre order this item. A.MIG-1001 AFRICA KORPS WASHThis item is out of stock we will have more in stock soon. Please contact us if you want to pre order this item. A.MIG-1202 STREAKING GRIME FOR PANZER GREYThis item is out of stock we will have more in stock soon. Please contact us if you want to pre order this item. A.MIG-1004 LIGHT RUST WASHThis item is out of stock we will have more in stock soon. Please contact us if you want to pre order this item. 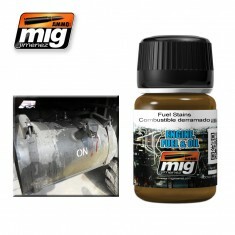 A.MIG-1409 FUEL STAINSThis item is out of stock we will have more in stock soon. Please contact us if you want to pre order this item. 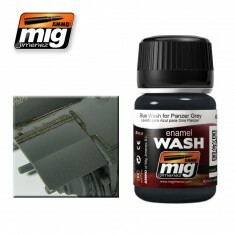 A.MIG-1006 BLUE WASH FOR PANZER GREYThis item is out of stock we will have more in stock soon. Please contact us if you want to pre order this item. 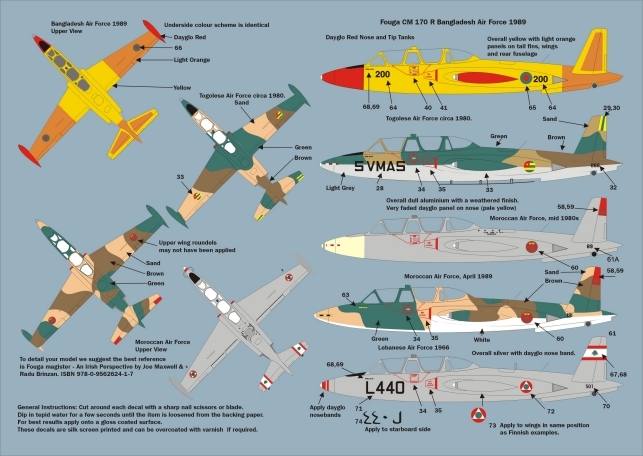 A.MIG-1404 NORTH AFRICA DUSTThis item is out of stock we will have more in stock soon. Please contact us if you want to pre order this item. 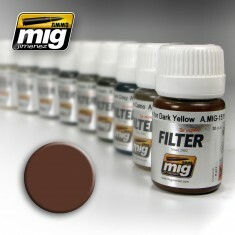 A.MIG-1000 BROWN WASH FOR GERMAN DARK YELLOWThis item is out of stock we will have more in stock soon. Please contact us if you want to pre order this item. 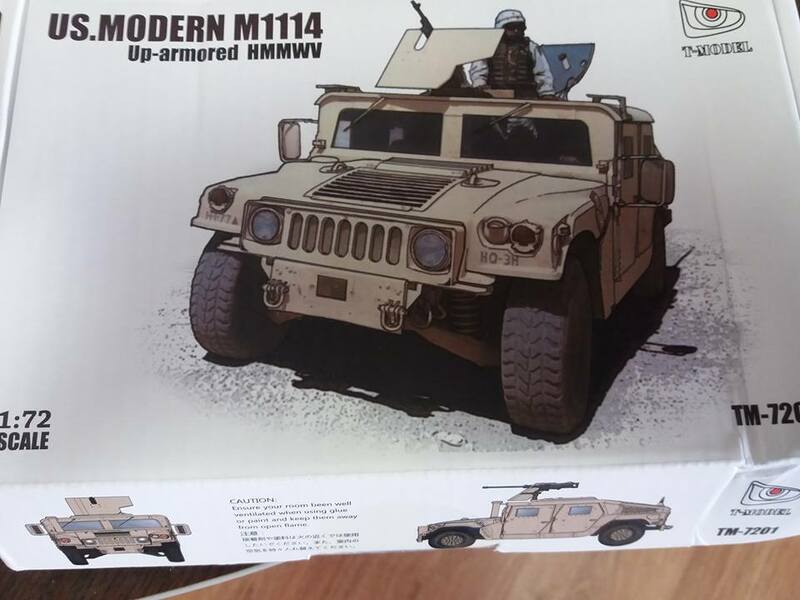 1/72 M1114 Uparmored HmmwvThis item is out of stock we will have more in stock soon. Please contact us if you want to pre order this item. 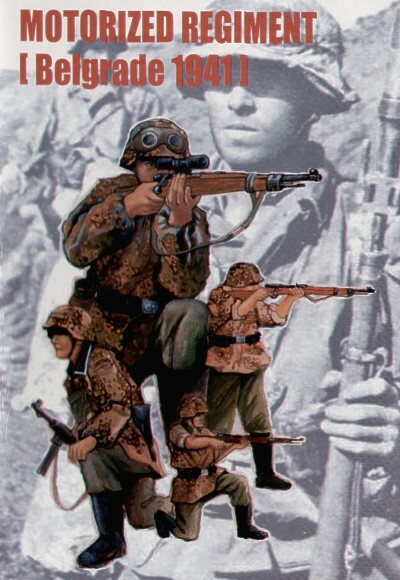 1/72 M1126 StrykerThis item is out of stock we will have more in stock soon. Please contact us if you want to pre order this item. 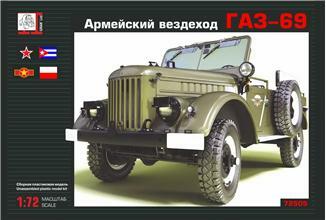 1/72 Gran ZU23/2This item is out of stock we will have more in stock soon. Please contact us if you want to pre order this item. 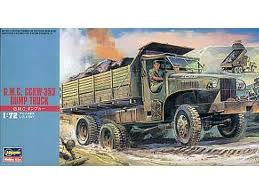 1/72 Hasegawa Dump TruckThis item is out of stock we will have more in stock soon. Please contact us if you want to pre order this item. 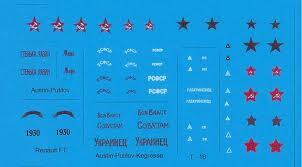 1/72 Gran Ltd GAZ-69 Soviet cross-country vehicleThis item is out of stock we will have more in stock soon. Please contact us if you want to pre order this item. 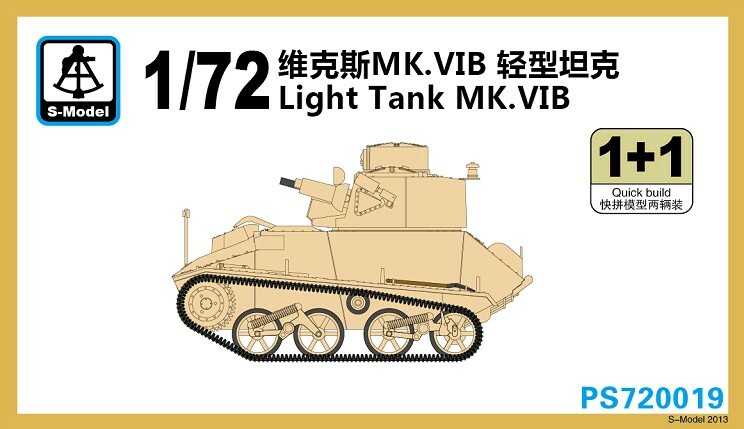 1/72 Light Tank MK.VIBThis item is out of stock we will have more in stock soon. Please contact us if you want to pre order this item. 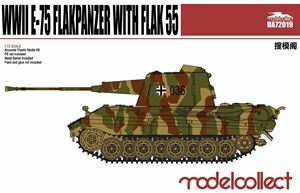 1/72 E-75 Flakpanzer with FLAK 55 UA72019This item is out of stock we will have more in stock soon. Please contact us if you want to pre order this item. 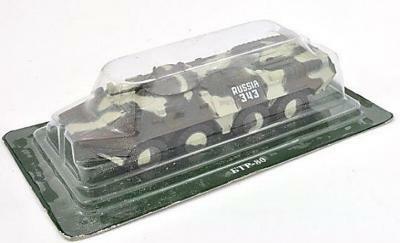 1/72 GAZ-67BThis item is out of stock we will have more in stock soon. Please contact us if you want to pre order this item. 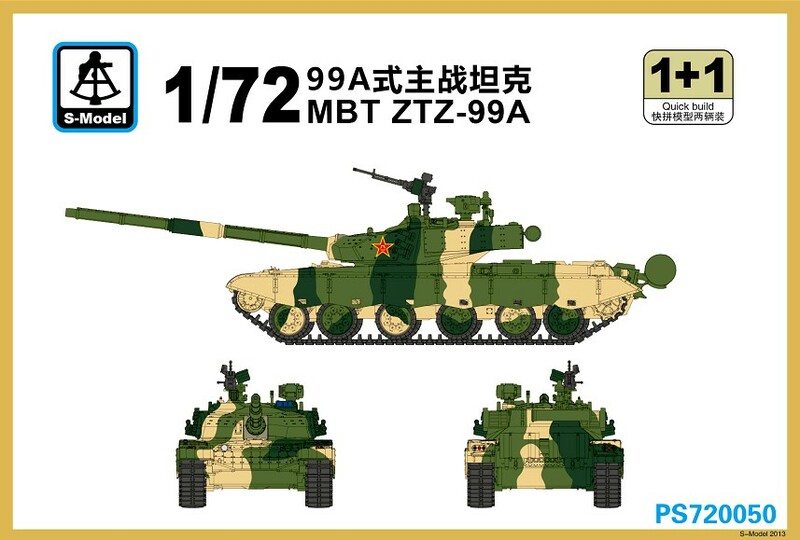 1/72 MBT ZTZ-99AThis item is out of stock we will have more in stock soon. Please contact us if you want to pre order this item. 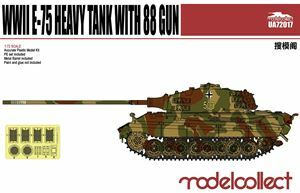 1/72 E-75 Heavy Tank with 88 gun UA72017This item is out of stock we will have more in stock soon. Please contact us if you want to pre order this item. 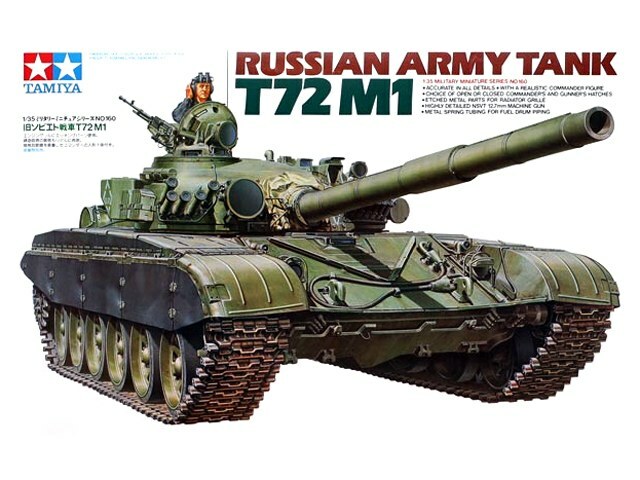 1/72 Modelcollect T-64 main battle tank model 1972 UA72012This item is out of stock we will have more in stock soon. Please contact us if you want to pre order this item. 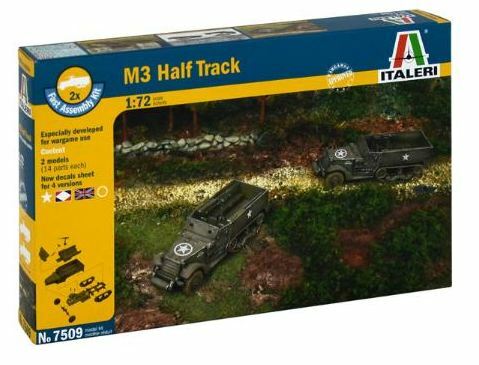 1/72 Italeri M3A1 Half Track (2 per Box)This item is out of stock we will have more in stock soon. Please contact us if you want to pre order this item. 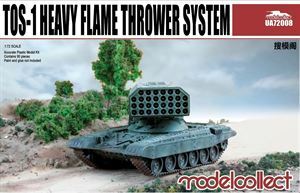 1/72 Modelcollect Soviet TOS-1 Heavy Flamethrower System UA72008This item is out of stock we will have more in stock soon. Please contact us if you want to pre order this item. 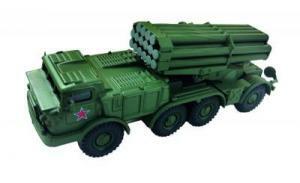 1/72 Ballistic Missile Launcher TopolThis item is out of stock we will have more in stock soon. Please contact us if you want to pre order this item. 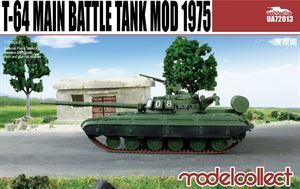 1/72 Modelcollect T-64 main battle tank model 1975 UA72013This item is out of stock we will have more in stock soon. Please contact us if you want to pre order this item. 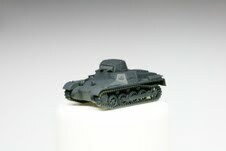 1/72 Armourfast M36 JACKSON (2 per box)This item is out of stock we will have more in stock soon. Please contact us if you want to pre order this item. 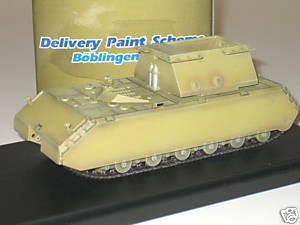 1/72 Befehslwagen 1BThis item is out of stock we will have more in stock soon. Please contact us if you want to pre order this item. 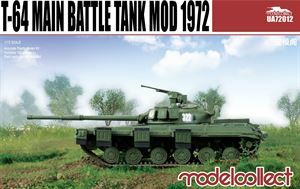 1/72 E-75 Heavy Tank with 128 gun UA72029This item is out of stock we will have more in stock soon. Please contact us if you want to pre order this item. 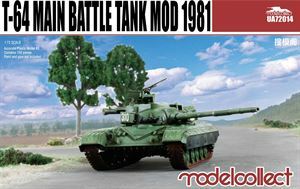 1/72 Modelcollect T-64 main battle tank model 1981 UA72014This item is out of stock we will have more in stock soon. Please contact us if you want to pre order this item. 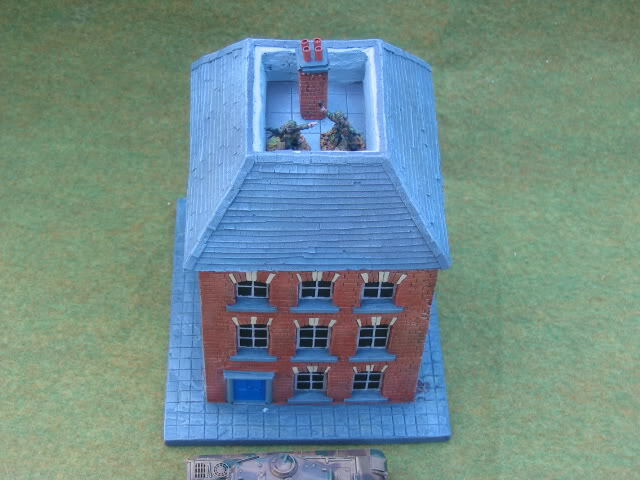 1/72 German light tank Pz.Kpfw. 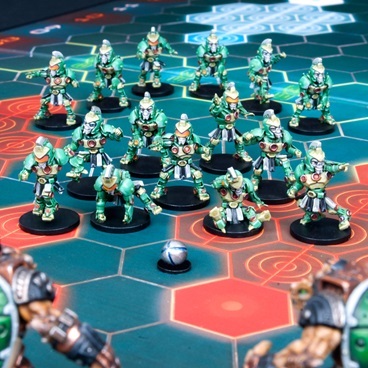 IAThis item is out of stock we will have more in stock soon. Please contact us if you want to pre order this item. 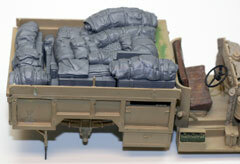 1/35 USA Truck Load Set #3This item is out of stock we will have more in stock soon. Please contact us if you want to pre order this item. 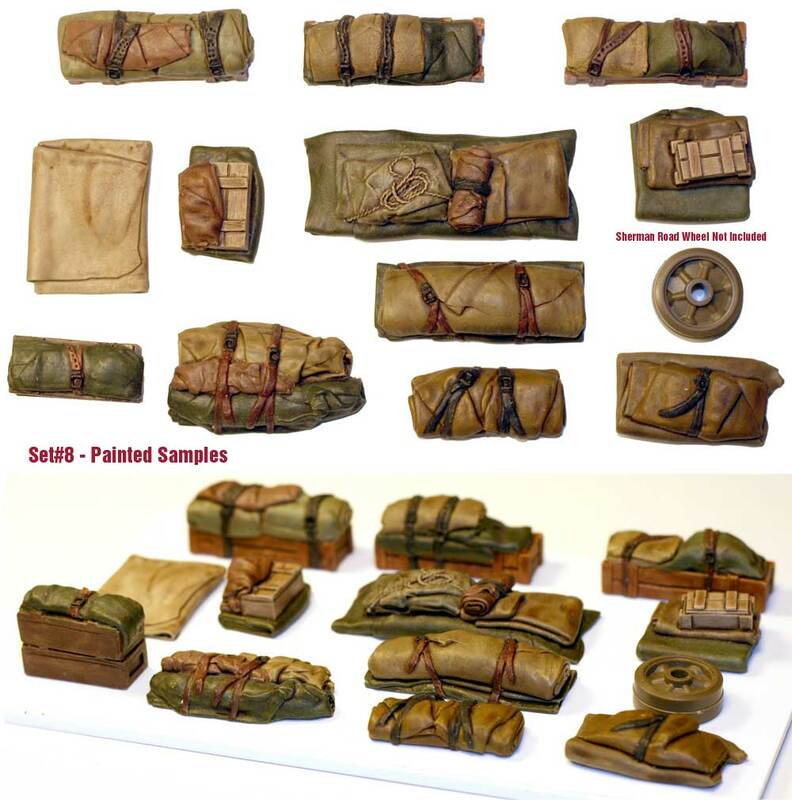 1/35 Tents & Tarps Set #9This item is out of stock we will have more in stock soon. Please contact us if you want to pre order this item. 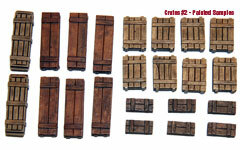 1/35 Wooden Crates Set #2This item is out of stock we will have more in stock soon. Please contact us if you want to pre order this item. 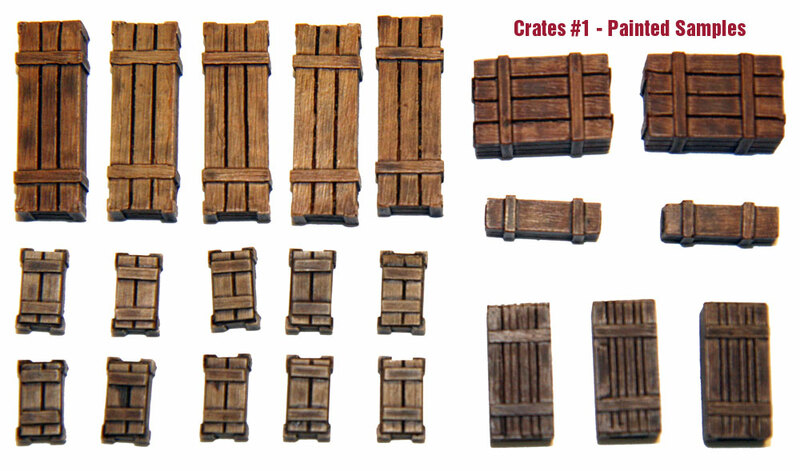 1/35 Wooden Crates Set #1This item is out of stock we will have more in stock soon. Please contact us if you want to pre order this item. 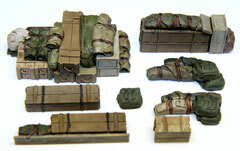 1/35 Wooden Crates Set #3This item is out of stock we will have more in stock soon. Please contact us if you want to pre order this item. 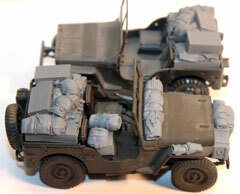 1/35 Willy's Jeep Set #2This item is out of stock we will have more in stock soon. Please contact us if you want to pre order this item. 1/48 I-16 type 10This item is out of stock we will have more in stock soon. Please contact us if you want to pre order this item. 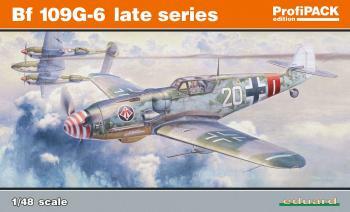 Eduard Profipack 1:48 - Bf 109G-6 Late SeriesThis item is out of stock we will have more in stock soon. Please contact us if you want to pre order this item. 1/48 Miles M.14 Hawk III/ Magister Mk. 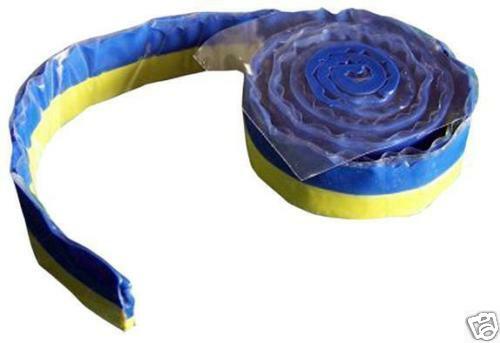 I EgyptianThis item is out of stock we will have more in stock soon. Please contact us if you want to pre order this item. 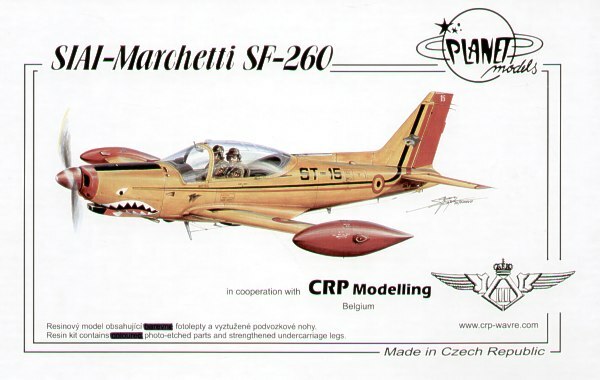 1/48 Siai-Marchetti SF-260MThis item is out of stock we will have more in stock soon. Please contact us if you want to pre order this item. 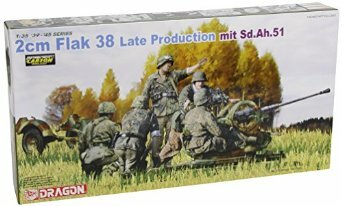 1/48 Eduard SA-365 Dauphin painting masksThis item is out of stock we will have more in stock soon. Please contact us if you want to pre order this item. 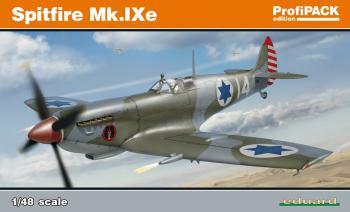 1:48 - Spitfire Mk.IXeThis item is out of stock we will have more in stock soon. Please contact us if you want to pre order this item. 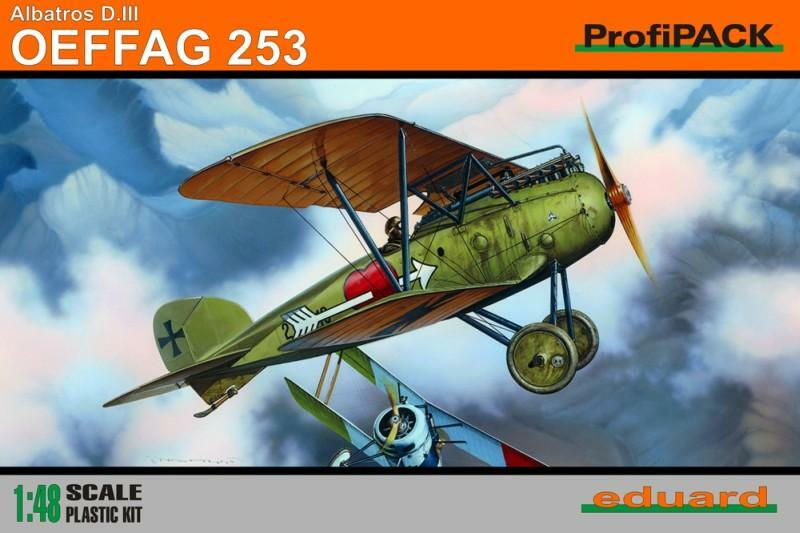 1/48 Albatros D. III OEFFAG 253This item is out of stock we will have more in stock soon. Please contact us if you want to pre order this item. 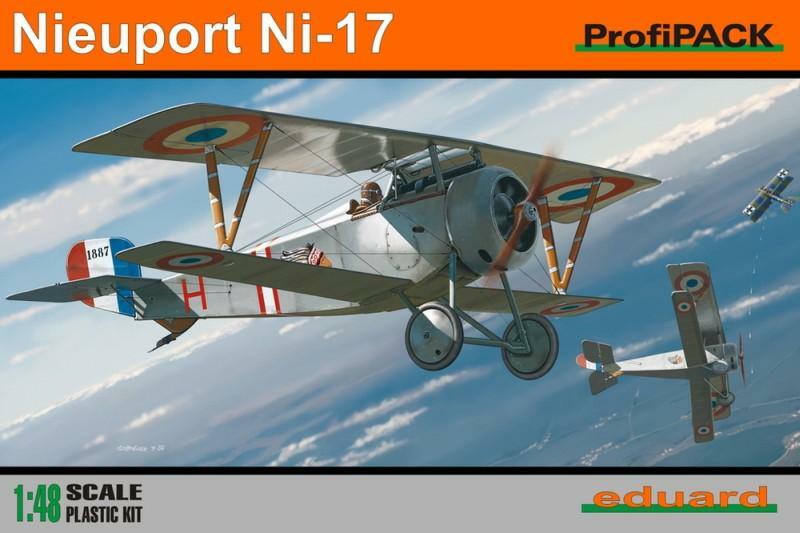 Eduard Weekend 1:48 - Nieuport Ni-11This item is out of stock we will have more in stock soon. Please contact us if you want to pre order this item. 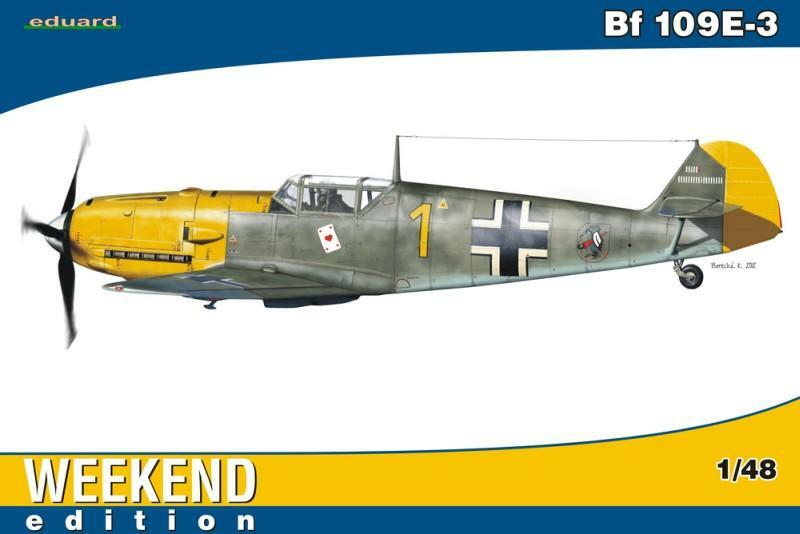 Eduard Weekend Kit 1:48 - Bf 109F-4This item is out of stock we will have more in stock soon. Please contact us if you want to pre order this item. 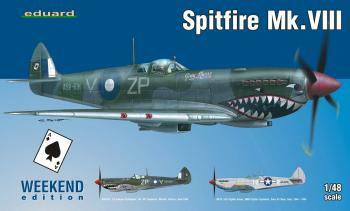 Eduard Weekend 1:48 - Spitfire Mk.VIIIThis item is out of stock we will have more in stock soon. Please contact us if you want to pre order this item. 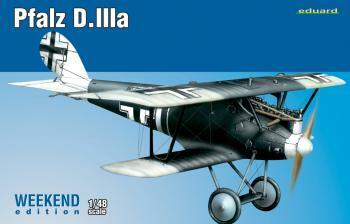 Eduard Kit 1:48 Weekend - Pfalz D.IIIaThis item is out of stock we will have more in stock soon. Please contact us if you want to pre order this item. 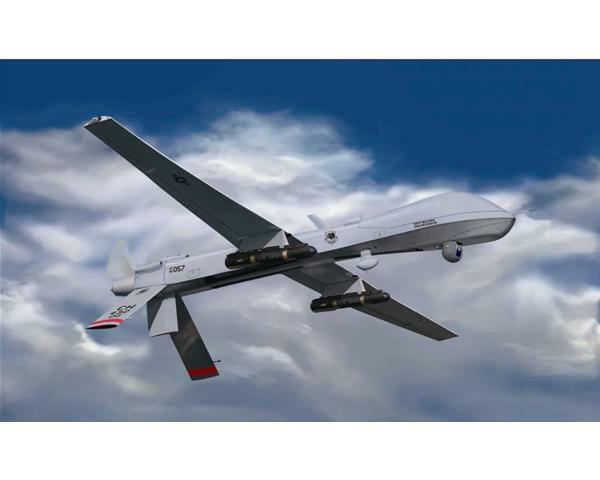 1/48 RQ/MQ-1 PredatorThis item is out of stock we will have more in stock soon. Please contact us if you want to pre order this item. 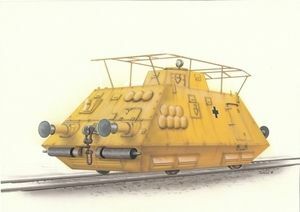 Airfix 1/48 Operation Herrick British Forces Supacat JackalThis item is out of stock we will have more in stock soon. Please contact us if you want to pre order this item. 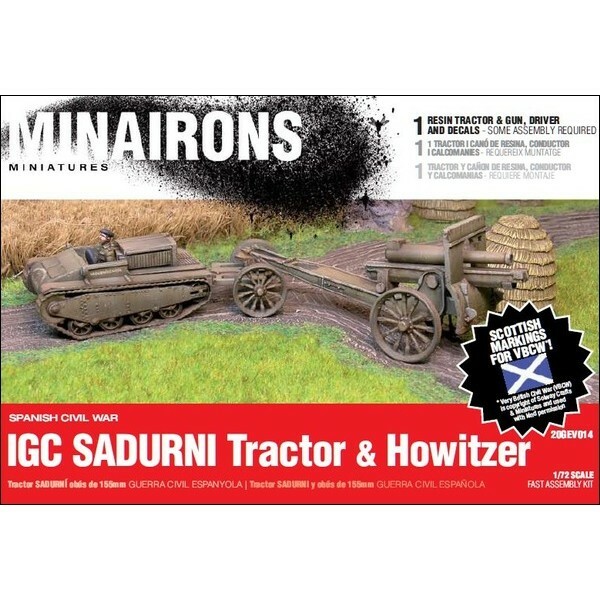 1/72 Sadurní tractor & howitzerThis item is out of stock we will have more in stock soon. Please contact us if you want to pre order this item. 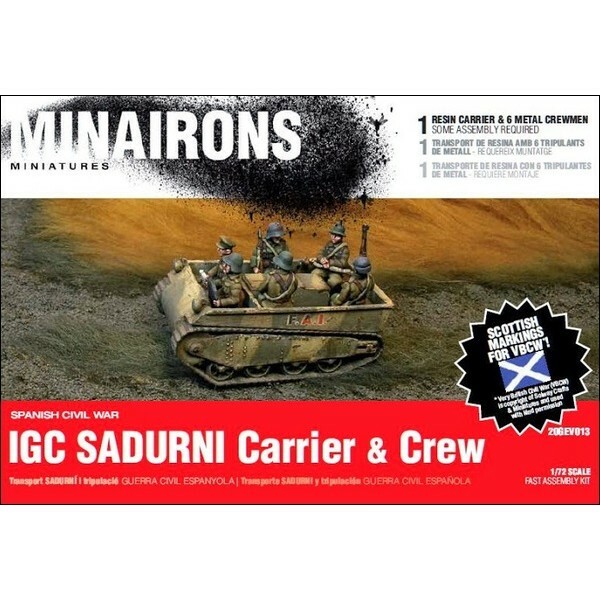 1/72 Sadurní carrier & crew - Boxed kitThis item is out of stock we will have more in stock soon. Please contact us if you want to pre order this item. 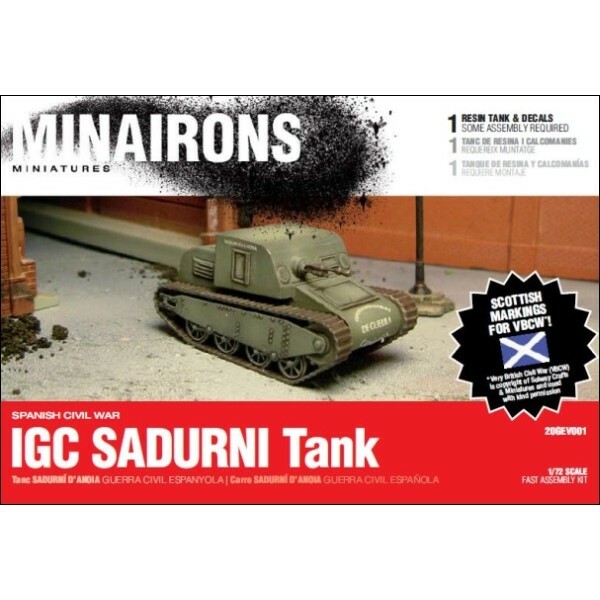 1/72 ICG Sadurni TankThis item is out of stock we will have more in stock soon. Please contact us if you want to pre order this item. 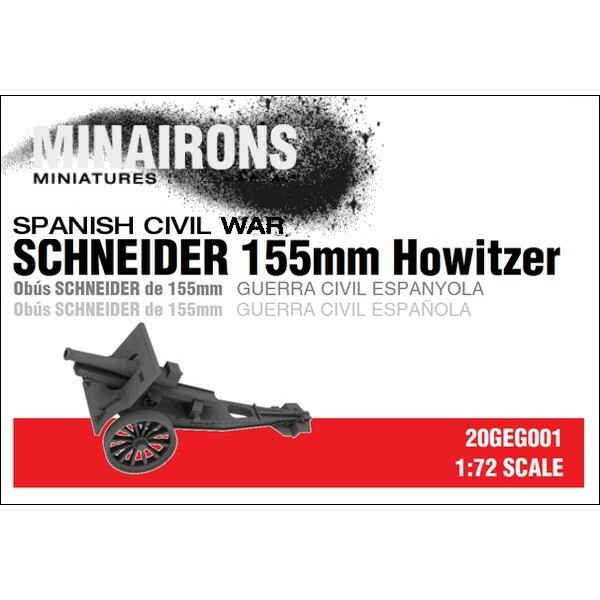 1/72 Schneider 155mm howitzerThis item is out of stock we will have more in stock soon. Please contact us if you want to pre order this item. 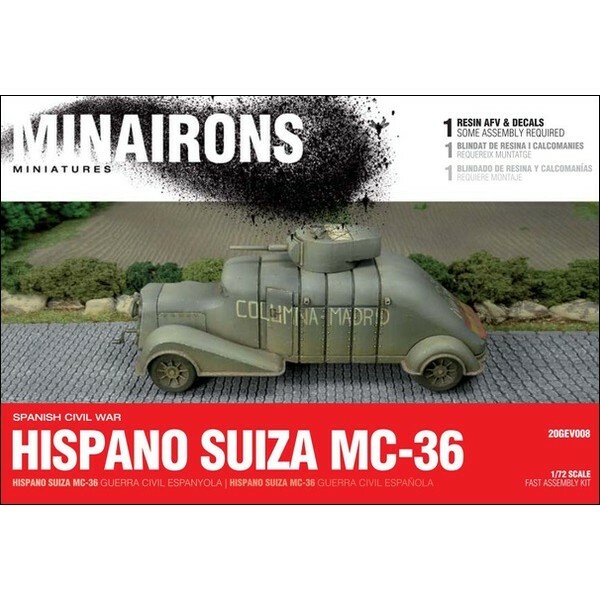 1/72 Hispano Suiza MC-36 - Boxed kitThis item is out of stock we will have more in stock soon. Please contact us if you want to pre order this item. 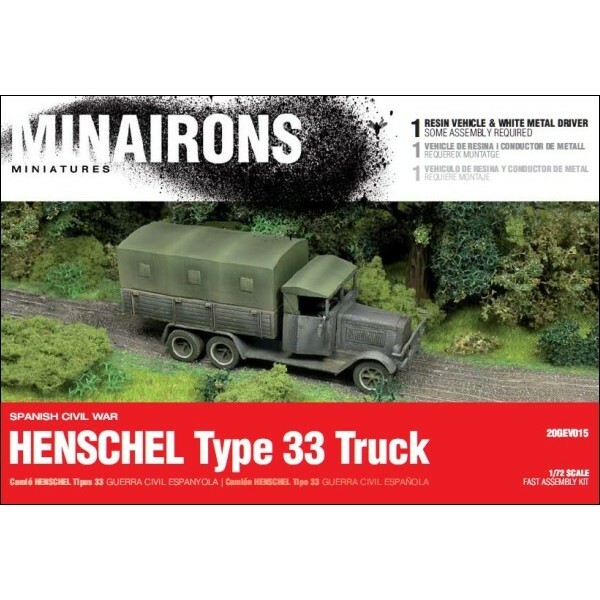 1/72 Henschel Type 33 truckThis item is out of stock we will have more in stock soon. Please contact us if you want to pre order this item. 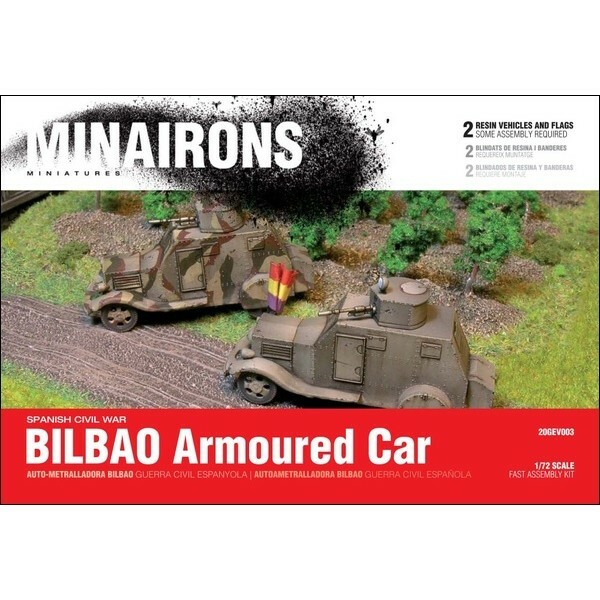 1/72 Bilbao AFV - Boxed setThis item is out of stock we will have more in stock soon. Please contact us if you want to pre order this item. 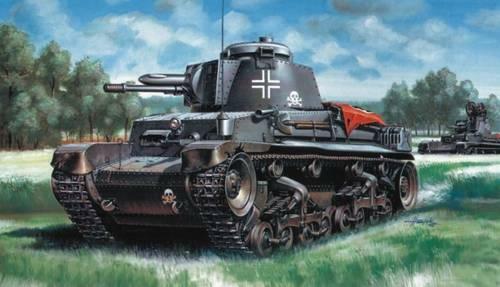 38CM R61 AUF STURMTIGERThis item is out of stock we will have more in stock soon. Please contact us if you want to pre order this item. 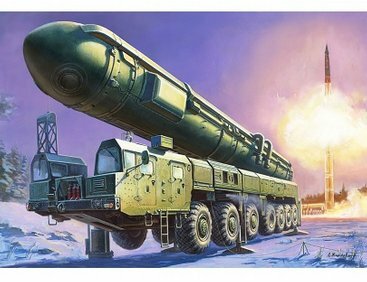 1/72 BM-27 Uragan Rocket LauncherThis item is out of stock we will have more in stock soon. Please contact us if you want to pre order this item. 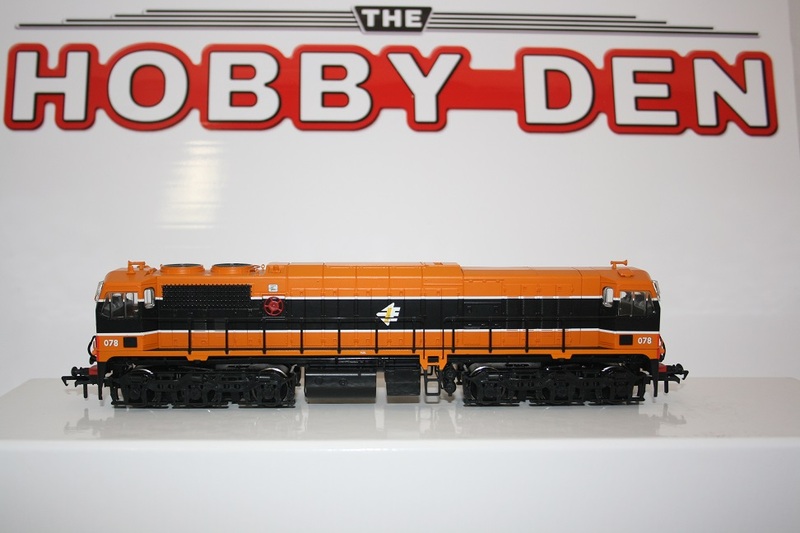 1/72 Bussing-NAG 4500This item is out of stock we will have more in stock soon. Please contact us if you want to pre order this item. 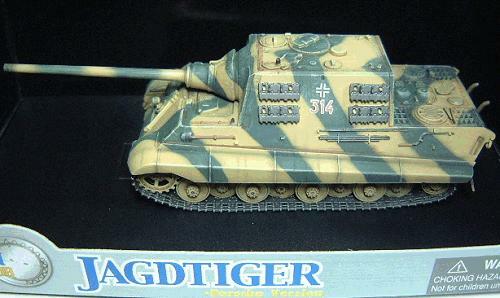 Jagdtiger (Porsche), 3 sPzJgAbt 653, Germany'45This item is out of stock we will have more in stock soon. Please contact us if you want to pre order this item. 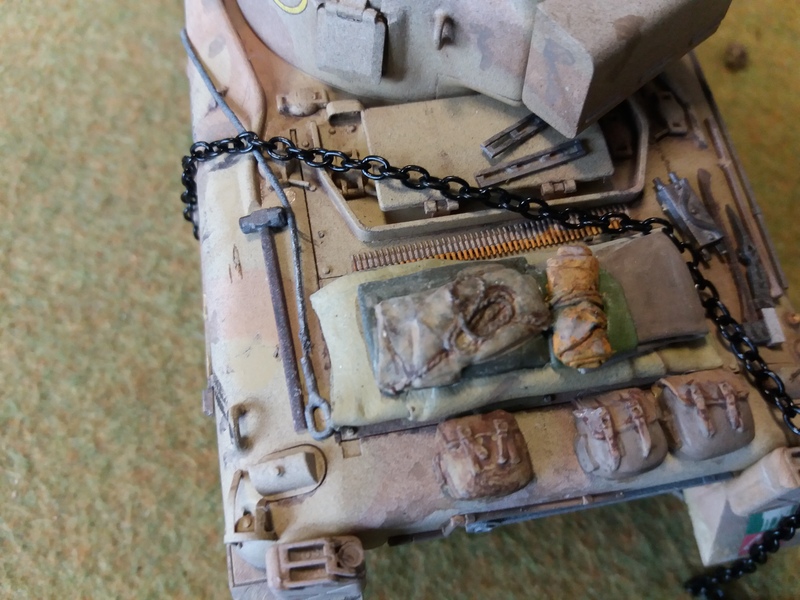 1/72 Dragon Challenger 2This item is out of stock we will have more in stock soon. Please contact us if you want to pre order this item. 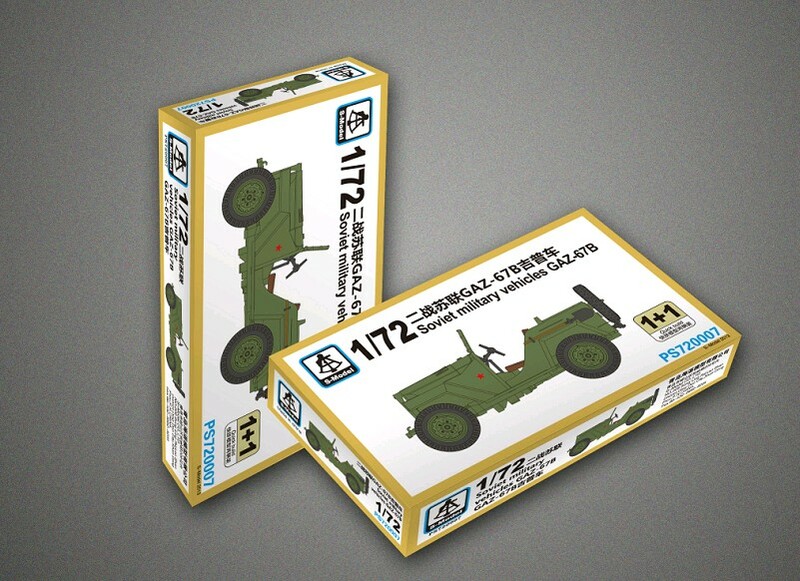 1/72 2S4 Tyulpan 240mmThis item is out of stock we will have more in stock soon. Please contact us if you want to pre order this item. 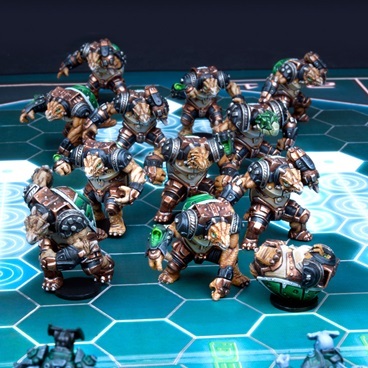 Dragon Maus with mock up turretThis item is out of stock we will have more in stock soon. Please contact us if you want to pre order this item. 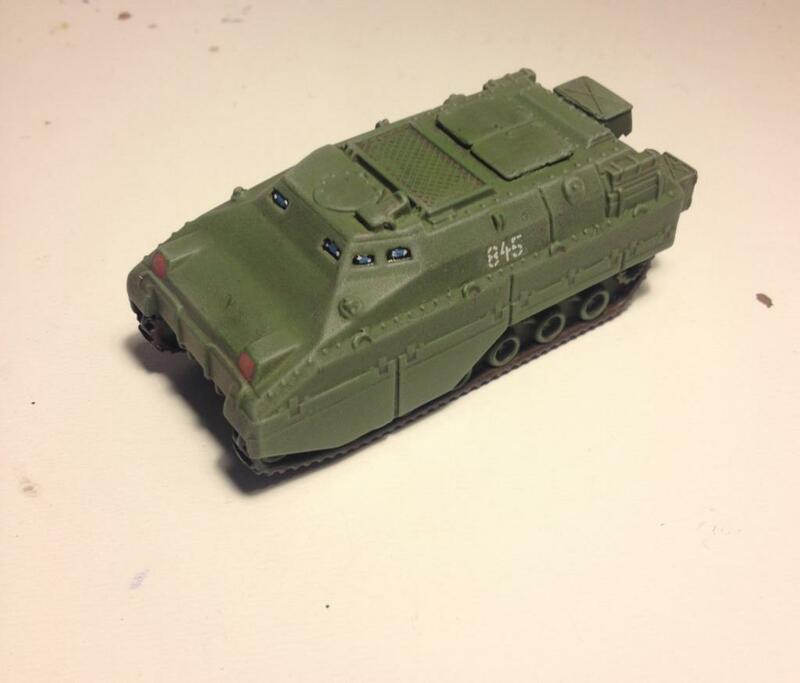 1/72 Fabbri BTR 80This item is out of stock we will have more in stock soon. Please contact us if you want to pre order this item. 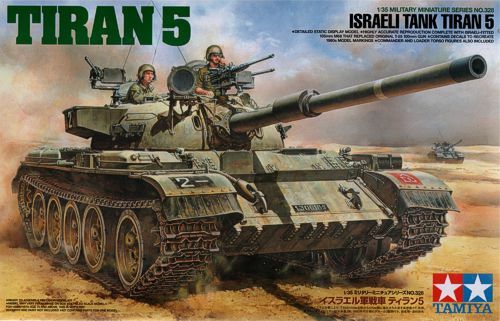 1/72 Fabbri M60A3This item is out of stock we will have more in stock soon. Please contact us if you want to pre order this item. 1/72 Flakpanzer IV (2cm Vierling)This item is out of stock we will have more in stock soon. Please contact us if you want to pre order this item. 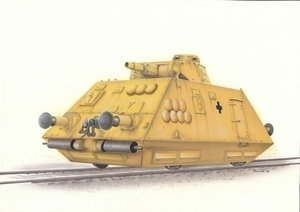 1:72 Attack Hobby German Armored Train Troop Car RE 72315This item is out of stock we will have more in stock soon. Please contact us if you want to pre order this item. Artitec Facade VThis item is out of stock we will have more in stock soon. Please contact us if you want to pre order this item. 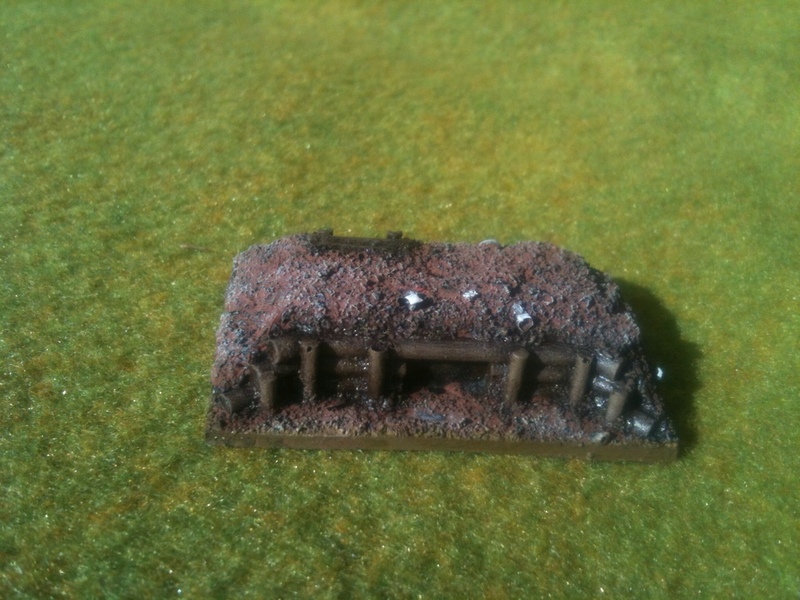 1:72 Attack WWII German Schw. 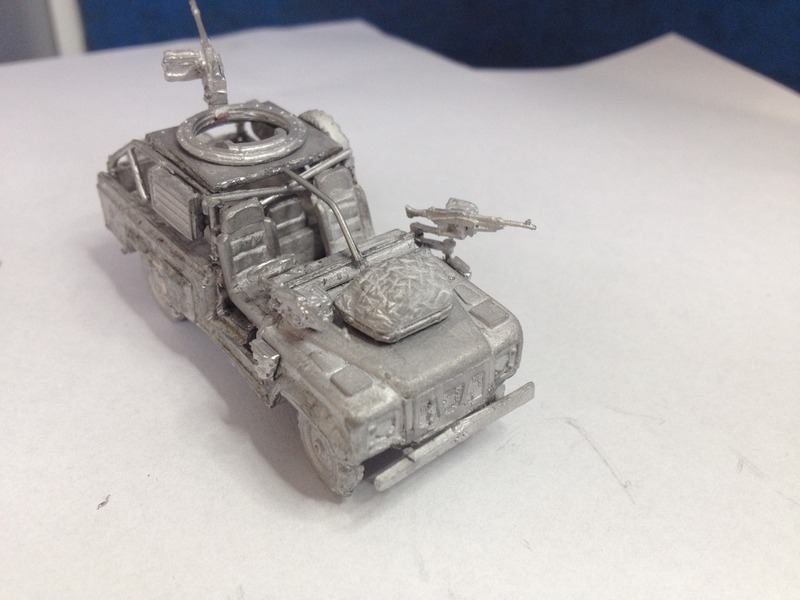 Schienenpanzer Artilleriewagen ATThis item is out of stock we will have more in stock soon. Please contact us if you want to pre order this item. 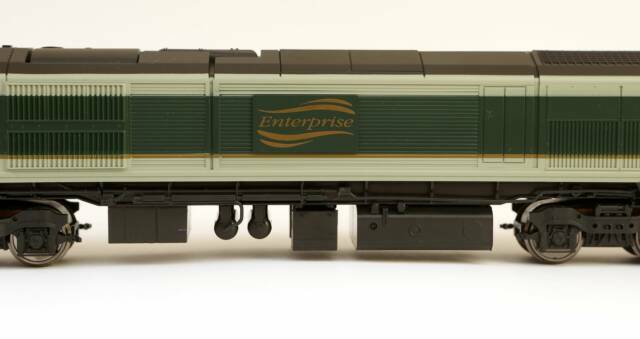 1:72 - German WR360 C12 LocomotiveThis item is out of stock we will have more in stock soon. Please contact us if you want to pre order this item. 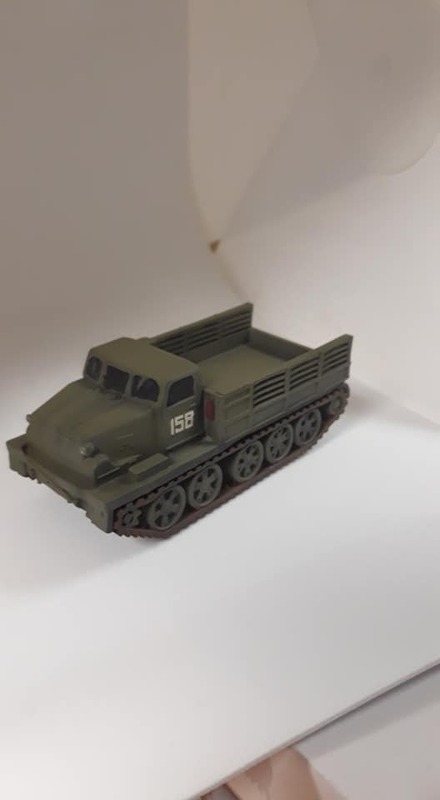 1/72 Soviet DraisineThis item is out of stock we will have more in stock soon. Please contact us if you want to pre order this item. 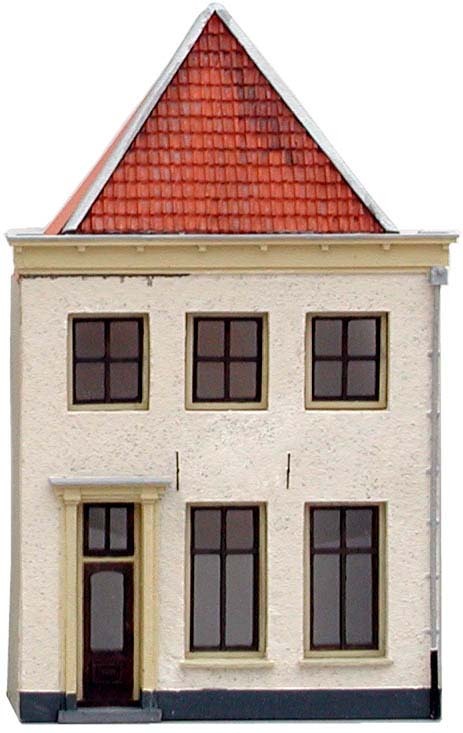 Artitec Facade CThis item is out of stock we will have more in stock soon. Please contact us if you want to pre order this item. 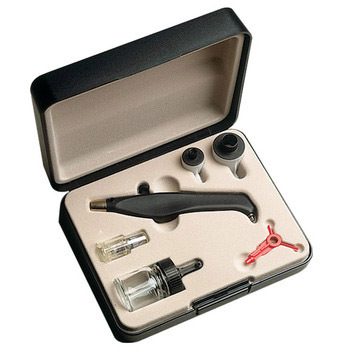 Artitec Notary's office facadeThis item is out of stock we will have more in stock soon. Please contact us if you want to pre order this item. 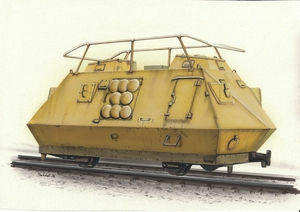 1:72 Attack Hobby German Armored Train Radio Car RE 72311This item is out of stock we will have more in stock soon. Please contact us if you want to pre order this item. 1:72 Attack Hobby German Armored Train Radio Car RE 72312This item is out of stock we will have more in stock soon. Please contact us if you want to pre order this item. 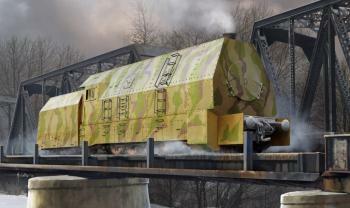 1:72 - German BR57 Armoured LocomotiveThis item is out of stock we will have more in stock soon. Please contact us if you want to pre order this item. 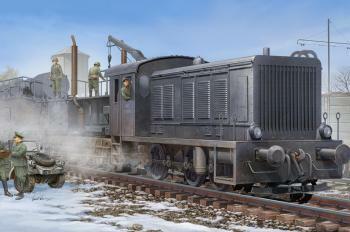 1:72 Attack Hobby WWII German Train Kommandowagen RE 72314This item is out of stock we will have more in stock soon. Please contact us if you want to pre order this item. 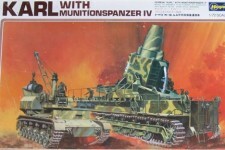 Hasegawa – MB033 – 60cm Morser Karl with Munitionspanzer IVThis item is out of stock we will have more in stock soon. Please contact us if you want to pre order this item. 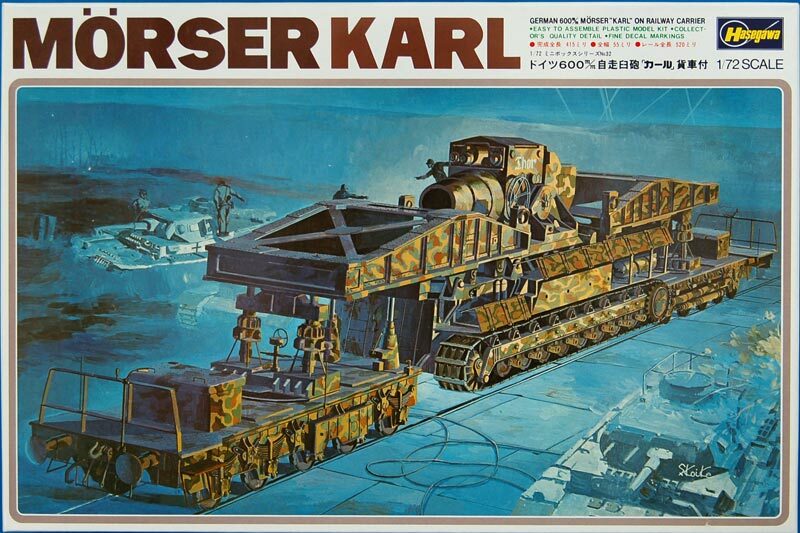 Hasegawa 1/72 (20mm) 60cm Morser Karl w Railway CarrierThis item is out of stock we will have more in stock soon. Please contact us if you want to pre order this item. 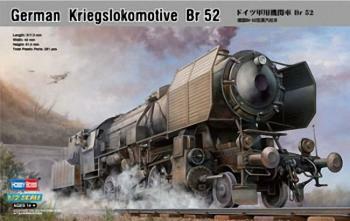 1/72 Deutsche Kriegslokomotive BR 52This item is out of stock we will have more in stock soon. Please contact us if you want to pre order this item. 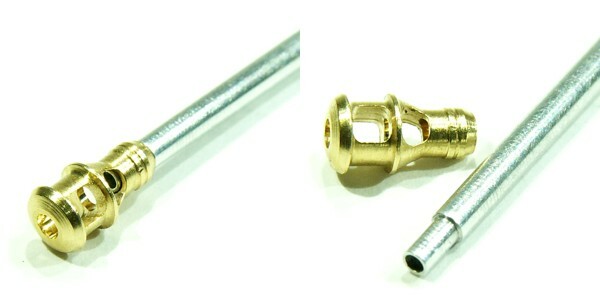 Artitec Goods depotThis item is out of stock we will have more in stock soon. Please contact us if you want to pre order this item. 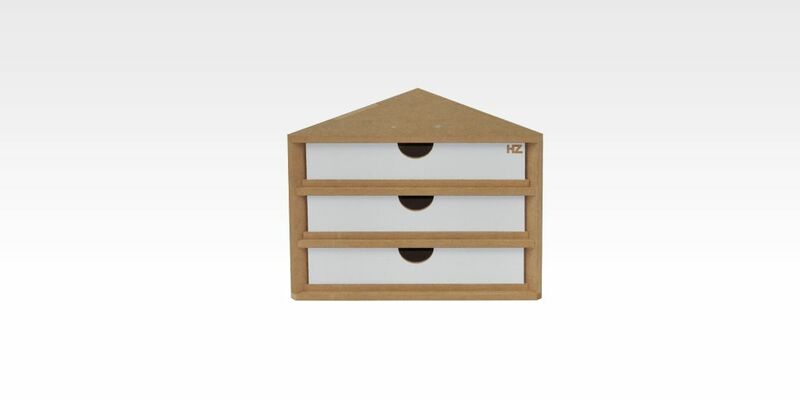 Artitec Facade DThis item is out of stock we will have more in stock soon. Please contact us if you want to pre order this item. 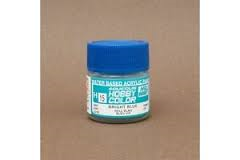 1/72 FCCS01 SIFI08 FED Security with sealed helmetsThis item is out of stock we will have more in stock soon. Please contact us if you want to pre order this item. 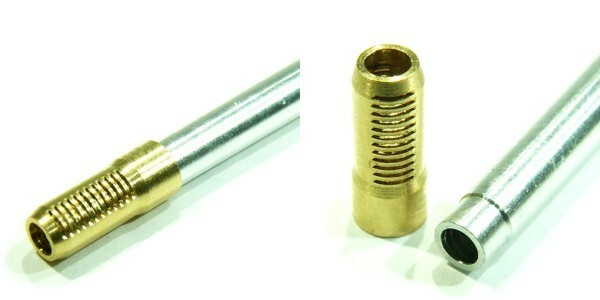 1/72 GAATOR LVTThis item is out of stock we will have more in stock soon. Please contact us if you want to pre order this item. 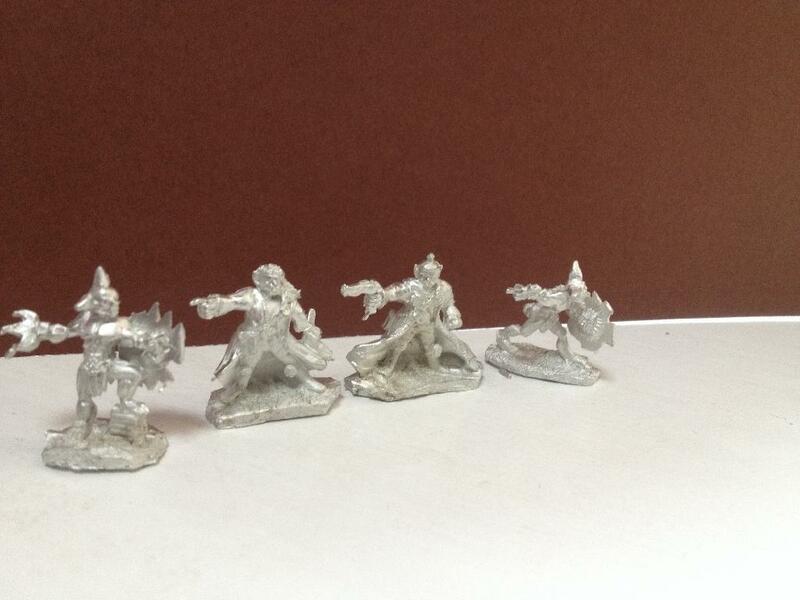 1/72 SIFI07 Acturian Pirate Captains with Ripper GuardsThis item is out of stock we will have more in stock soon. Please contact us if you want to pre order this item. 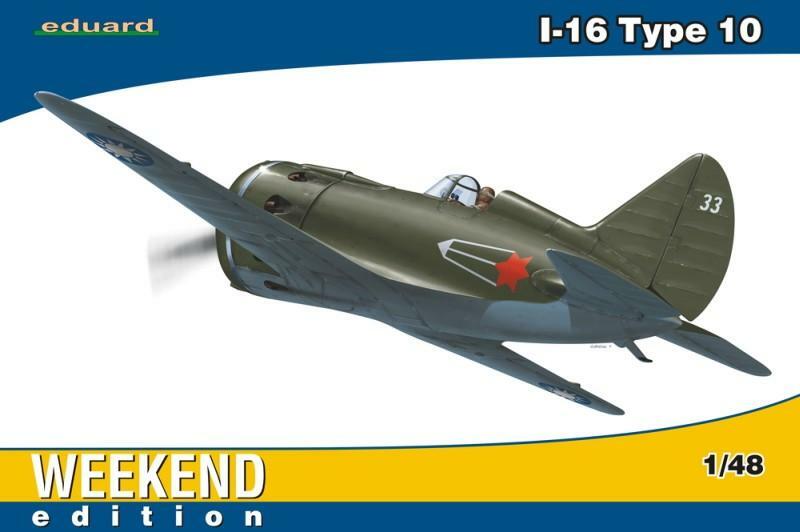 A.MIG-1606-PLW-Medium-TanThis item is out of stock we will have more in stock soon. Please contact us if you want to pre order this item. 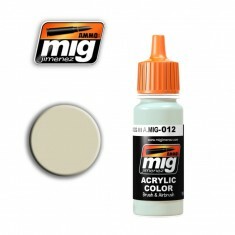 A.MIG-1610-PLW-Tan-GreyThis item is out of stock we will have more in stock soon. Please contact us if you want to pre order this item. A.MIG-1604-PLW-Pacific-DustThis item is out of stock we will have more in stock soon. Please contact us if you want to pre order this item. 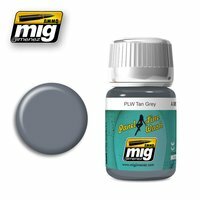 A.MIG-1609-PLW-Storm-GreyThis item is out of stock we will have more in stock soon. Please contact us if you want to pre order this item. A.MIG-1616-PLW-Orange-BrownThis item is out of stock we will have more in stock soon. Please contact us if you want to pre order this item. A.MIG-1605-PLW-Dark-Red-BrownThis item is out of stock we will have more in stock soon. Please contact us if you want to pre order this item. 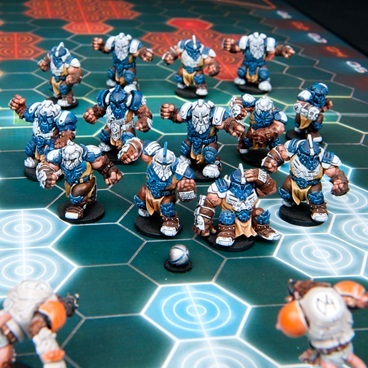 Dark Sea Blue PLWThis item is out of stock we will have more in stock soon. Please contact us if you want to pre order this item. 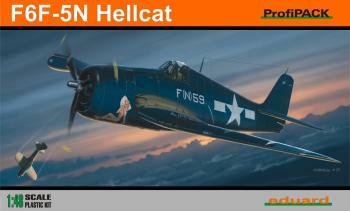 Eduard Profipack 1:48 - F6F-5N NightfighterThis item is out of stock we will have more in stock soon. Please contact us if you want to pre order this item. 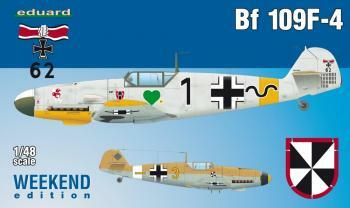 1/48 Bf 109E-3This item is out of stock we will have more in stock soon. Please contact us if you want to pre order this item. 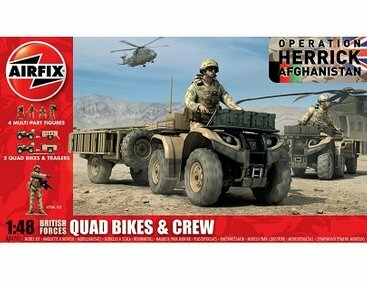 Airfix 1/48 British Forces Quad Bikes & Crew Model KitThis item is out of stock we will have more in stock soon. Please contact us if you want to pre order this item. 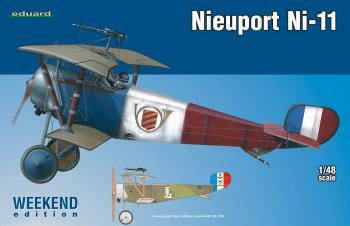 1/48 Nieuport Ni-17This item is out of stock we will have more in stock soon. Please contact us if you want to pre order this item. 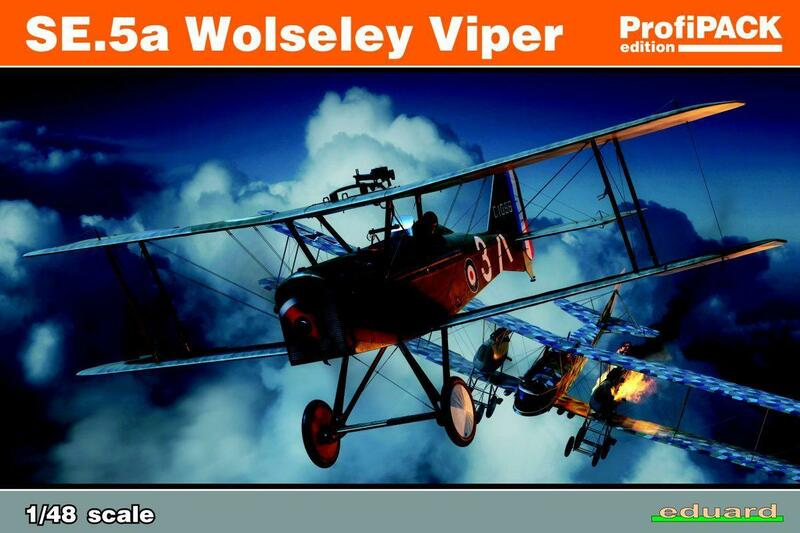 1/48 SE.5a Wolseley ViperThis item is out of stock we will have more in stock soon. Please contact us if you want to pre order this item. 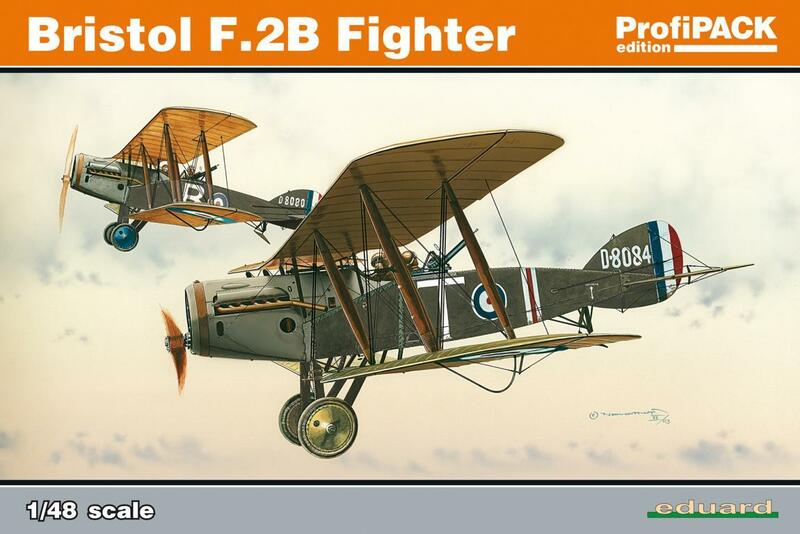 1/48 Bristol FighterThis item is out of stock we will have more in stock soon. Please contact us if you want to pre order this item. 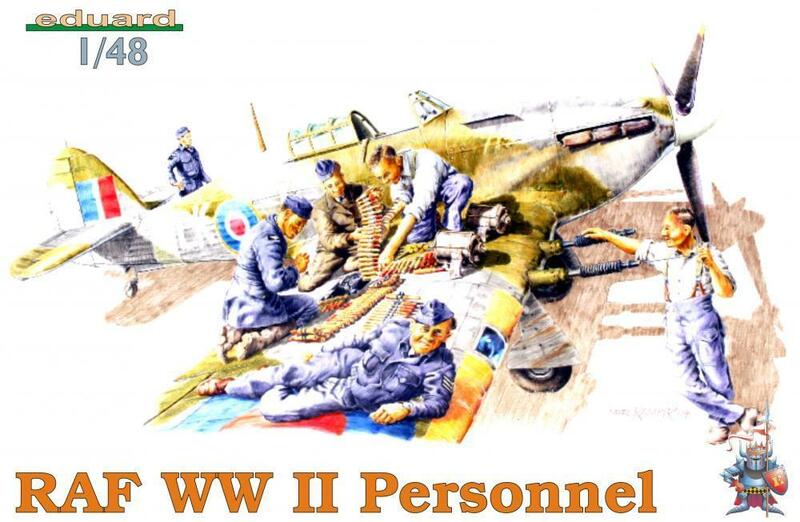 1/48 RAF WWII PERSONNELThis item is out of stock we will have more in stock soon. Please contact us if you want to pre order this item. 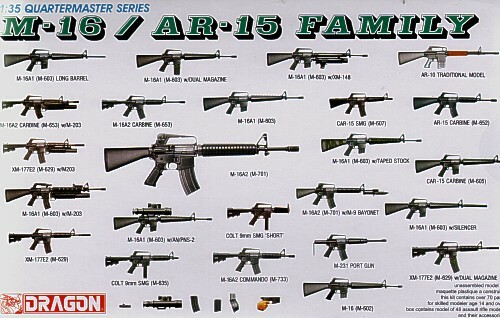 1/35 Weapon Set M-16This item is out of stock we will have more in stock soon. Please contact us if you want to pre order this item. 1/35 Panzer Pz. 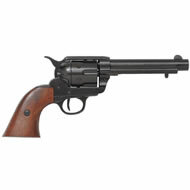 Kpfw 35(t)This item is out of stock we will have more in stock soon. Please contact us if you want to pre order this item. 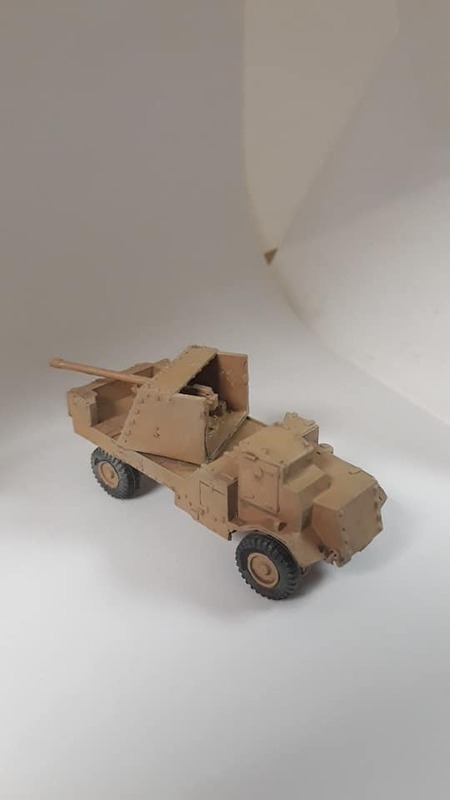 1/35 DRAGON 2CM FLAK 38This item is out of stock we will have more in stock soon. Please contact us if you want to pre order this item. 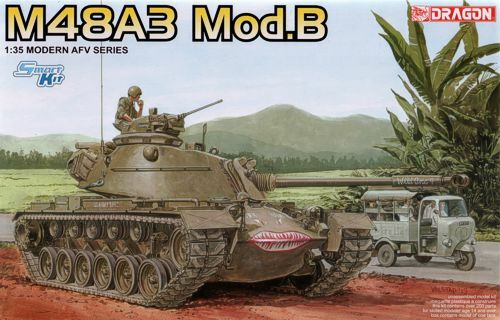 1/35 U.S. M48A3 Model BThis item is out of stock we will have more in stock soon. Please contact us if you want to pre order this item. 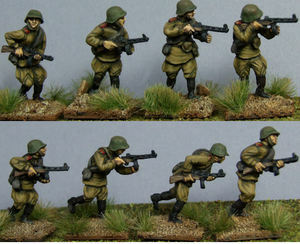 Motorized Regiment (Belgrade 1944)This item is out of stock we will have more in stock soon. Please contact us if you want to pre order this item. 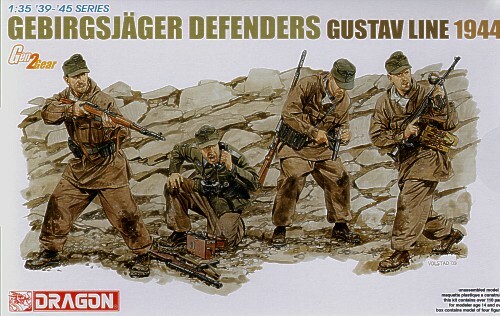 1/35 Gebirgsjager Defense Gustav Line 1944This item is out of stock we will have more in stock soon. Please contact us if you want to pre order this item. 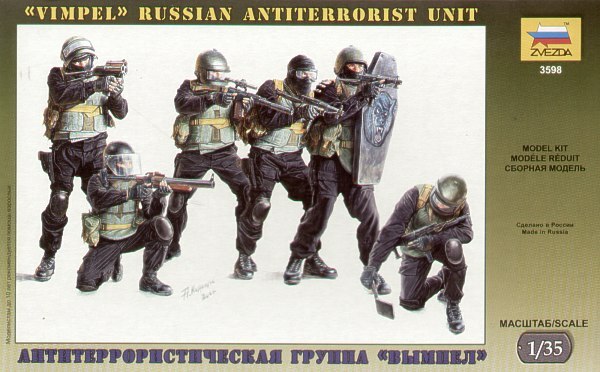 Russian Anti-Terrorist Unit 'ALFA'This item is out of stock we will have more in stock soon. Please contact us if you want to pre order this item. 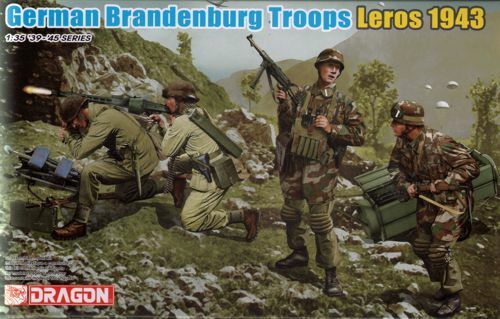 1/35 German Infantry (WWII) Brandenburg Troops, Leros 1943This item is out of stock we will have more in stock soon. Please contact us if you want to pre order this item. 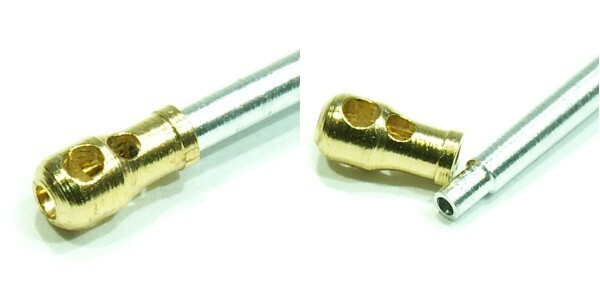 1/35 tow chain 1 meterThis item is out of stock we will have more in stock soon. Please contact us if you want to pre order this item. 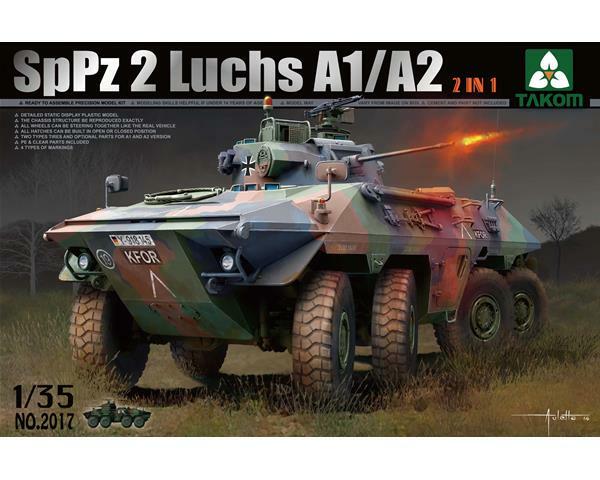 1/35Bundeswehr SpPz 2 Luchs A1/A2This item is out of stock we will have more in stock soon. Please contact us if you want to pre order this item. 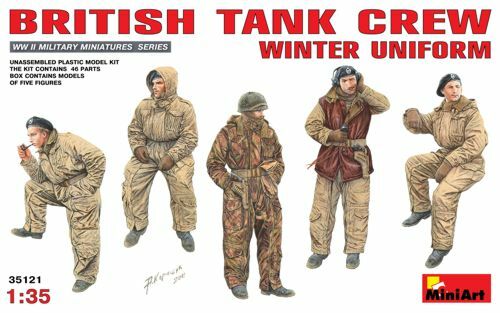 British Tank Crew (Winter Uniform)This item is out of stock we will have more in stock soon. Please contact us if you want to pre order this item. 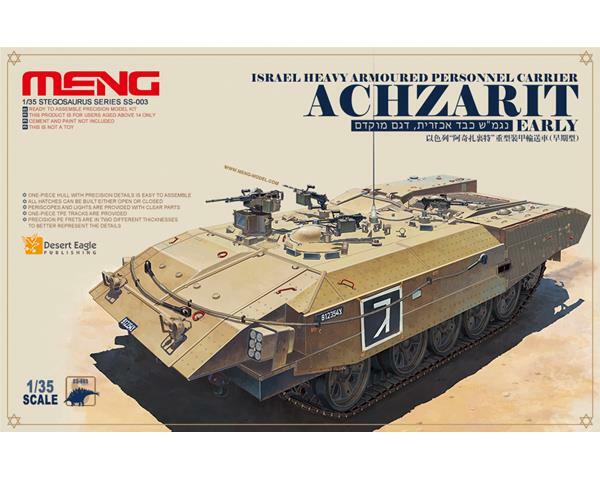 1/35 Israel heavy armoured personnel carrier Achzarit earlyThis item is out of stock we will have more in stock soon. Please contact us if you want to pre order this item. 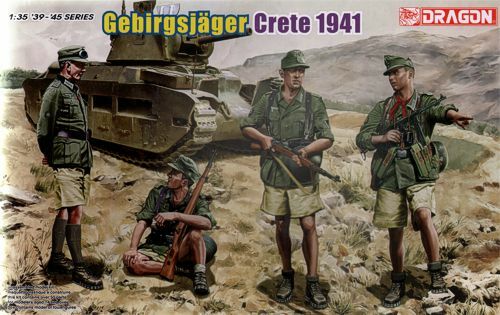 1/35 Gerbirgsjagers Crete 1941This item is out of stock we will have more in stock soon. Please contact us if you want to pre order this item. 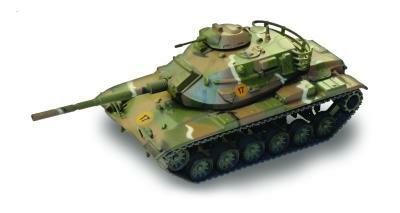 1/35 T72M1This item is out of stock we will have more in stock soon. Please contact us if you want to pre order this item. Re-issue. 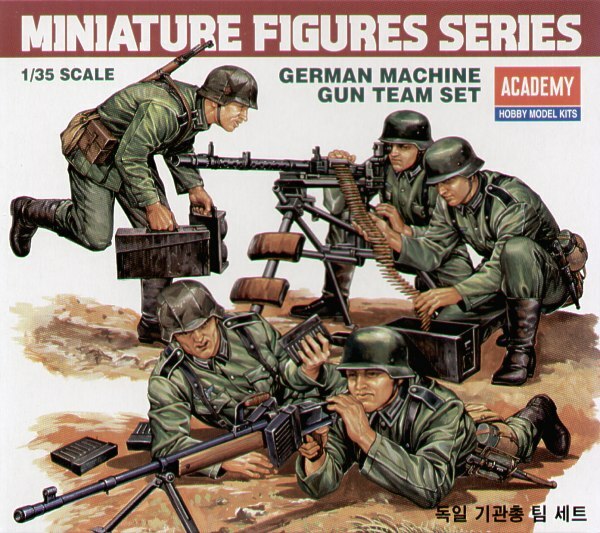 German (WWII) machine gun teamThis item is out of stock we will have more in stock soon. Please contact us if you want to pre order this item. 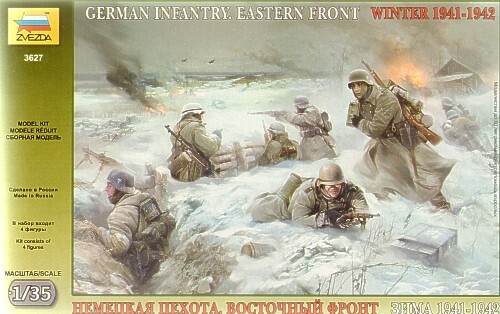 German (WWII) Infantry Winter 1941/42This item is out of stock we will have more in stock soon. Please contact us if you want to pre order this item. 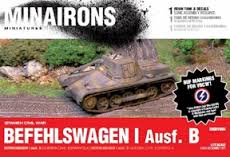 12th Panzer Division Normandy 1944This item is out of stock we will have more in stock soon. Please contact us if you want to pre order this item. 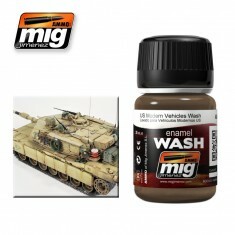 1/35 Israeli Tiran TankThis item is out of stock we will have more in stock soon. Please contact us if you want to pre order this item. 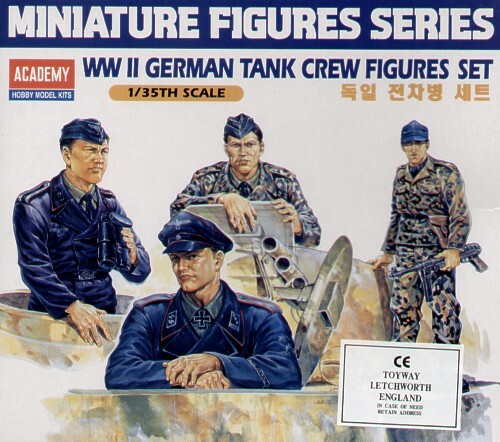 German (WWII) Tank Crew FiguresThis item is out of stock we will have more in stock soon. Please contact us if you want to pre order this item. 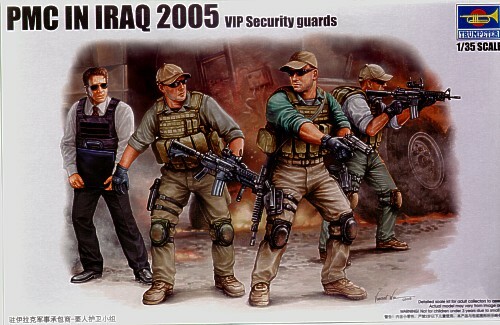 PMC in Iraq - VIP ProtectionThis item is out of stock we will have more in stock soon. Please contact us if you want to pre order this item. 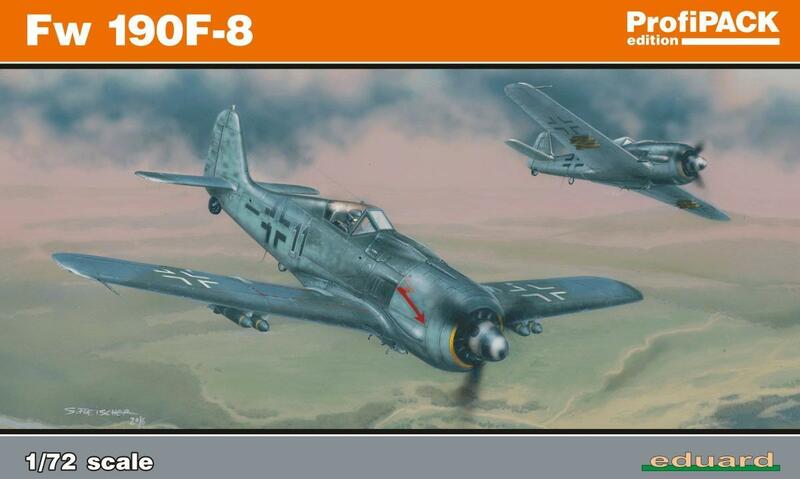 1/72 Fw 190F-8This item is out of stock we will have more in stock soon. Please contact us if you want to pre order this item. 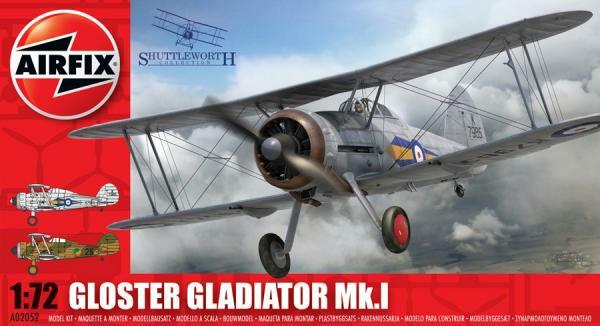 1/72 Gloster Gladiator (Includes Irish Markings)This item is out of stock we will have more in stock soon. Please contact us if you want to pre order this item. 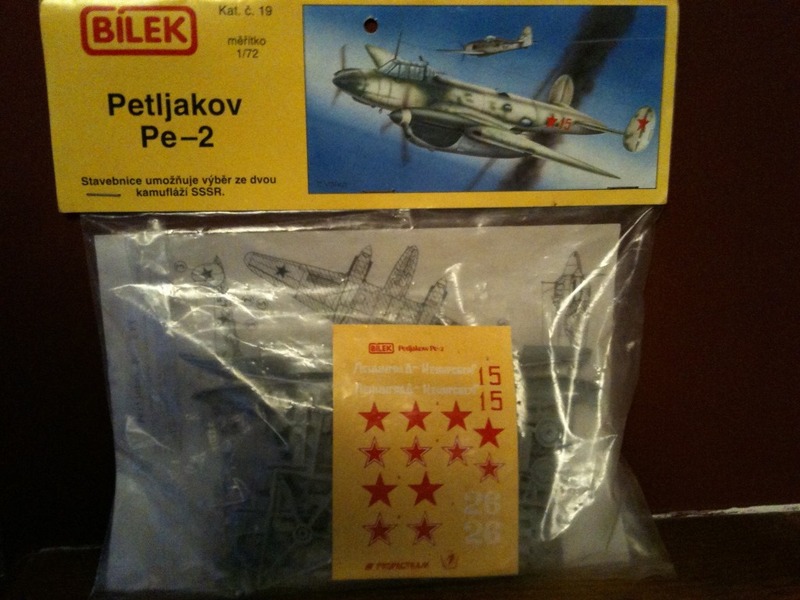 1/72 Bielk Pe-2This item is out of stock we will have more in stock soon. Please contact us if you want to pre order this item. 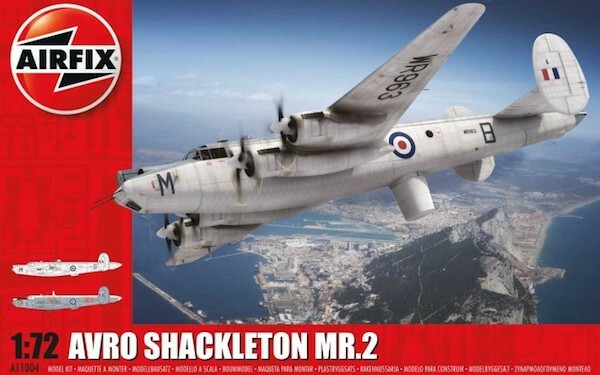 1/72 Avro Shackleton MR.2 NEW TOOLThis item is out of stock we will have more in stock soon. Please contact us if you want to pre order this item. 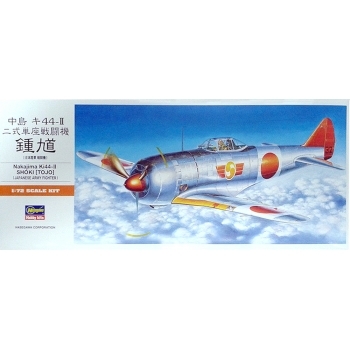 1/72 Ki-44-11 TojoThis item is out of stock we will have more in stock soon. Please contact us if you want to pre order this item. 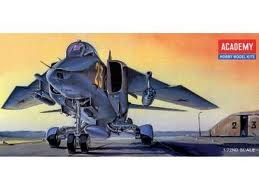 1/72 Academy Mig 27 Flogger DThis item is out of stock we will have more in stock soon. Please contact us if you want to pre order this item. 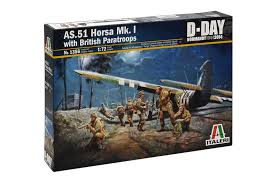 1/72 Italeri AS.51 Horsa Mk.1 Glider with Paratroopers D-Day 194This item is out of stock we will have more in stock soon. Please contact us if you want to pre order this item. 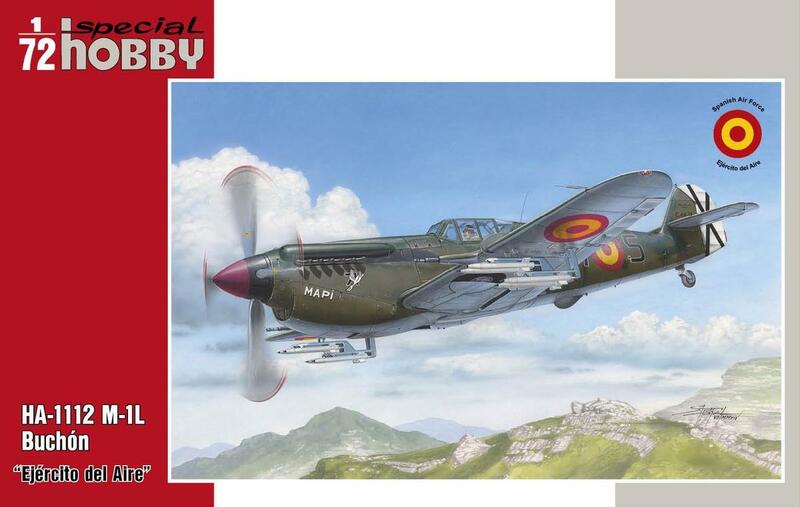 1/72 HA-1112 M-1L Buchon Ejercito del AireThis item is out of stock we will have more in stock soon. Please contact us if you want to pre order this item. 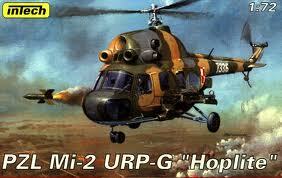 1/72 Intech MI 2 URP-GThis item is out of stock we will have more in stock soon. Please contact us if you want to pre order this item. 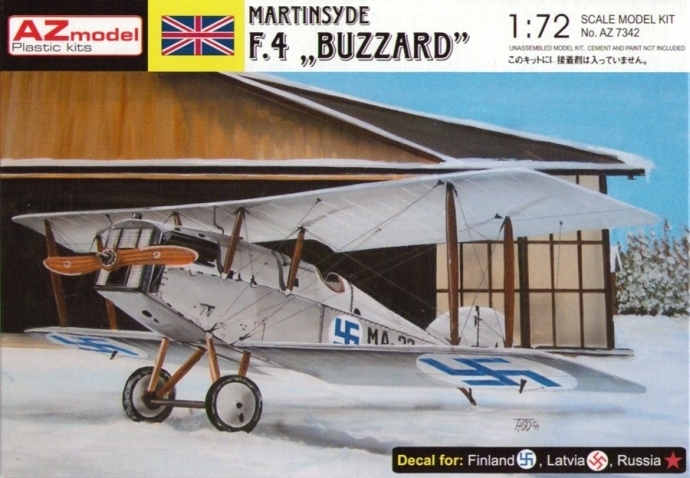 1/72 Martinsyde F.4 Buzzard Finland, Poland - AZ7342This item is out of stock we will have more in stock soon. Please contact us if you want to pre order this item. 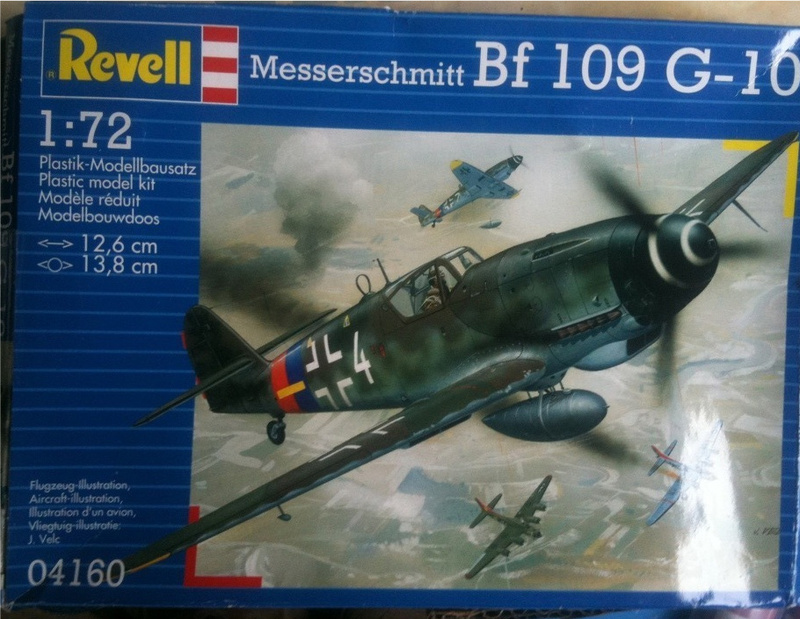 1/72 Bf 109 G-10This item is out of stock we will have more in stock soon. Please contact us if you want to pre order this item. 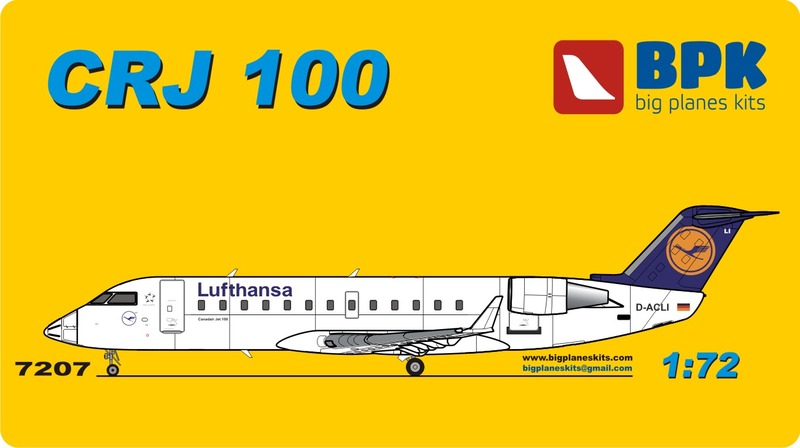 1/72 CRJ-100This item is out of stock we will have more in stock soon. Please contact us if you want to pre order this item. 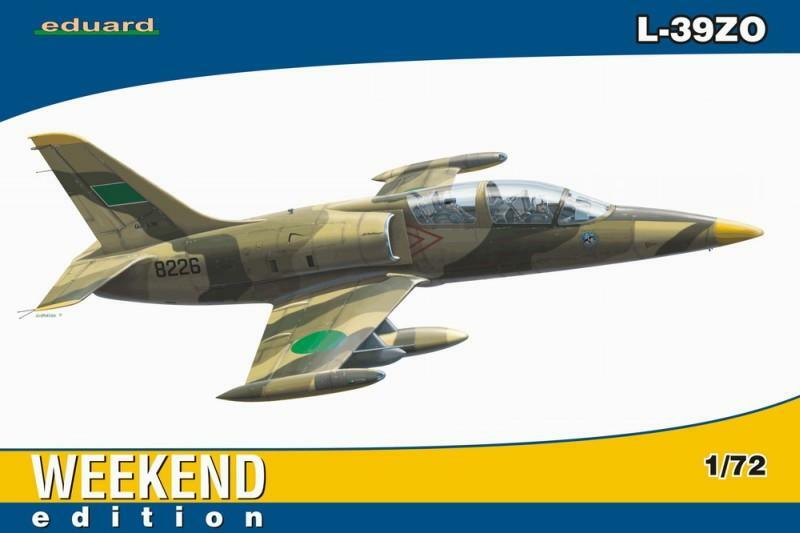 1/72 L-39ZOThis item is out of stock we will have more in stock soon. Please contact us if you want to pre order this item. 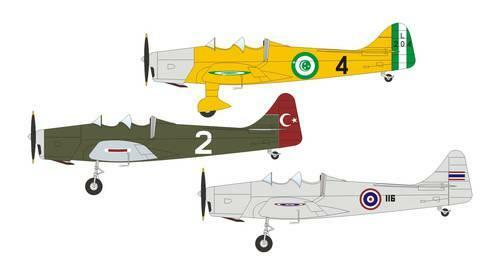 1/72 Amodel Yak 52This item is out of stock we will have more in stock soon. Please contact us if you want to pre order this item. 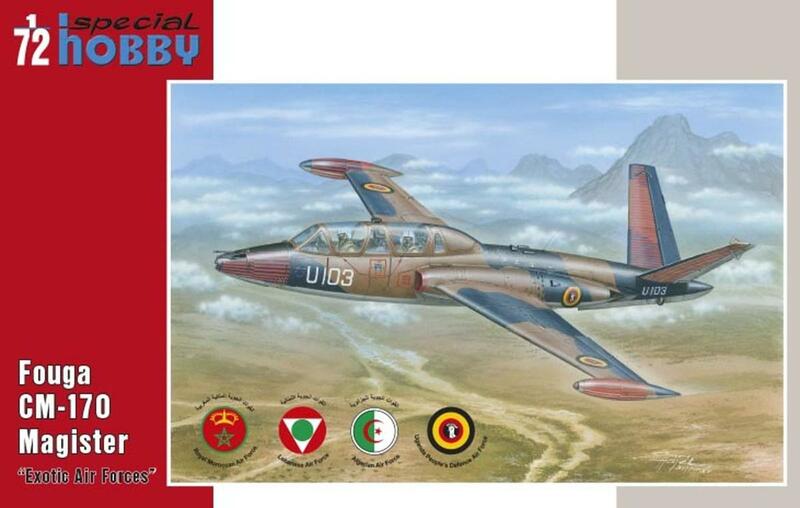 1/72 Fouga CM.170 Magister "Exotic Air Forces"This item is out of stock we will have more in stock soon. Please contact us if you want to pre order this item. 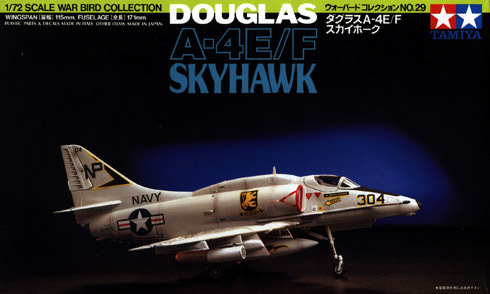 1/72 DOUGLAS A-4E/F SKYHAWKThis item is out of stock we will have more in stock soon. Please contact us if you want to pre order this item. 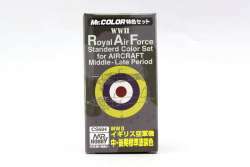 1/72 Avro 626 PrefectThis item is out of stock we will have more in stock soon. Please contact us if you want to pre order this item. 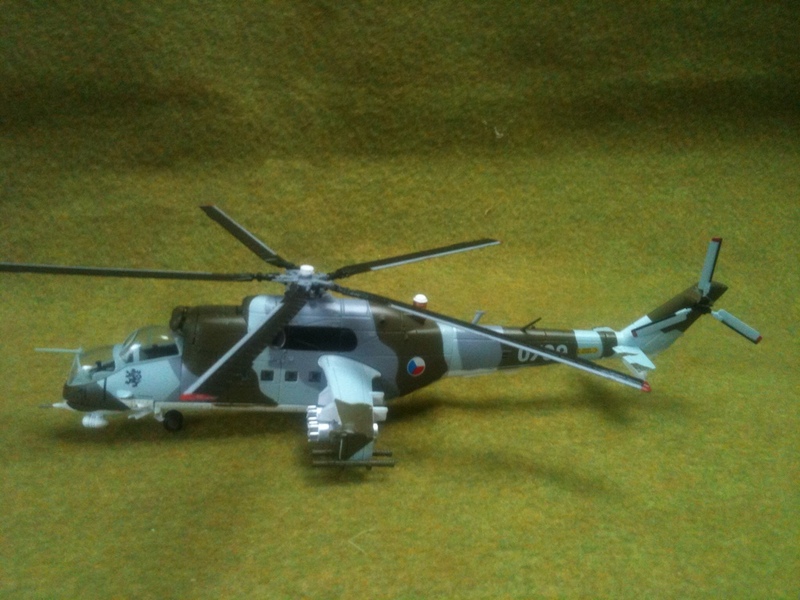 1/72 Intech PZL Mi2 TThis item is out of stock we will have more in stock soon. Please contact us if you want to pre order this item. 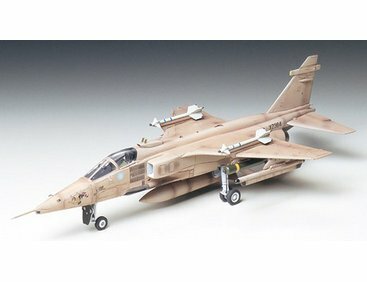 1/72 Jaguar GR-1This item is out of stock we will have more in stock soon. Please contact us if you want to pre order this item. 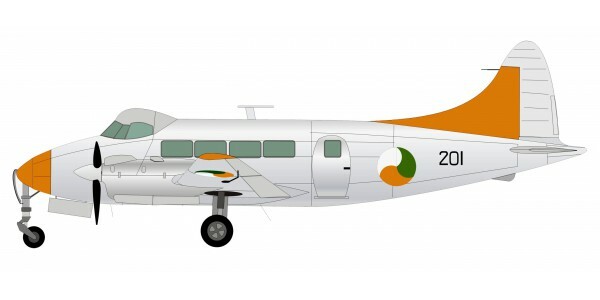 1/72 De Havilland DH-104 Dove Mk.8This item is out of stock we will have more in stock soon. Please contact us if you want to pre order this item. 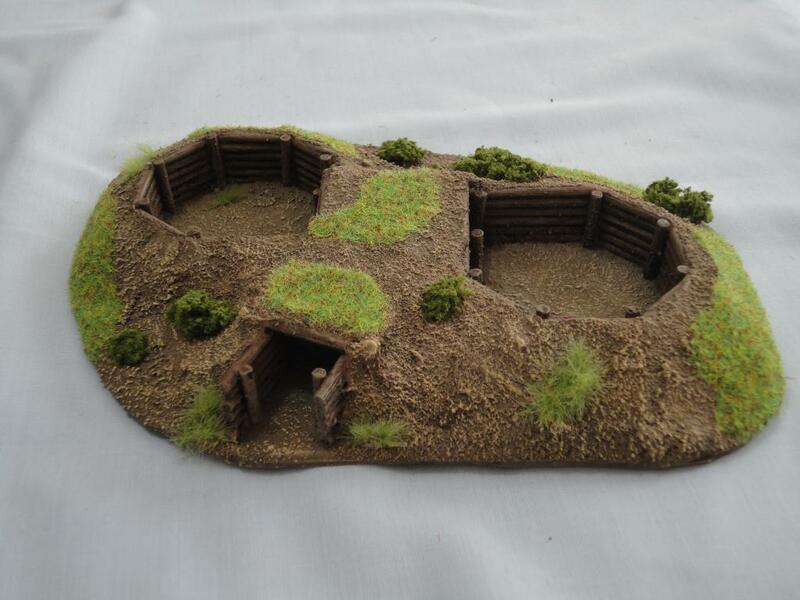 1/72 Machine Gun Bunker (HD 45)This item is out of stock we will have more in stock soon. Please contact us if you want to pre order this item. 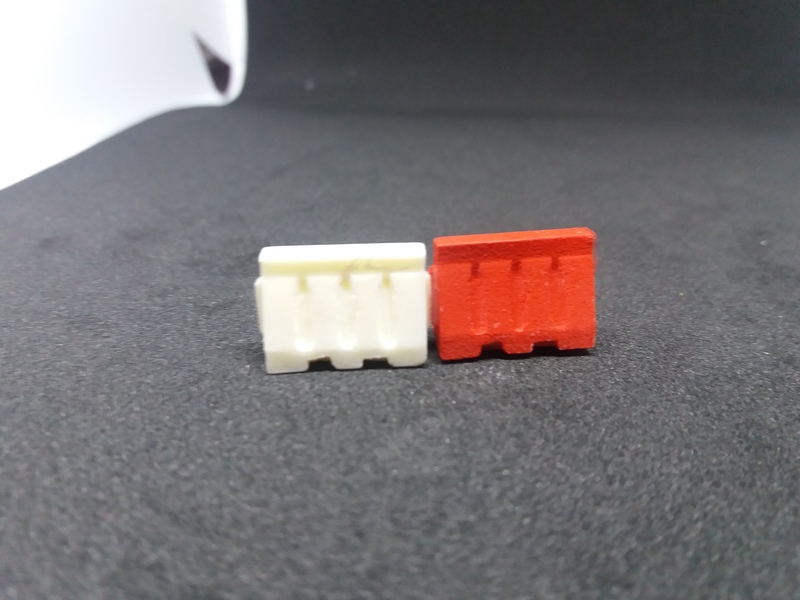 1/72 Jersey Barriers x 10This item is out of stock we will have more in stock soon. Please contact us if you want to pre order this item. 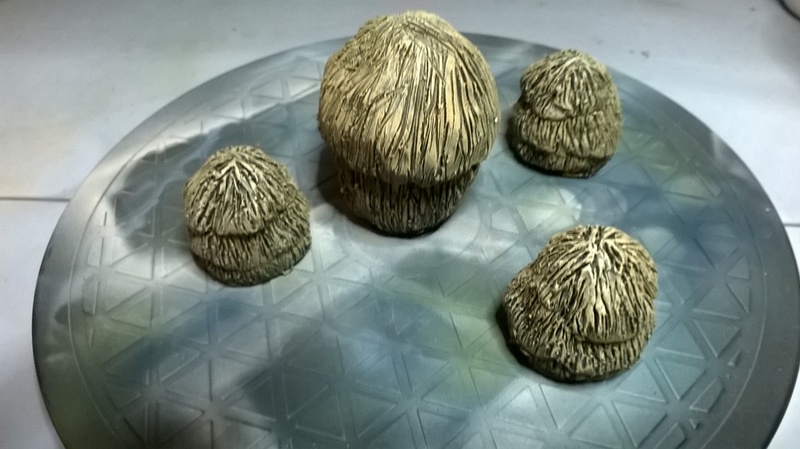 1/72 Hay Stacks setThis item is out of stock we will have more in stock soon. Please contact us if you want to pre order this item. 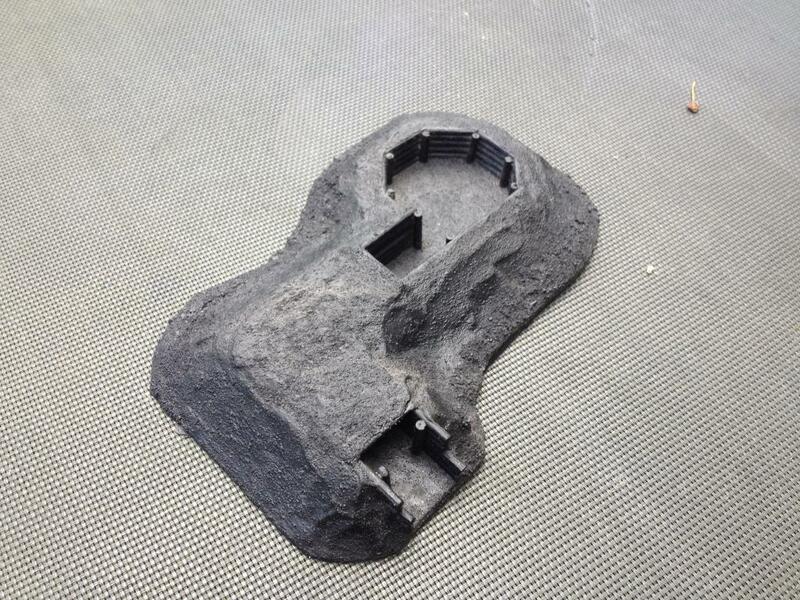 1/72 AA Gun bunker (HD 61)This item is out of stock we will have more in stock soon. Please contact us if you want to pre order this item. 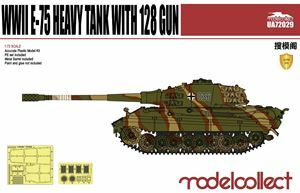 1/72 German Artillery OP (HD 43)This item is out of stock we will have more in stock soon. Please contact us if you want to pre order this item. 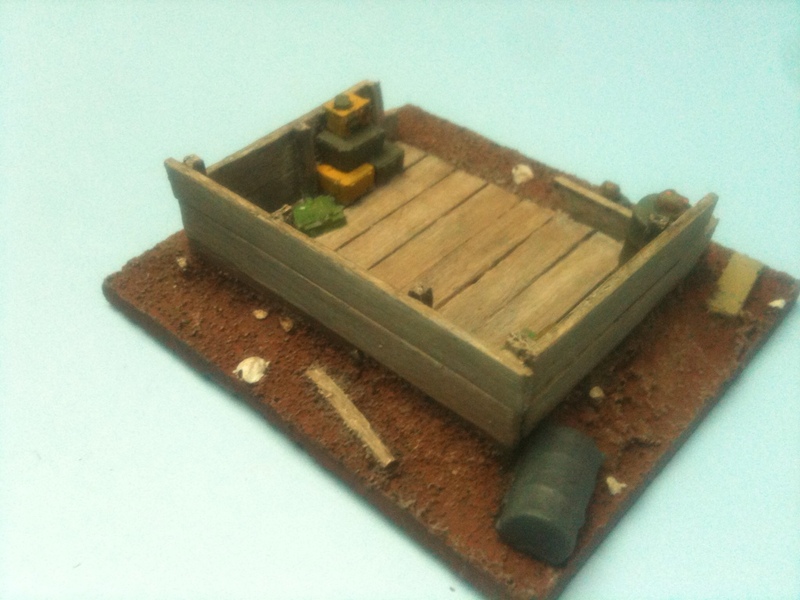 1/72 Mortar Pit (HD 63)This item is out of stock we will have more in stock soon. Please contact us if you want to pre order this item. 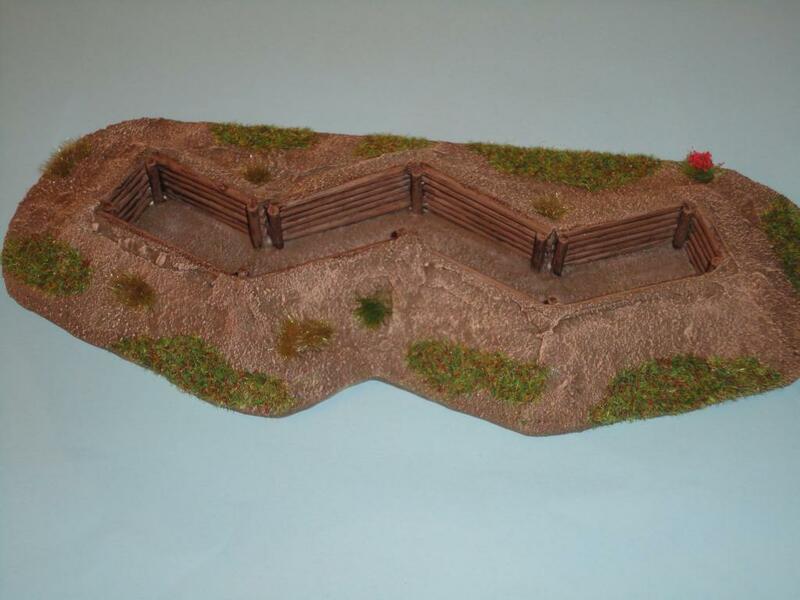 1/72 trench system #1 (HD 64)This item is out of stock we will have more in stock soon. Please contact us if you want to pre order this item. 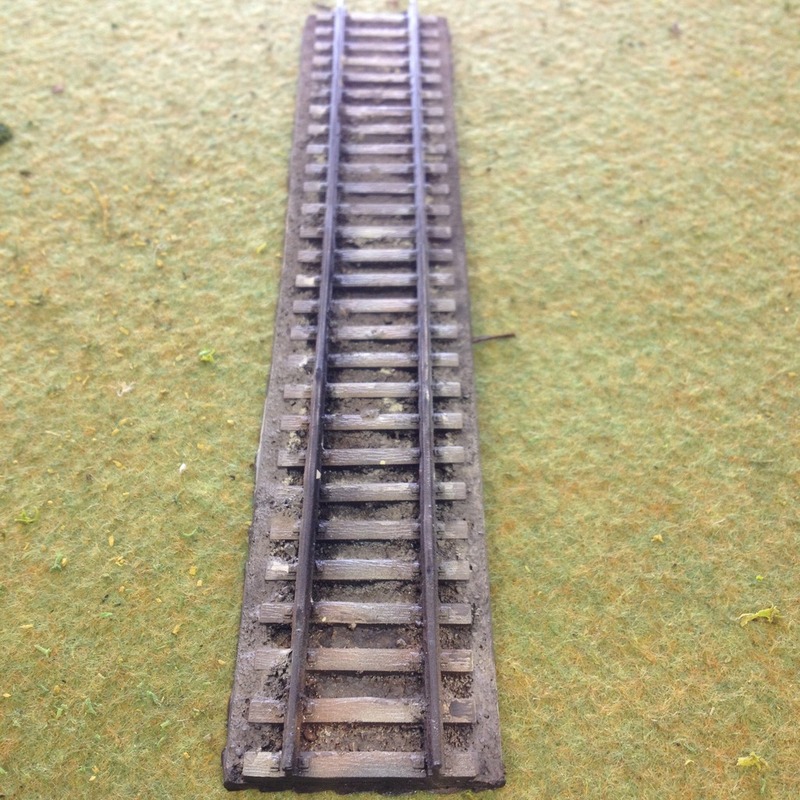 Railway Track (HD74)This item is out of stock we will have more in stock soon. Please contact us if you want to pre order this item. 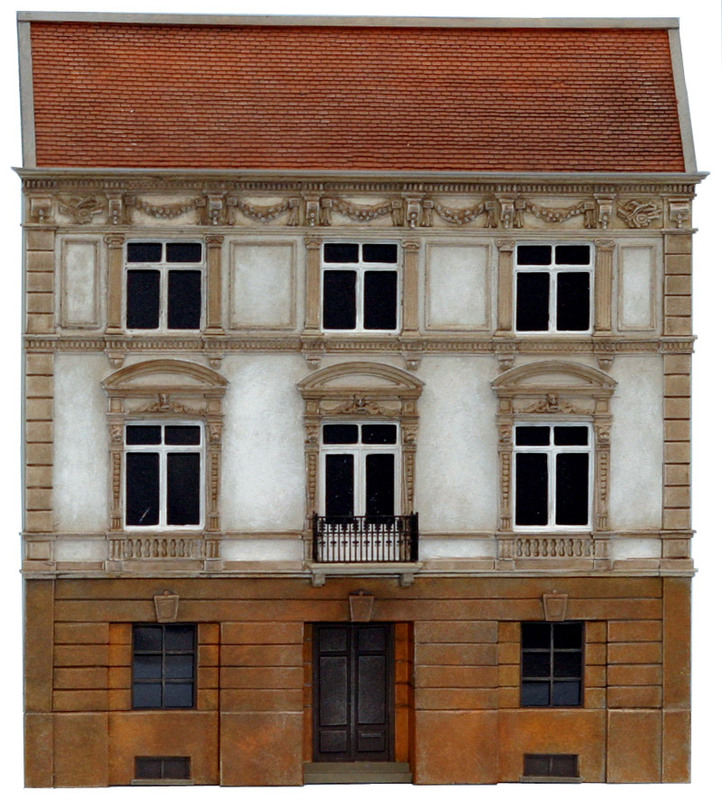 1/72 Street BarricadeThis item is out of stock we will have more in stock soon. Please contact us if you want to pre order this item. 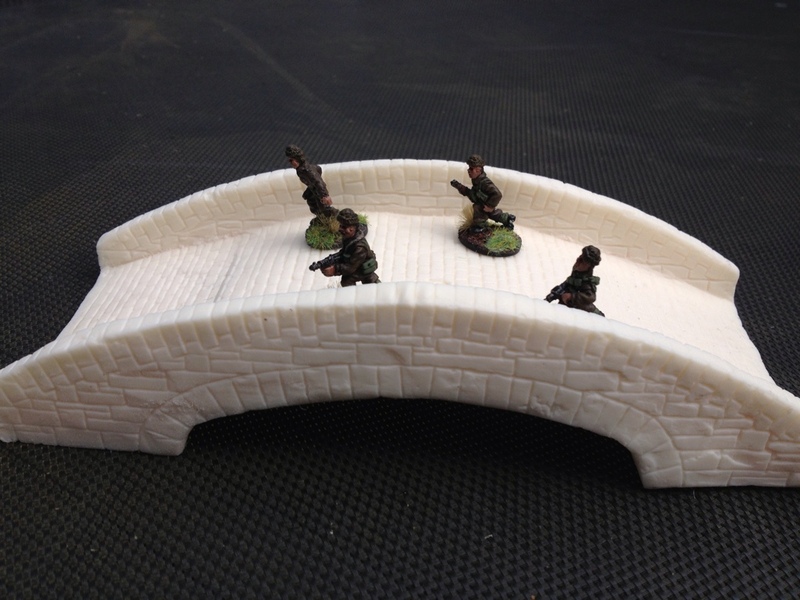 20MM Resin Bridge (HD 47)This item is out of stock we will have more in stock soon. Please contact us if you want to pre order this item. 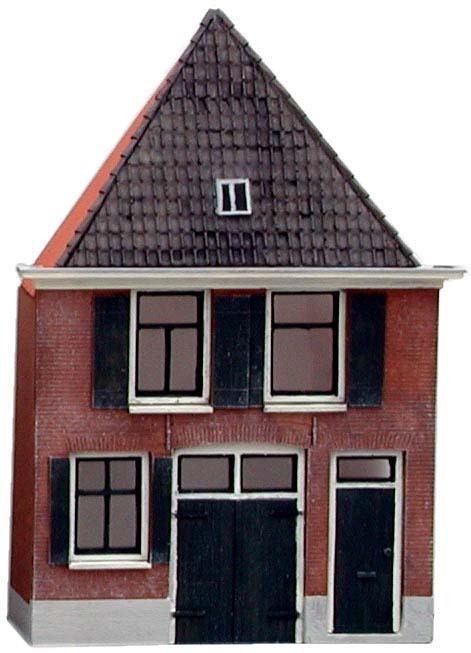 1/72 Arnhem Town House (HD 33)This item is out of stock we will have more in stock soon. Please contact us if you want to pre order this item. 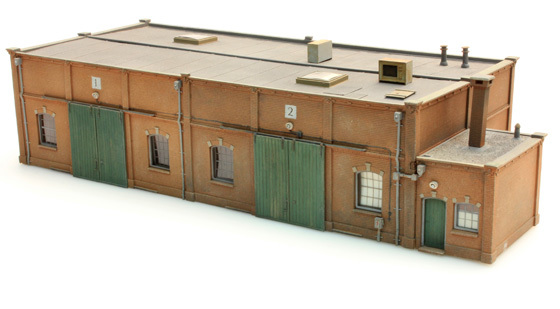 1/72 Log Command Bunker (HD 62)This item is out of stock we will have more in stock soon. Please contact us if you want to pre order this item. 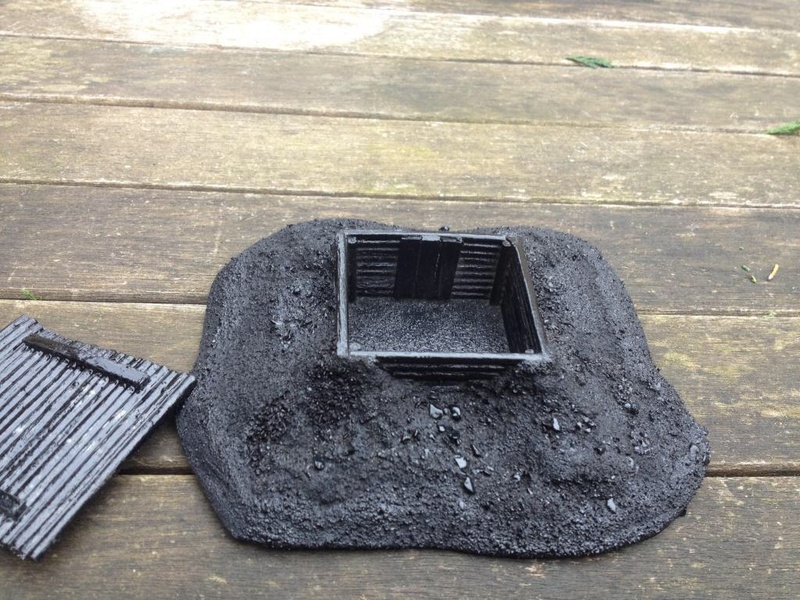 1/72 Sand Bag Gun Bunker (HD 23)This item is out of stock we will have more in stock soon. Please contact us if you want to pre order this item.